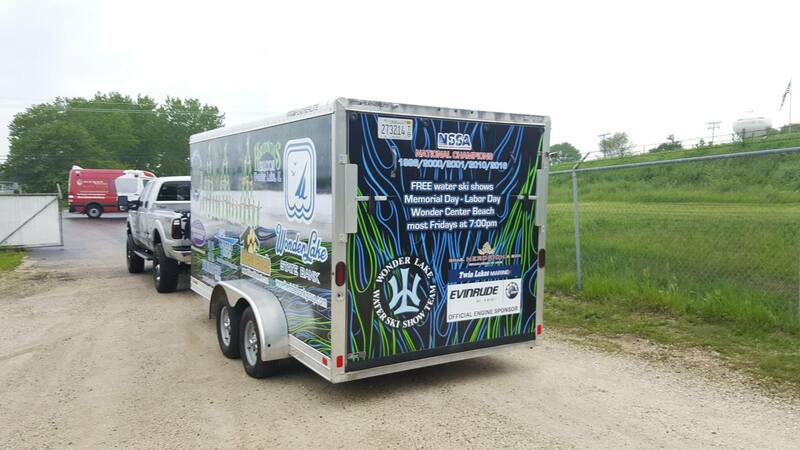 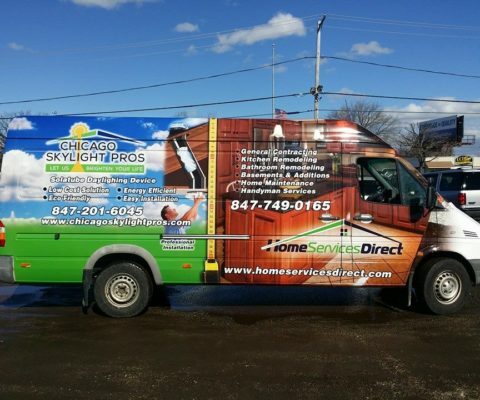 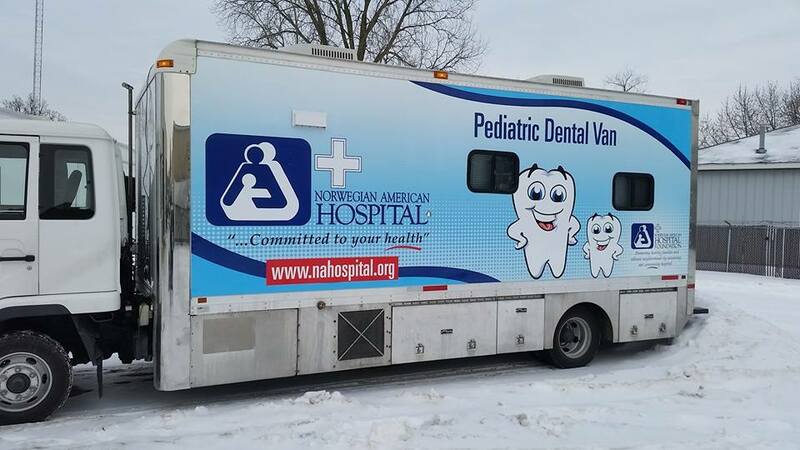 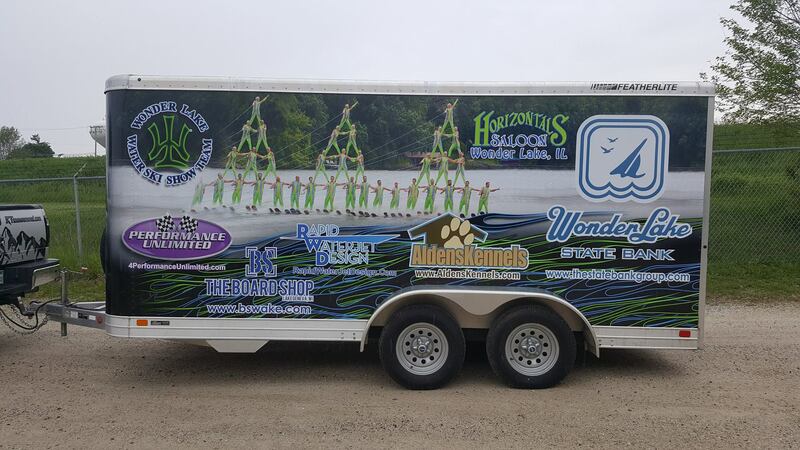 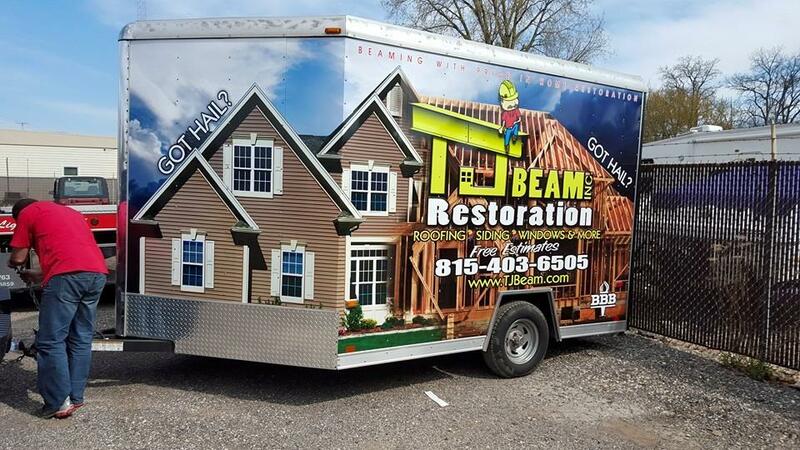 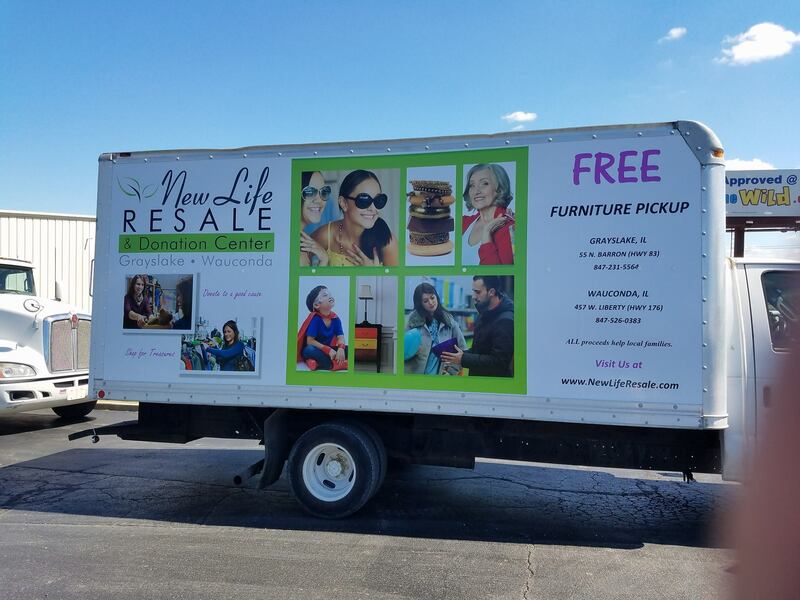 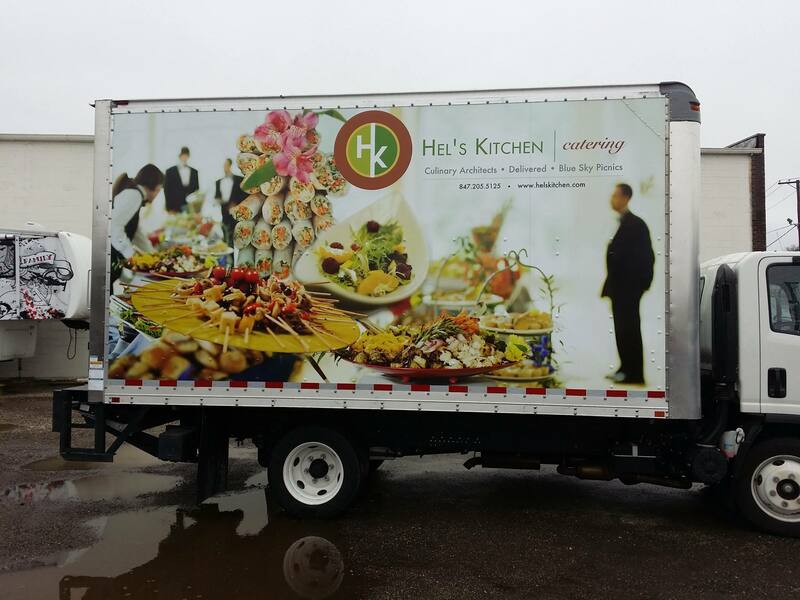 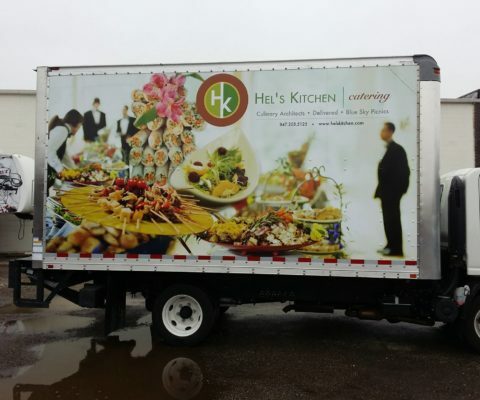 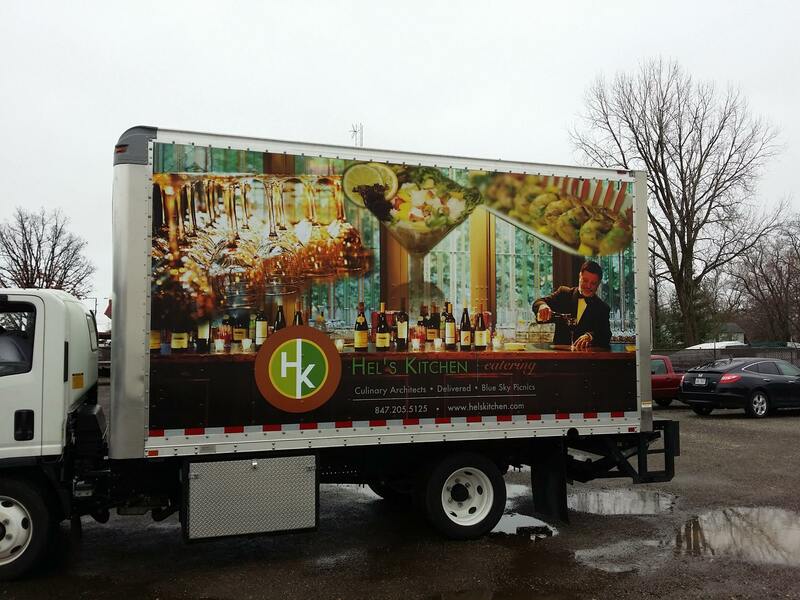 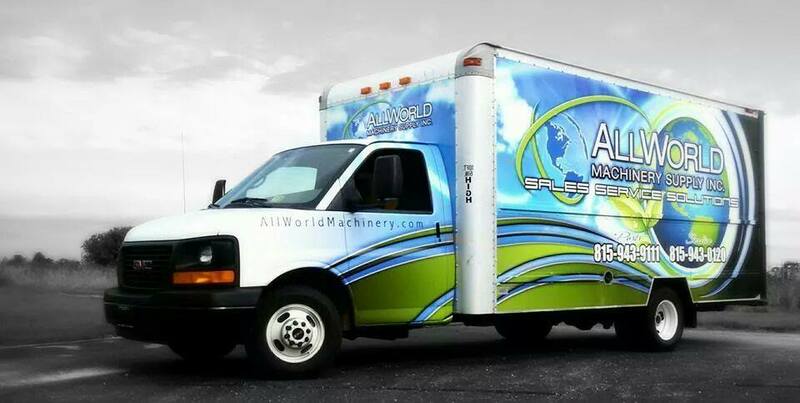 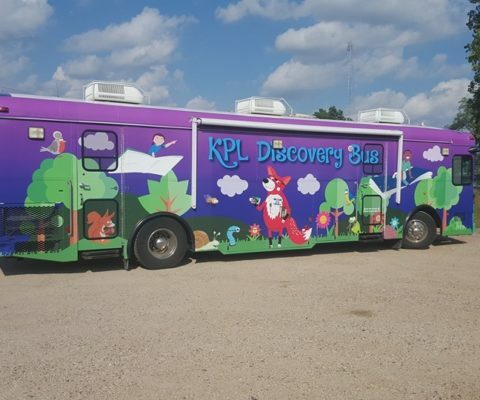 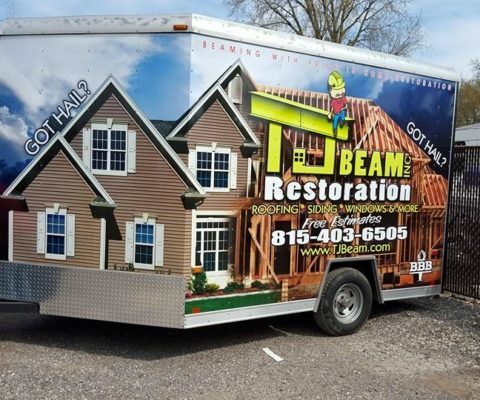 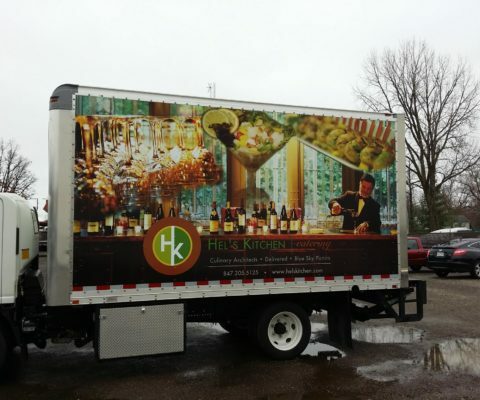 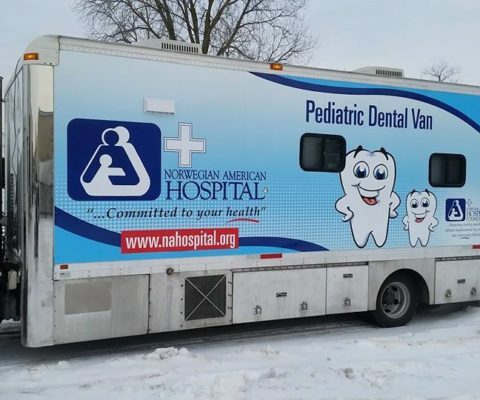 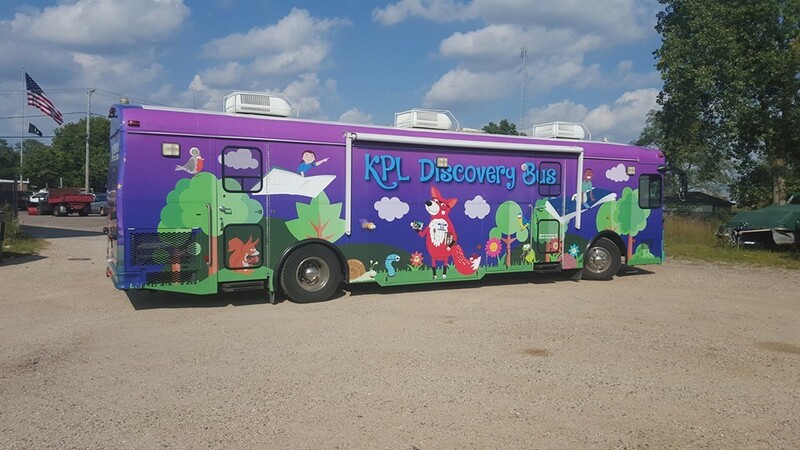 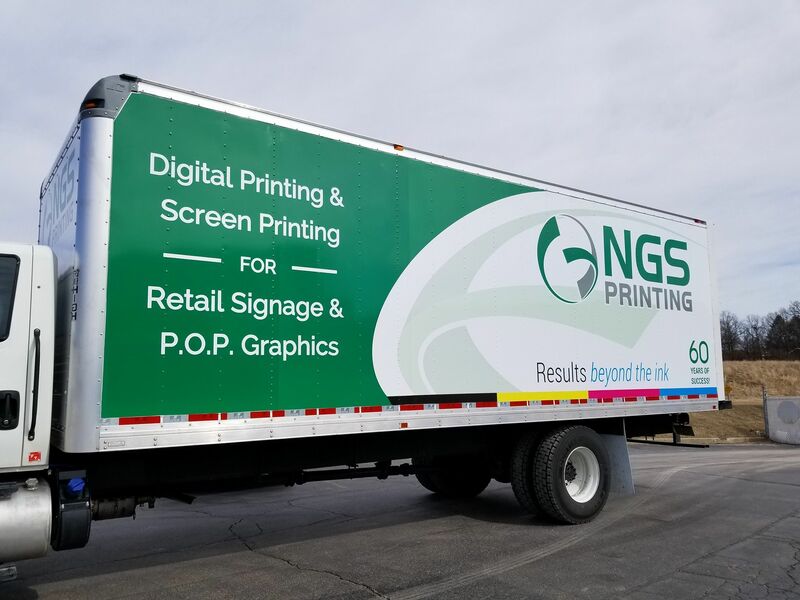 Vehicle wraps are a great way to advertise your business! 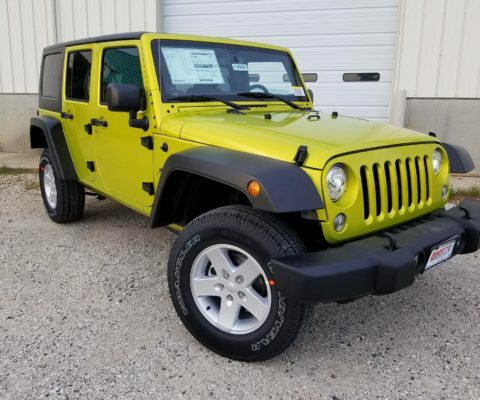 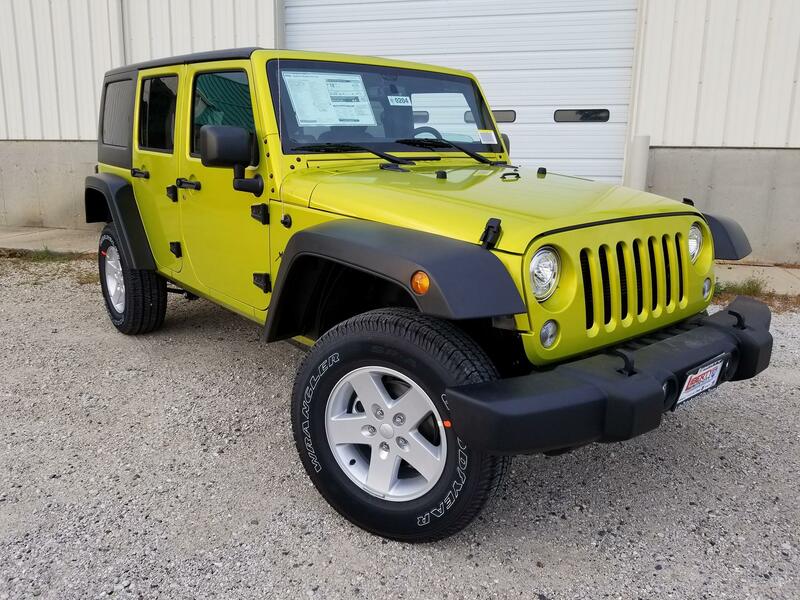 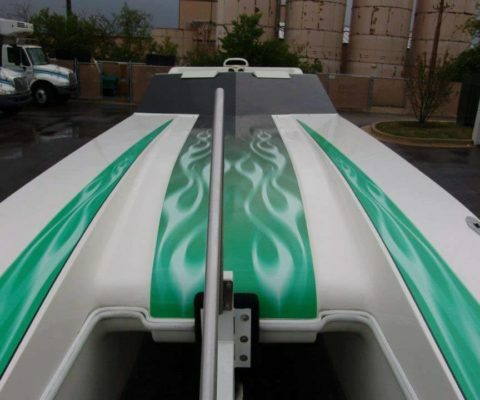 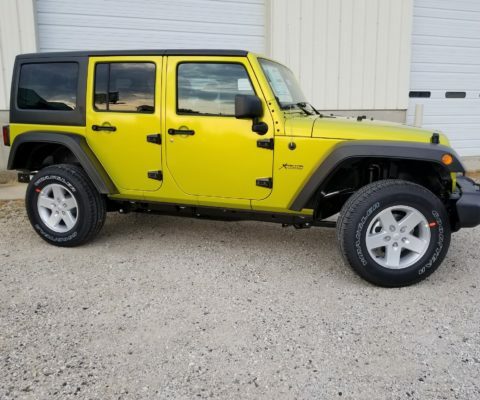 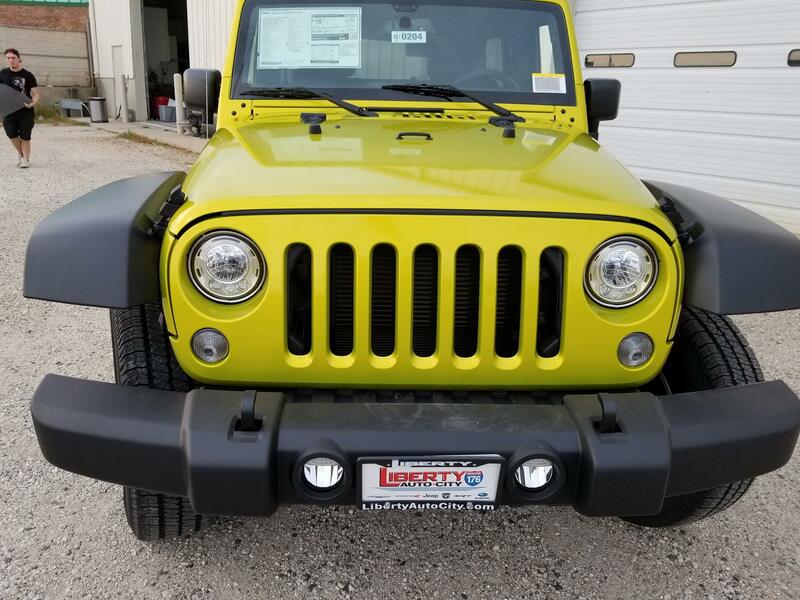 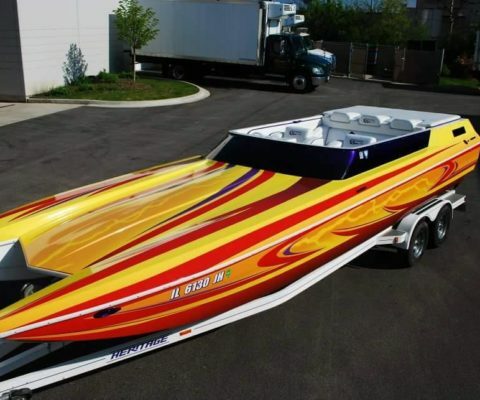 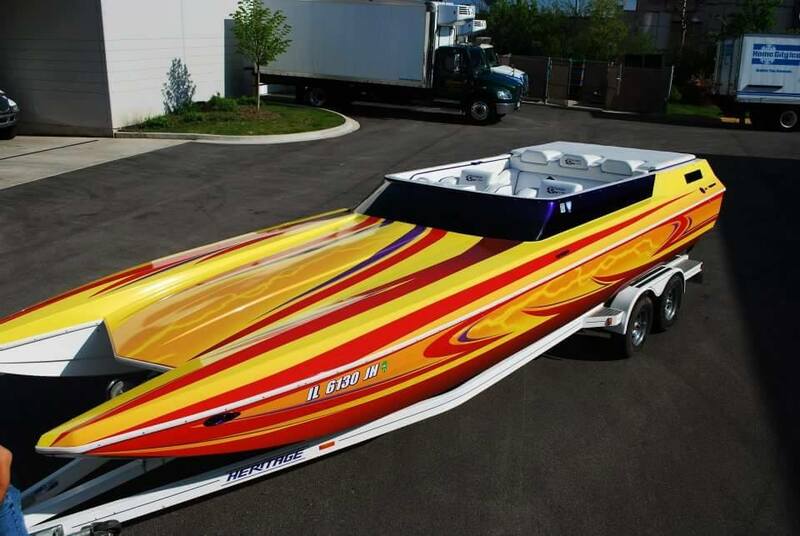 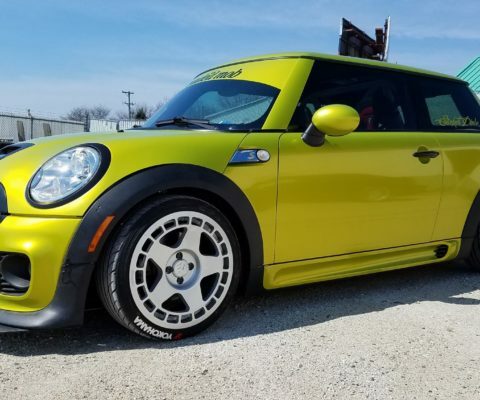 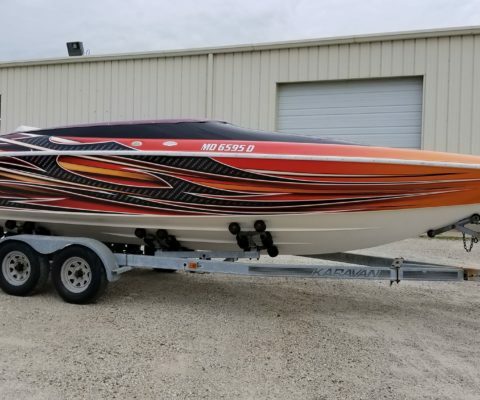 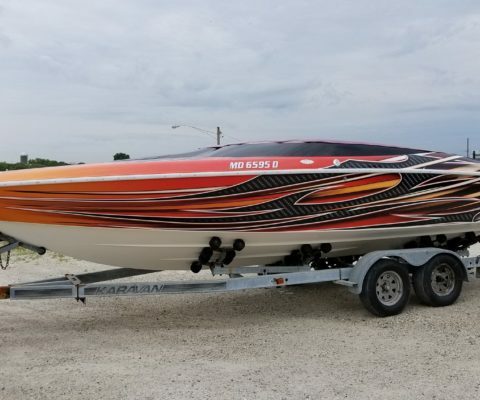 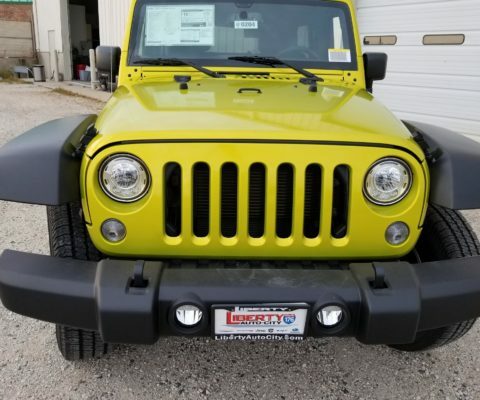 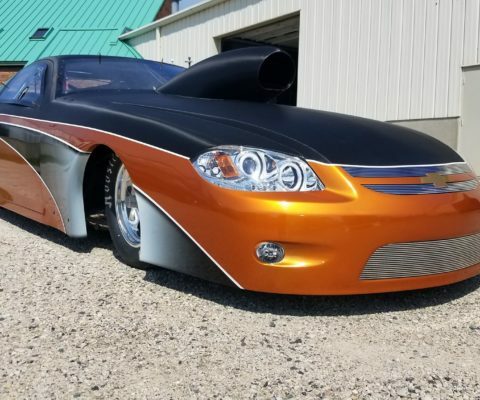 Talk to us about your custom projects! 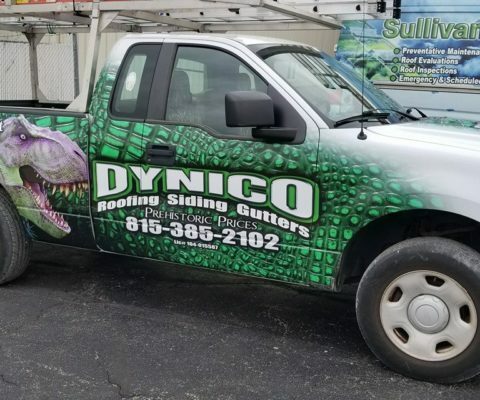 No job is too big and no job is too small. 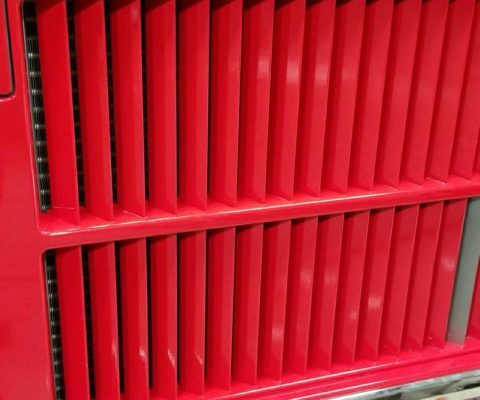 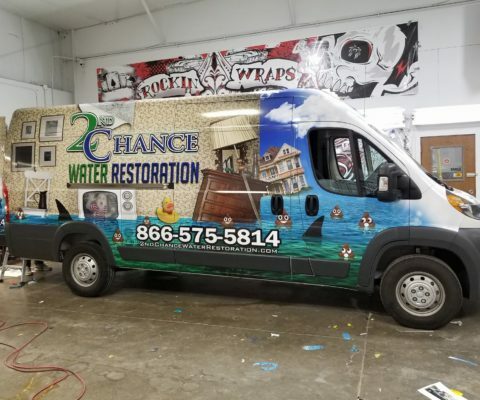 With over 25 years of experience, we know what it takes to get the job done right. 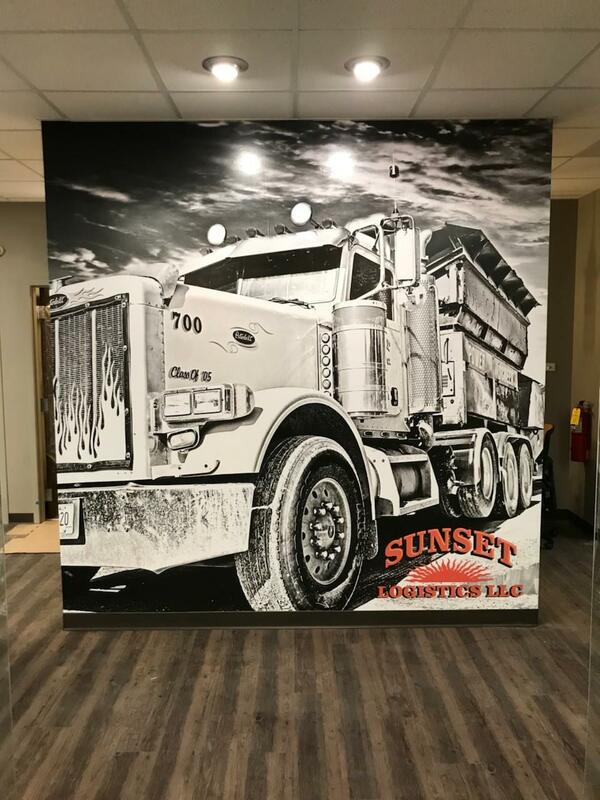 Our designs are one of a kind. 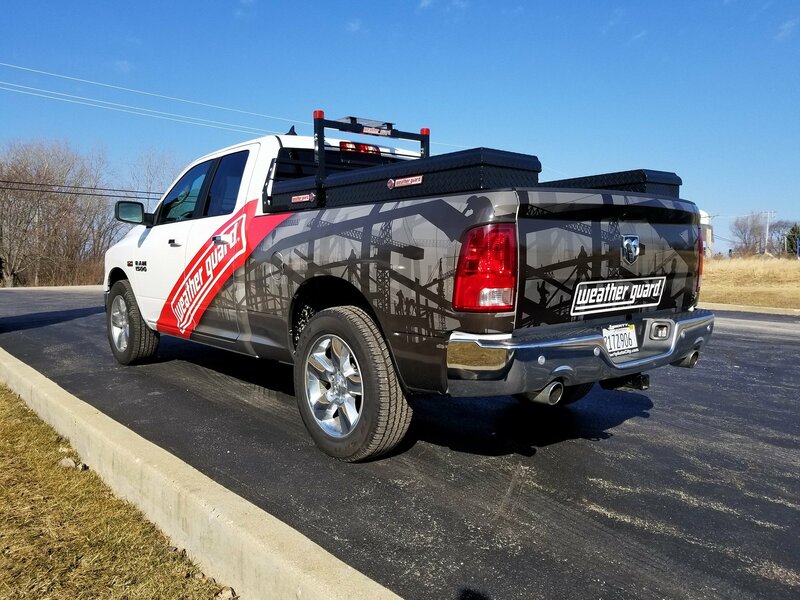 We aim for above and behind expectations. 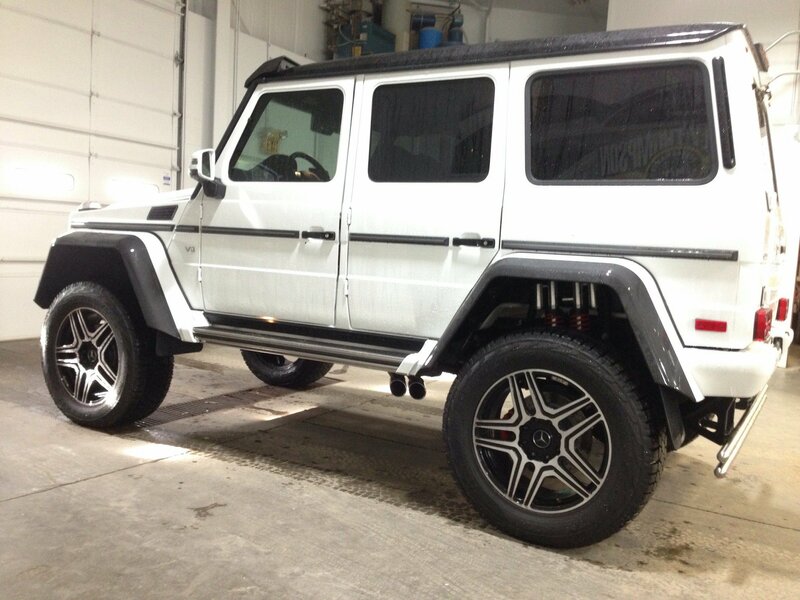 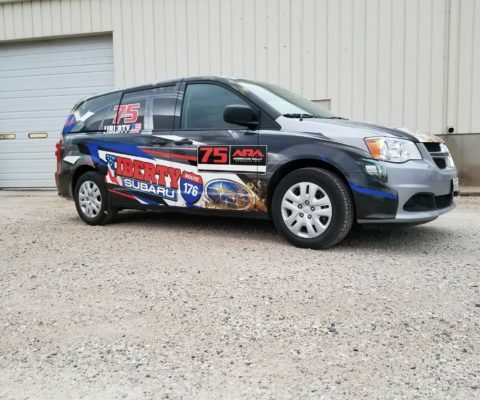 At Sticker Dude, each and every vehicle is treated as if it were our own. 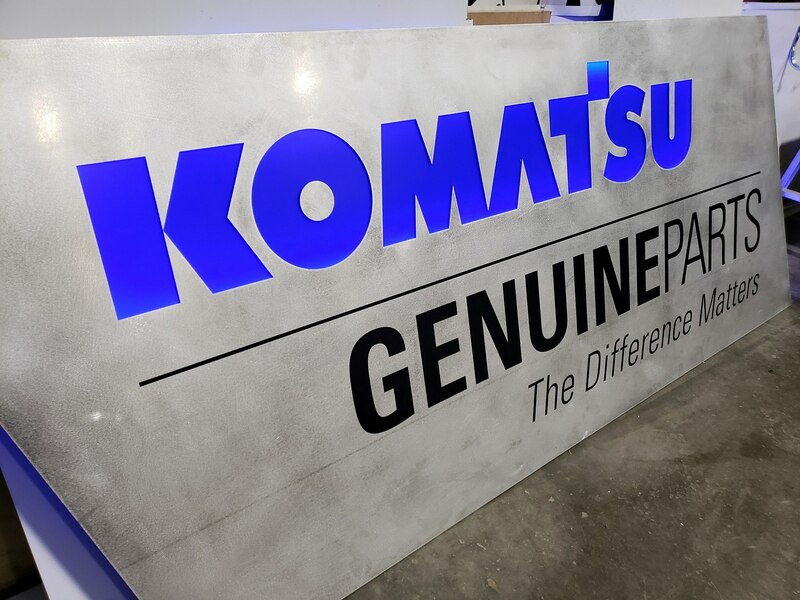 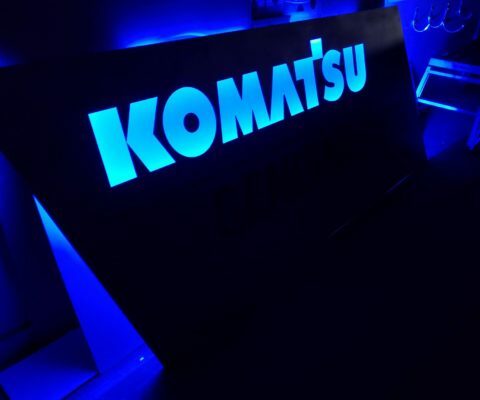 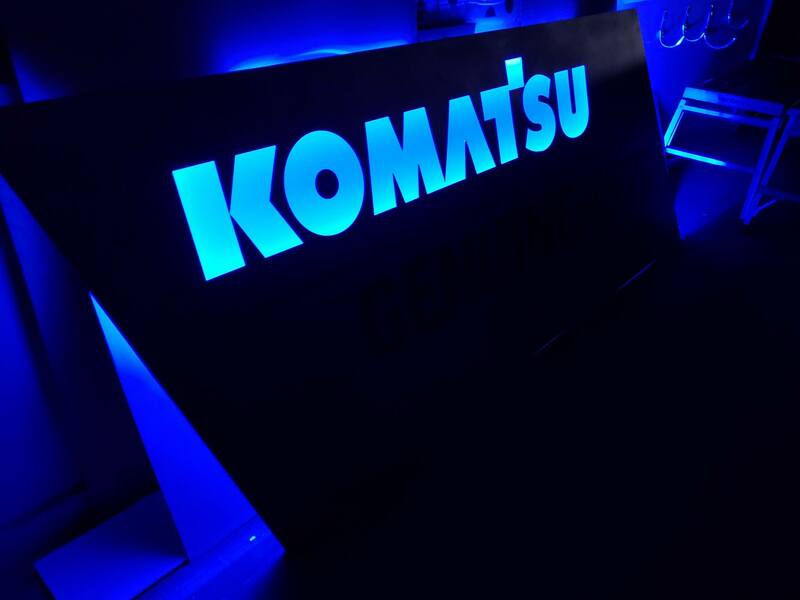 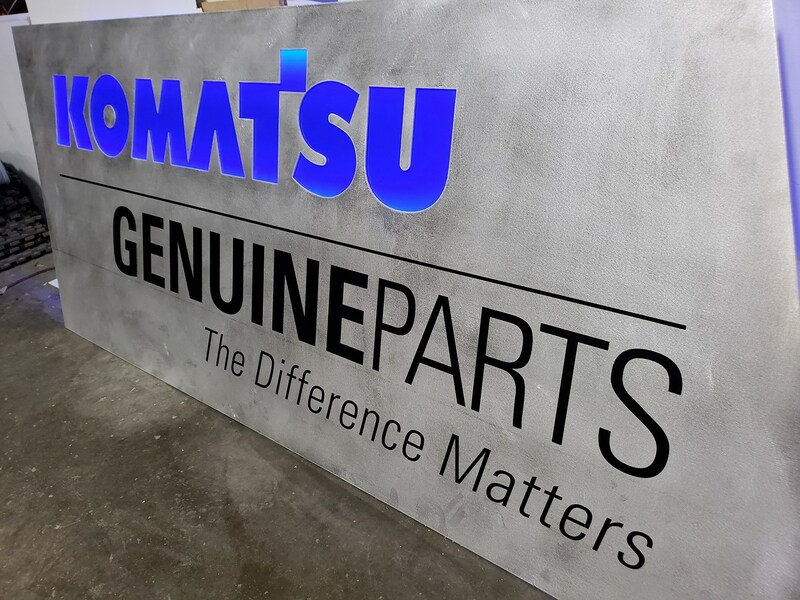 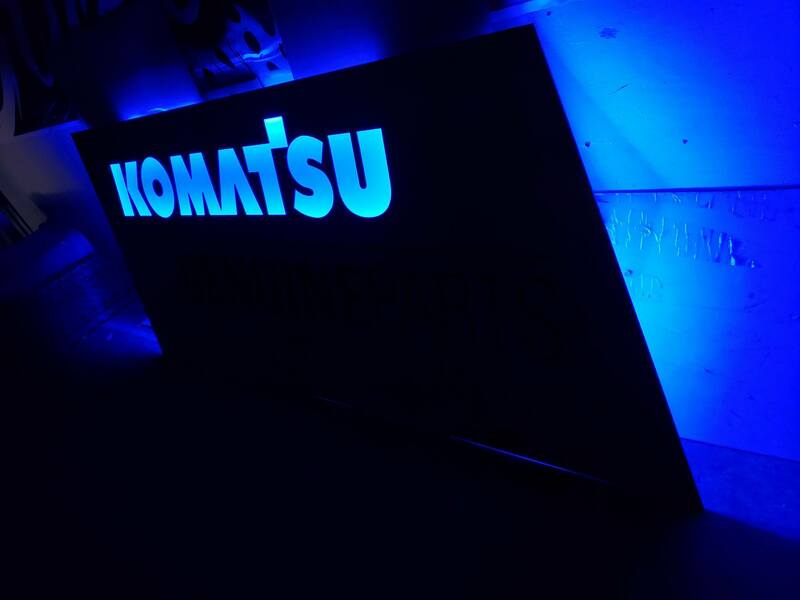 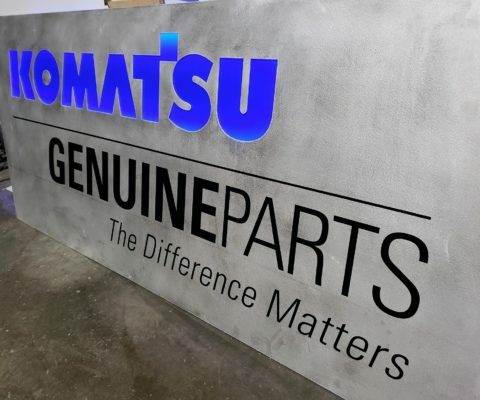 We stand behind our products and service 100%. 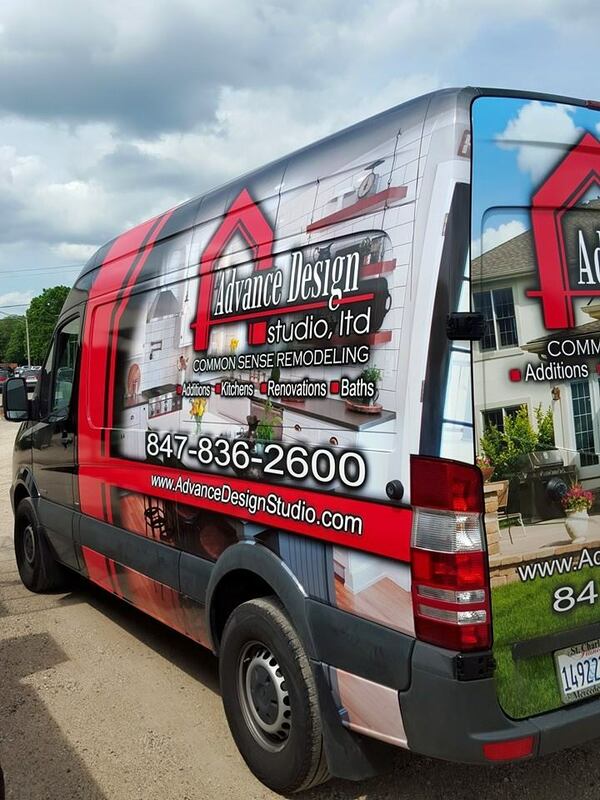 Our team brings over 25 years of experience from the graphic, marketing and sales industry. 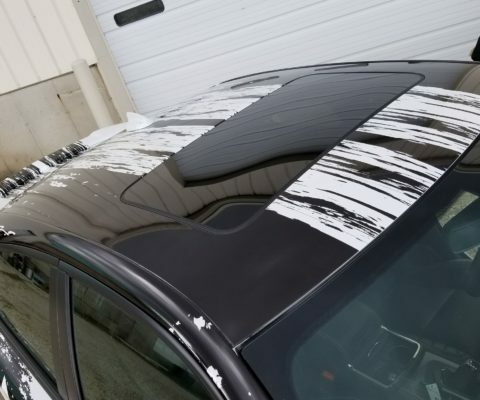 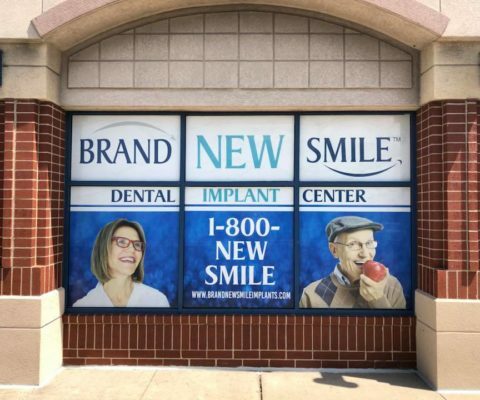 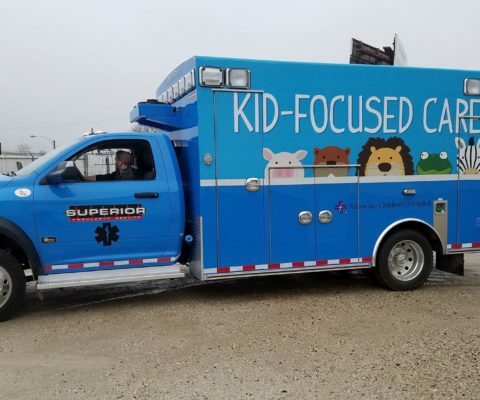 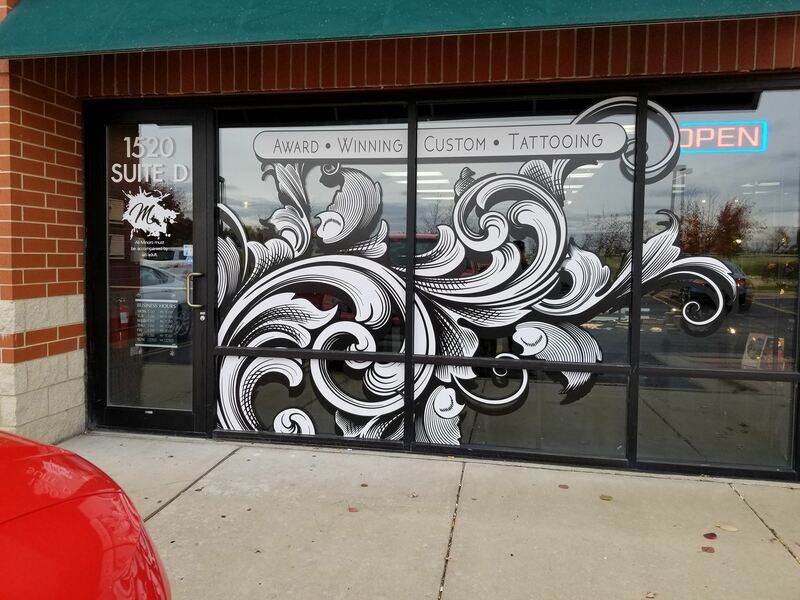 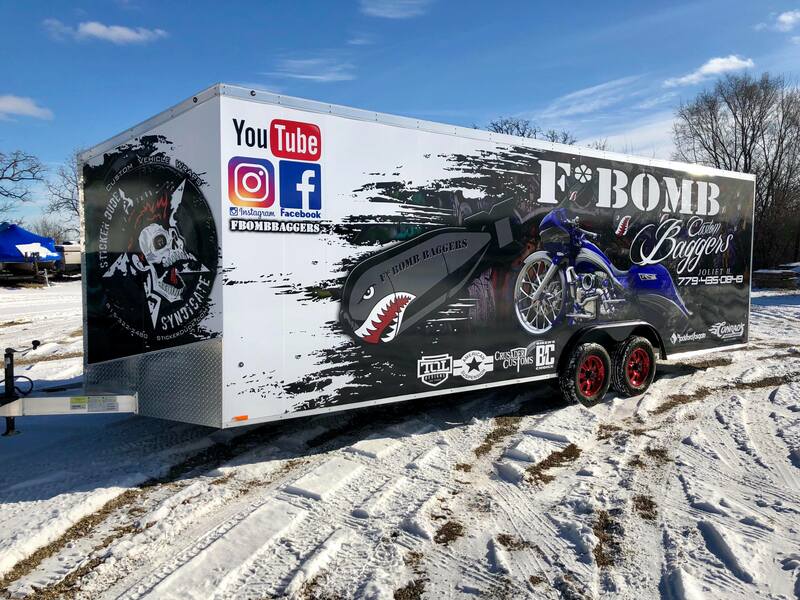 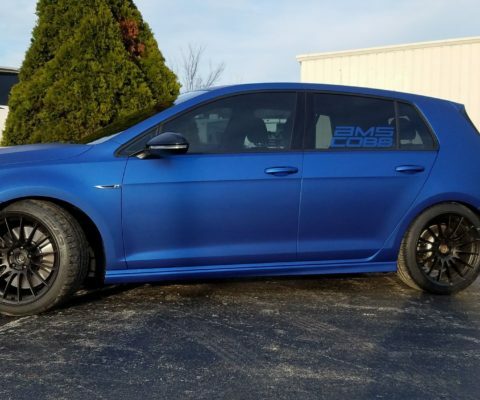 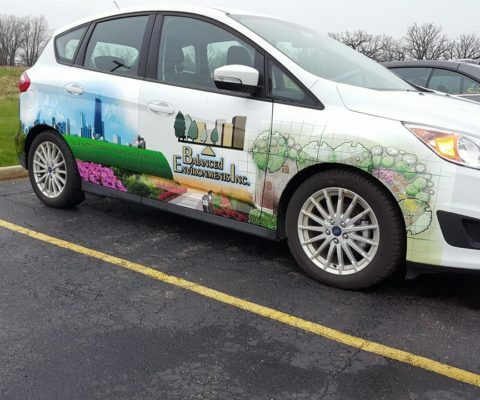 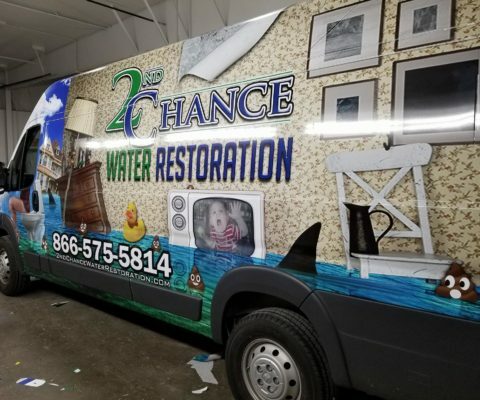 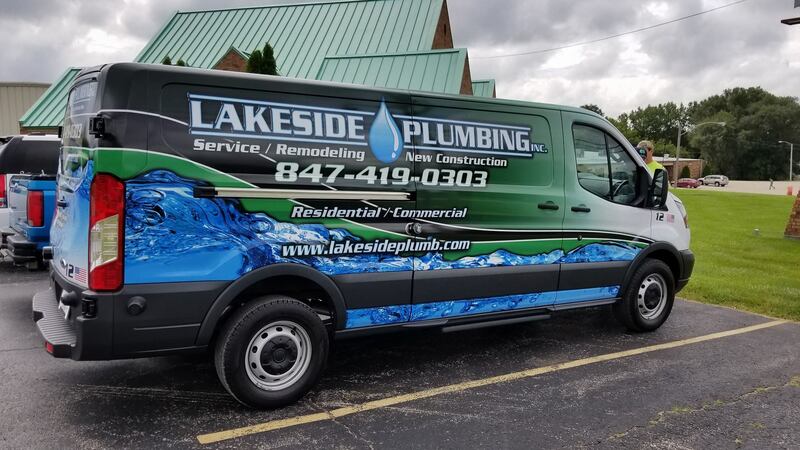 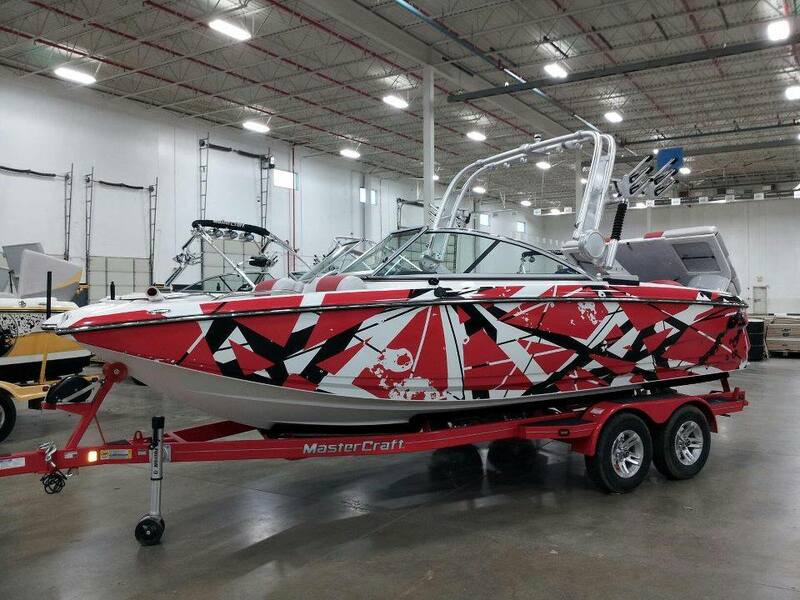 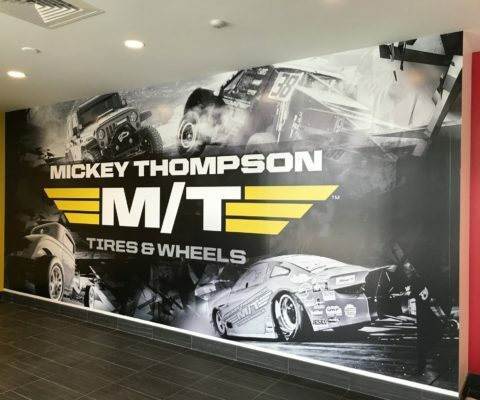 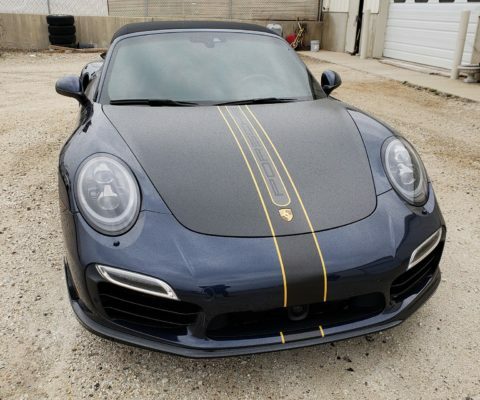 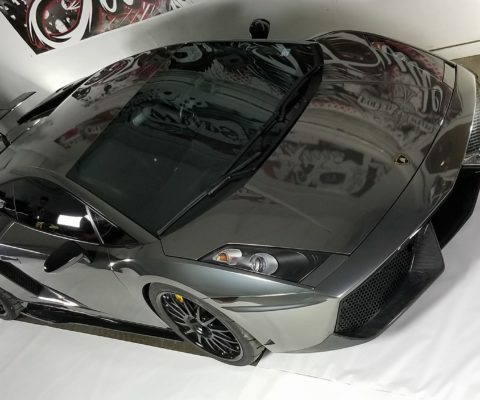 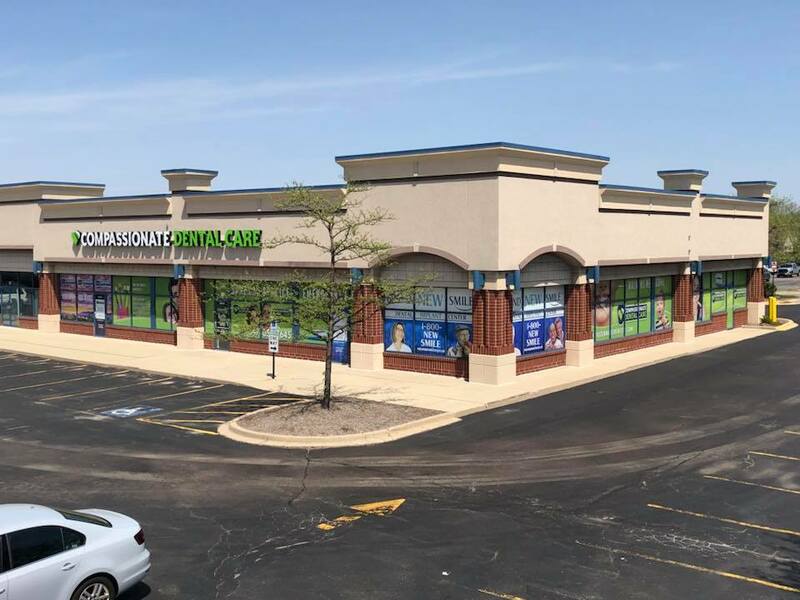 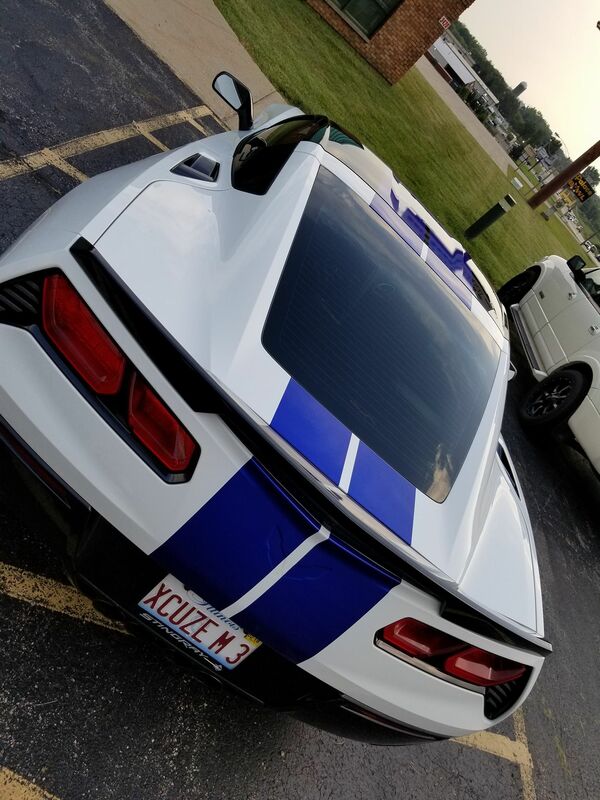 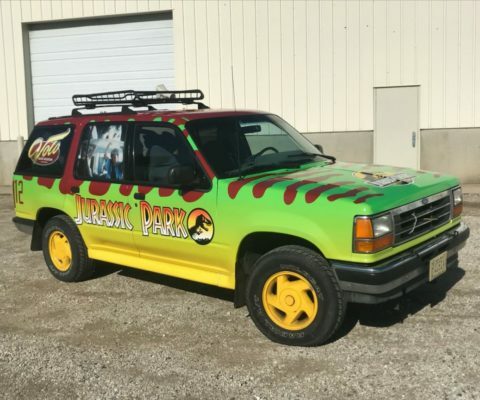 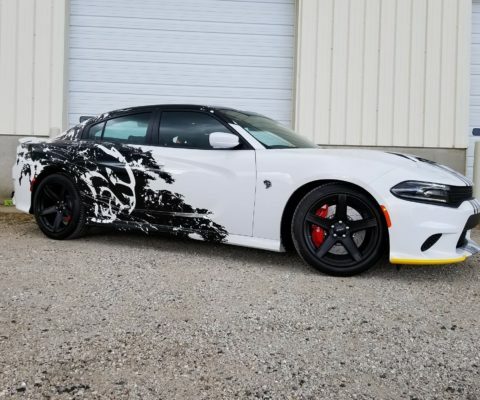 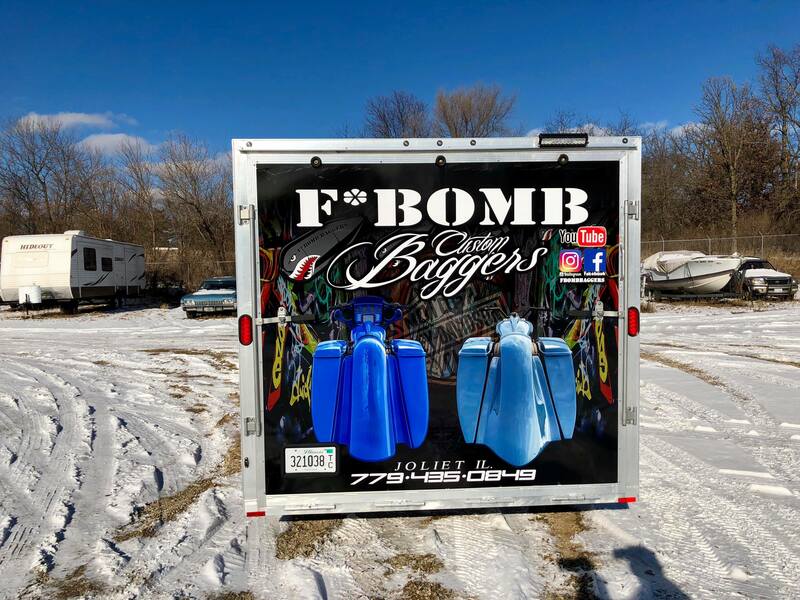 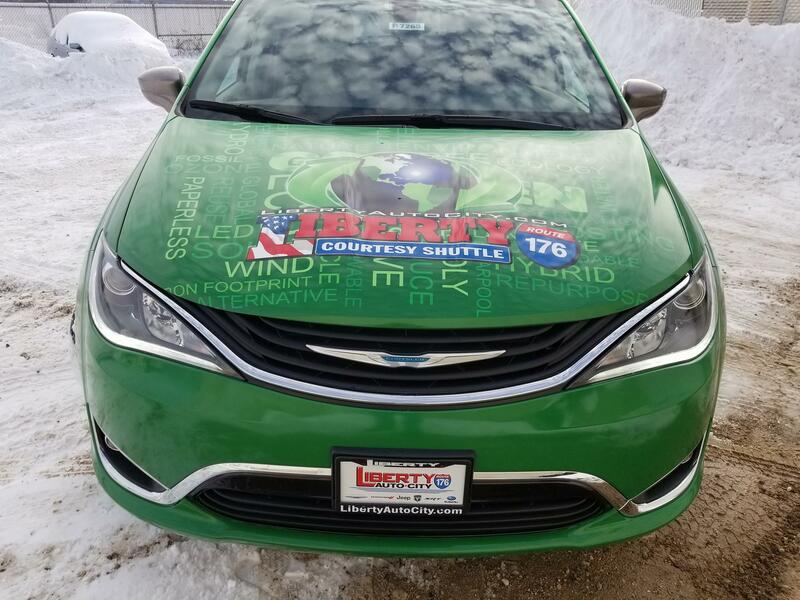 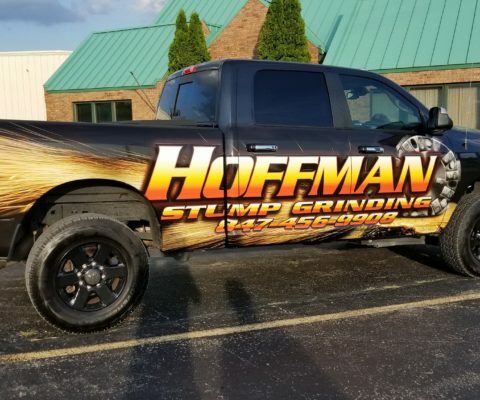 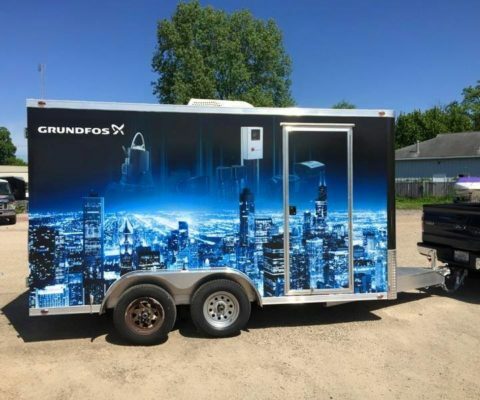 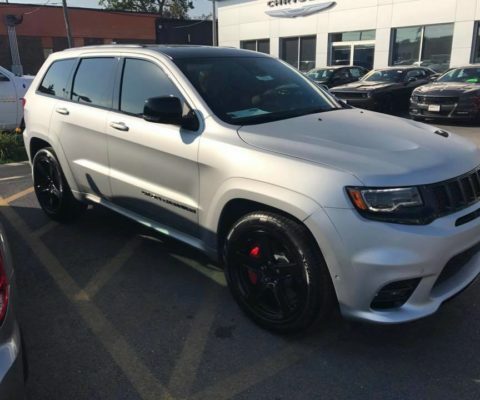 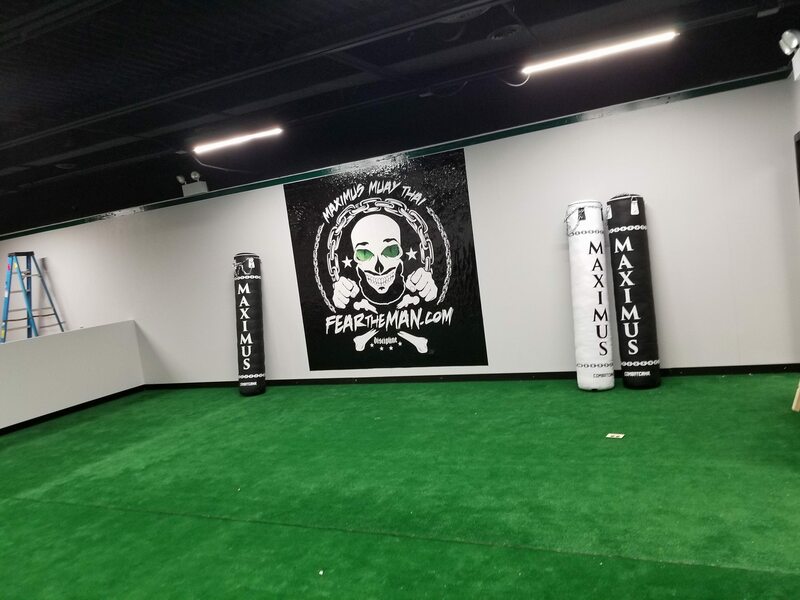 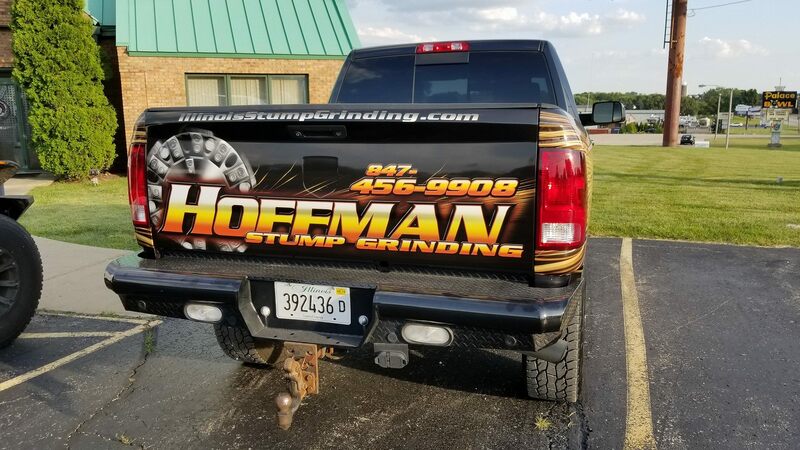 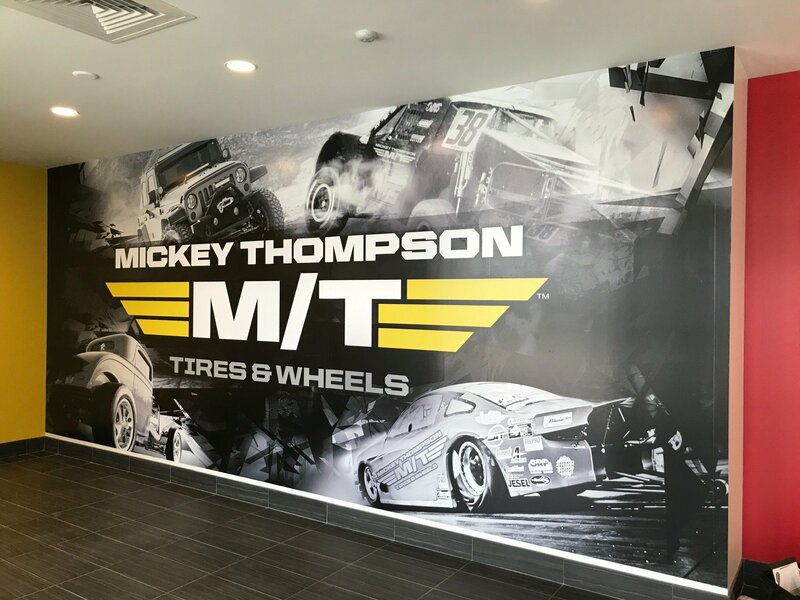 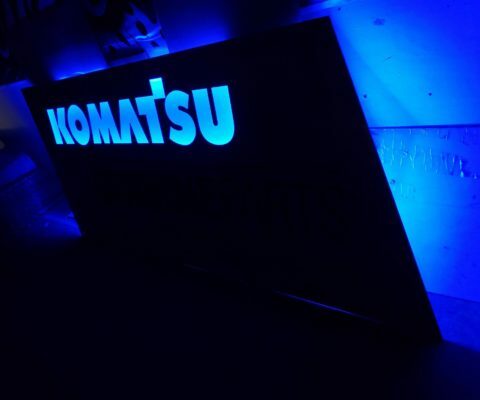 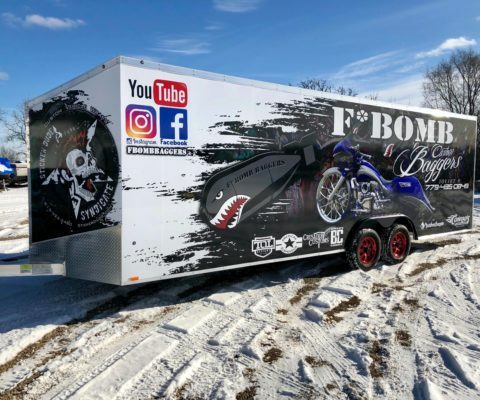 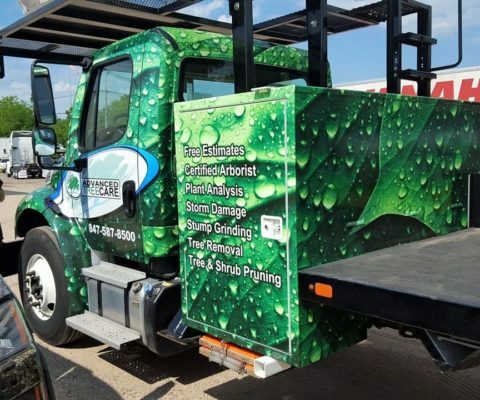 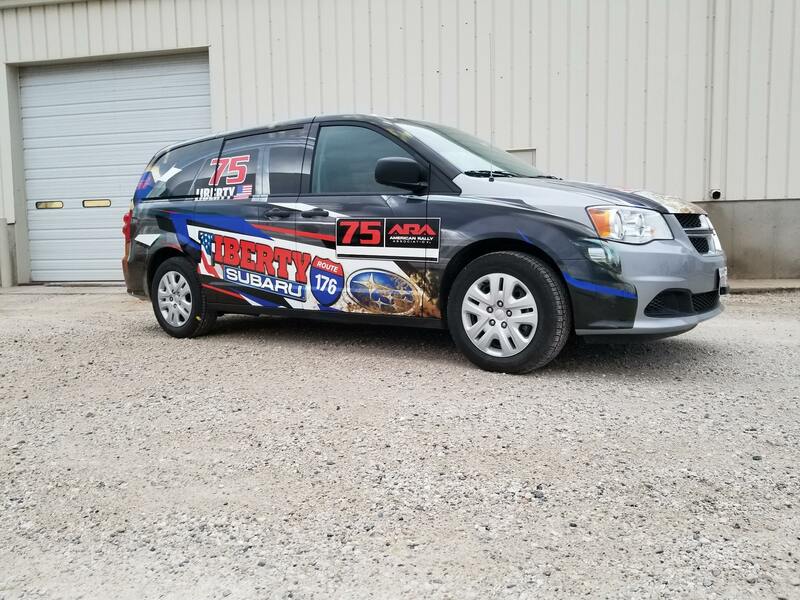 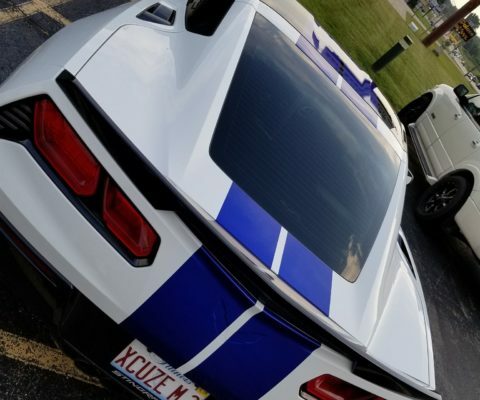 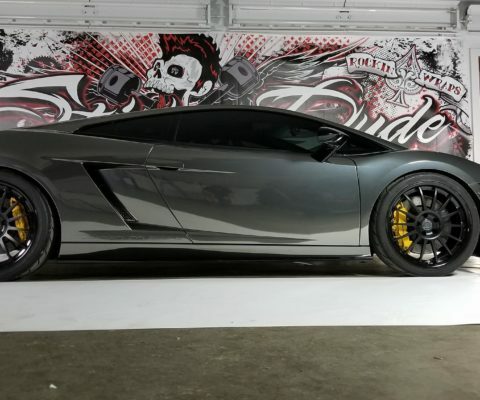 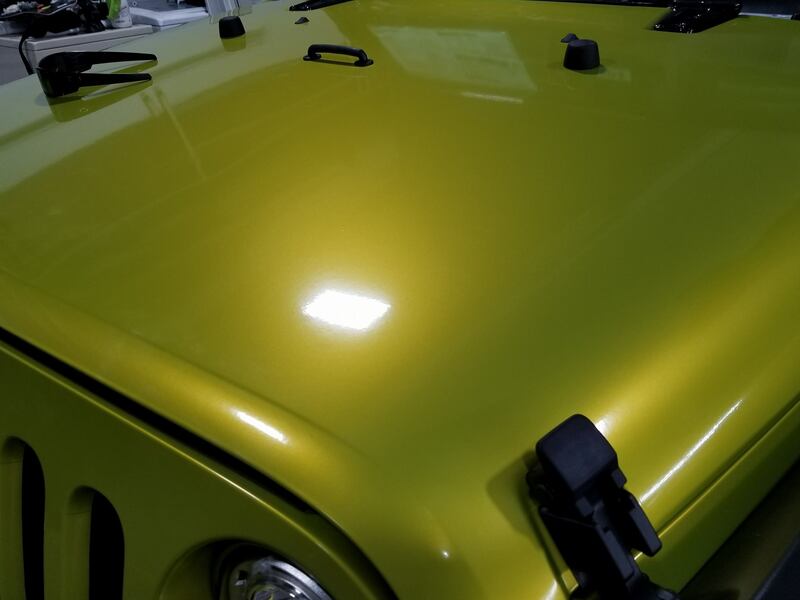 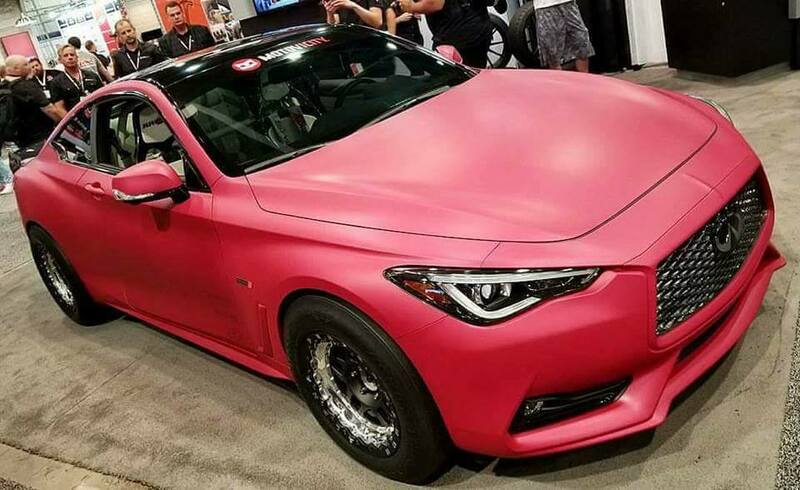 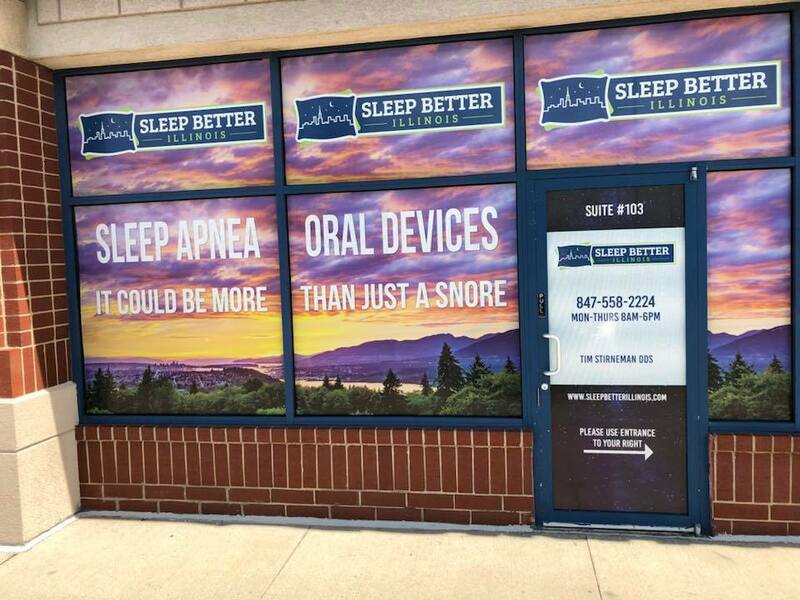 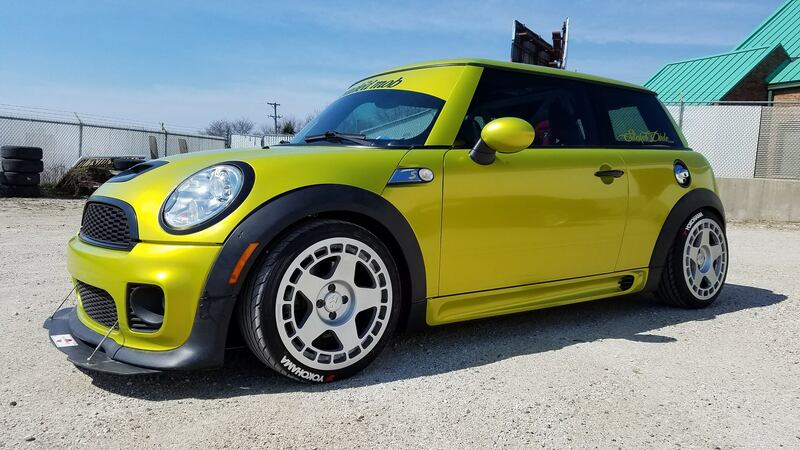 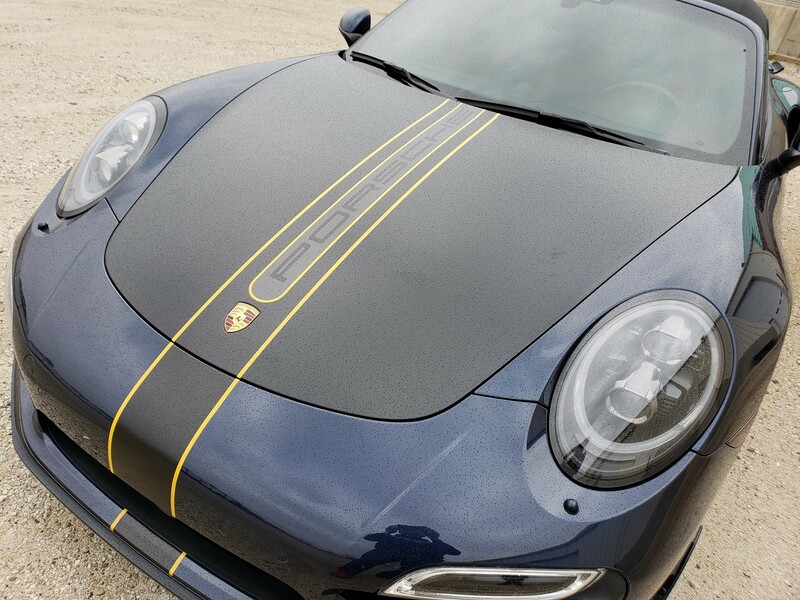 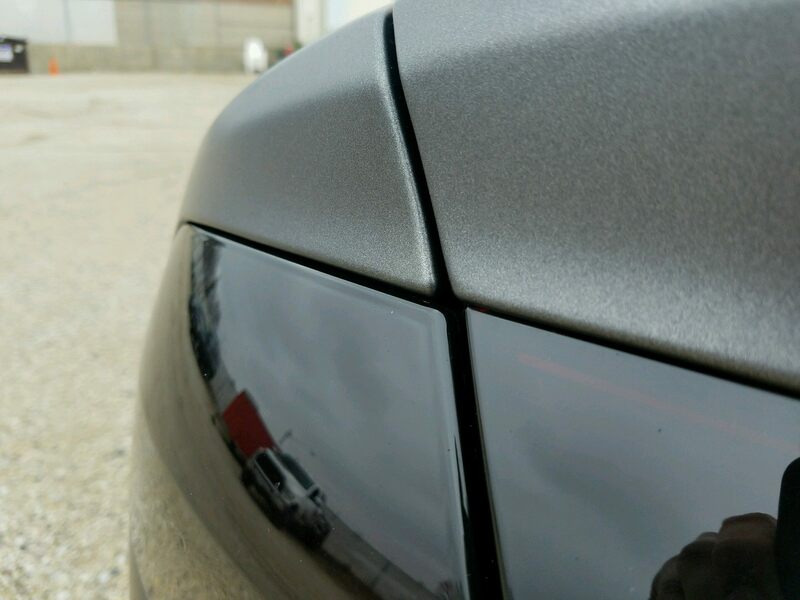 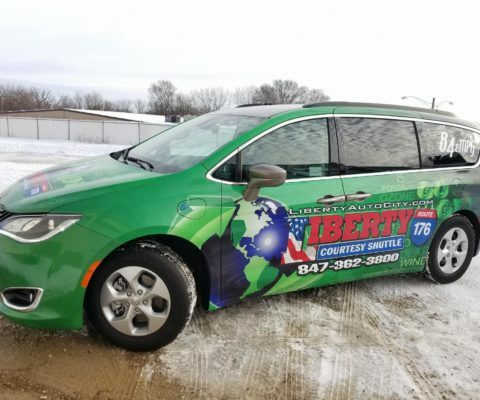 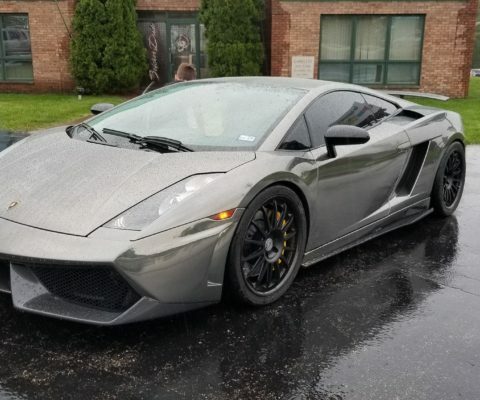 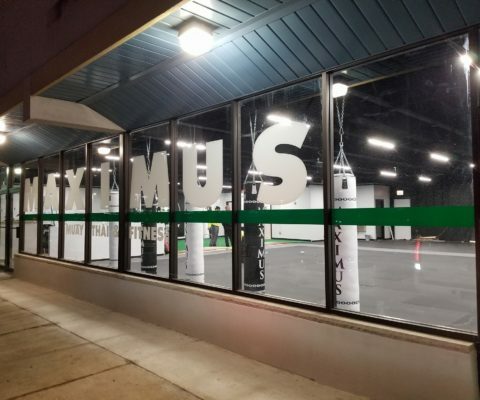 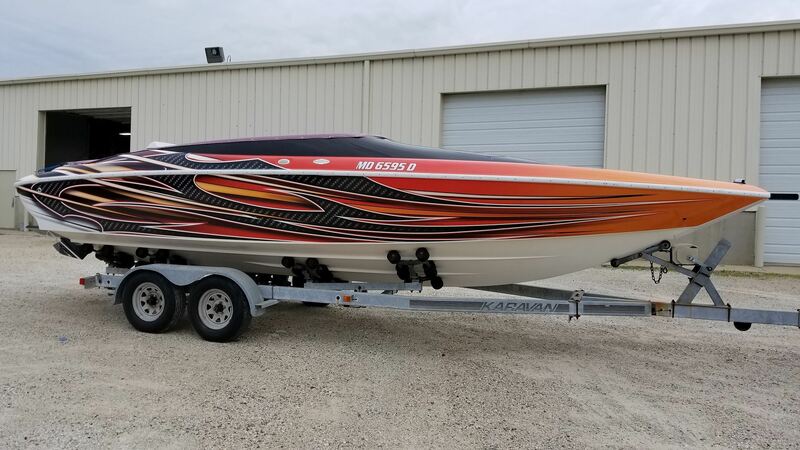 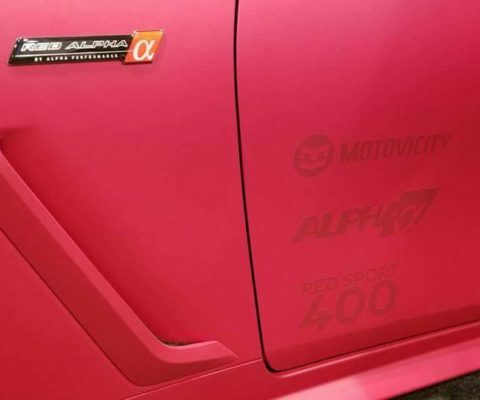 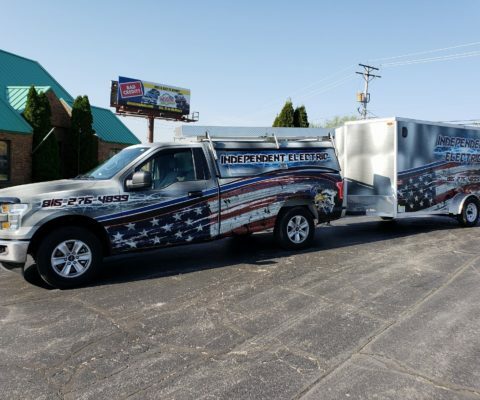 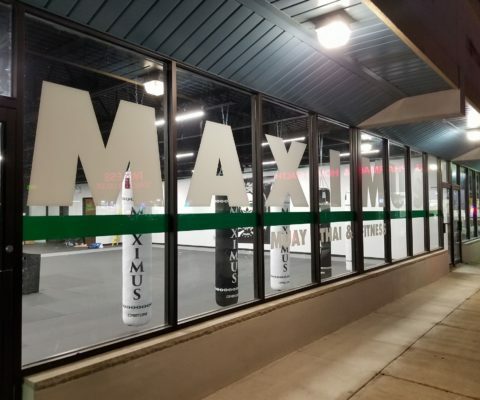 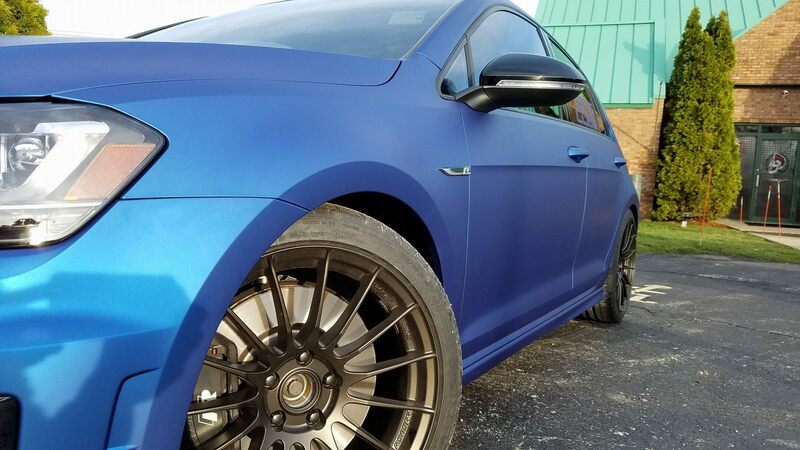 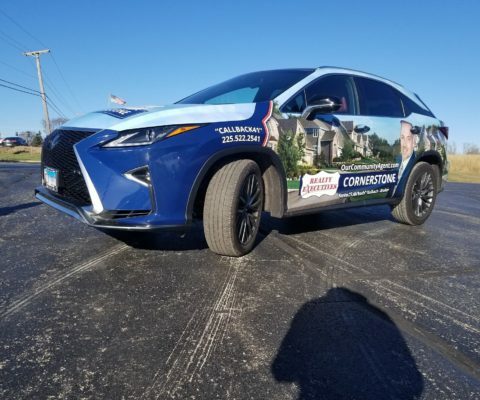 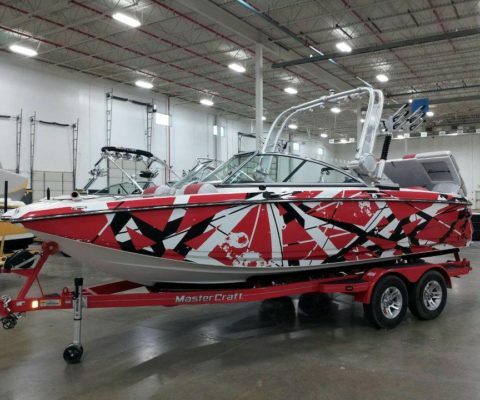 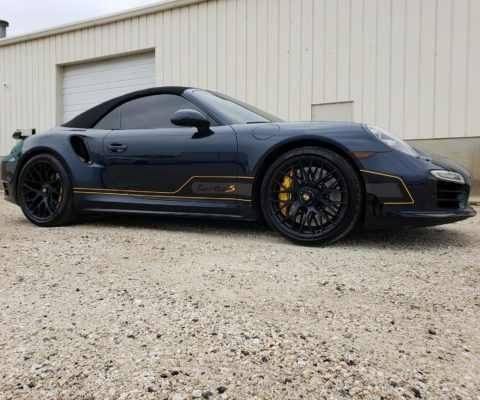 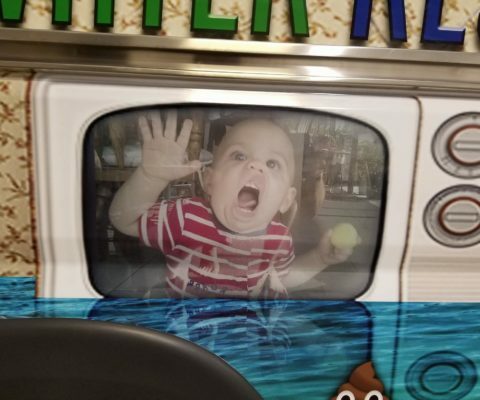 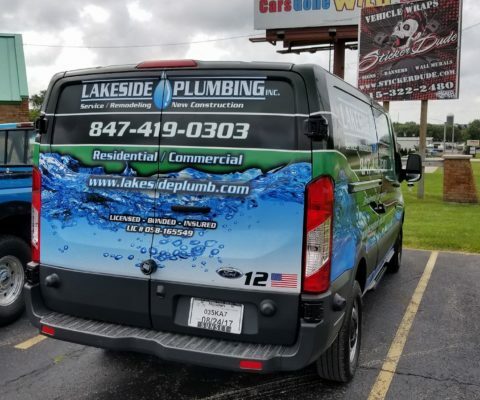 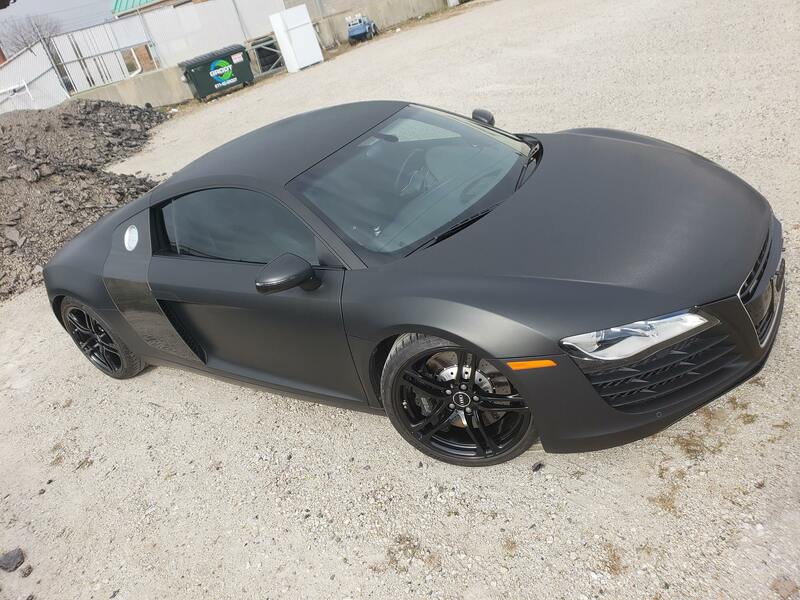 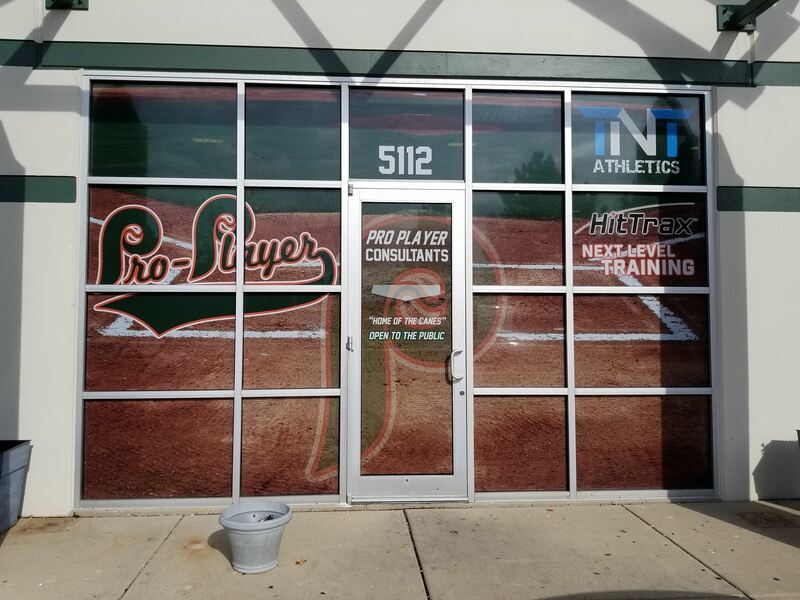 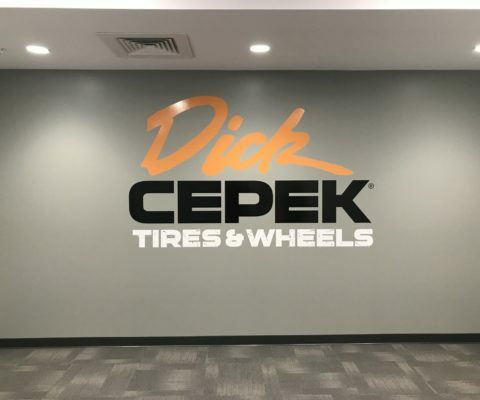 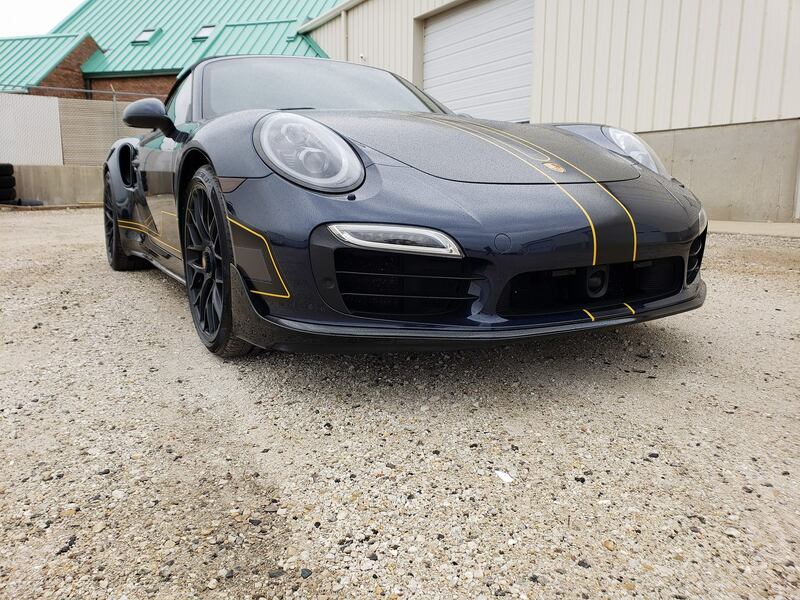 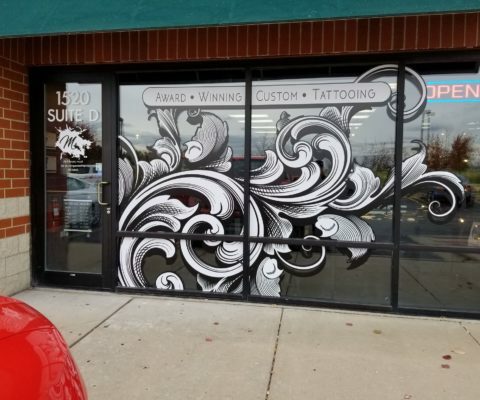 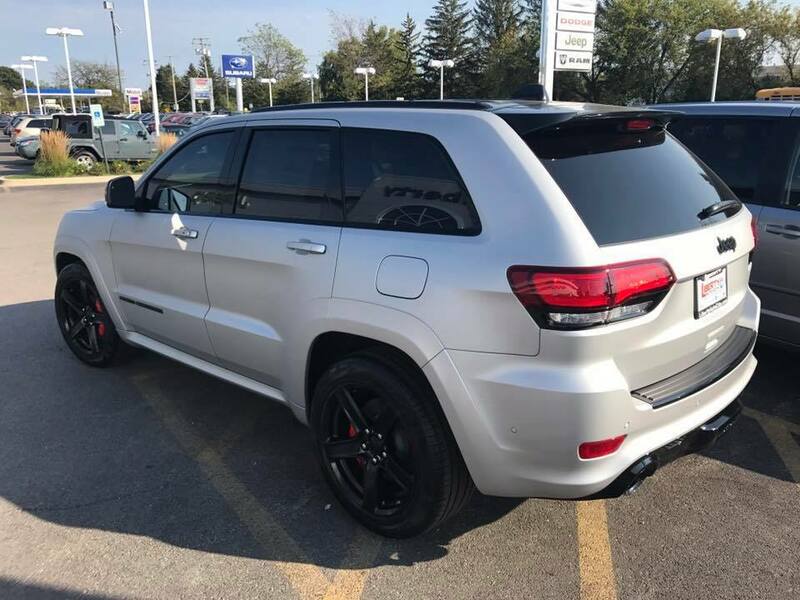 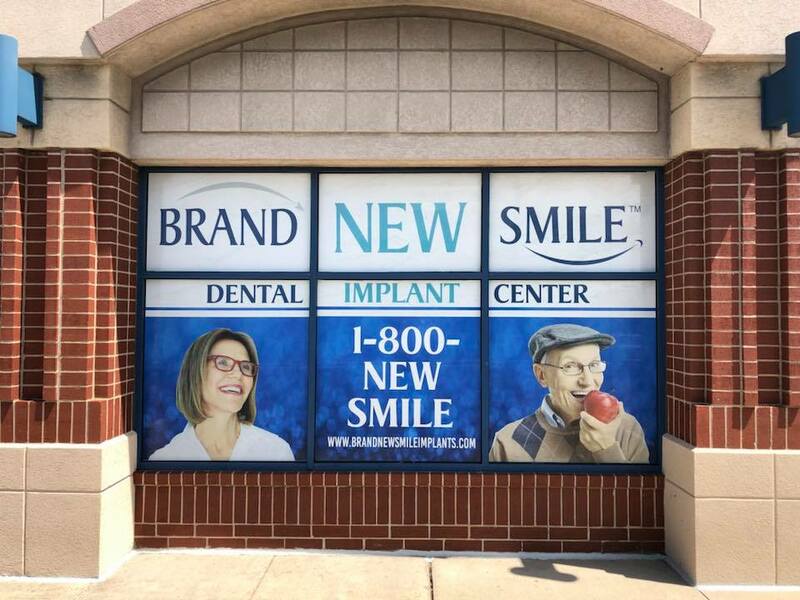 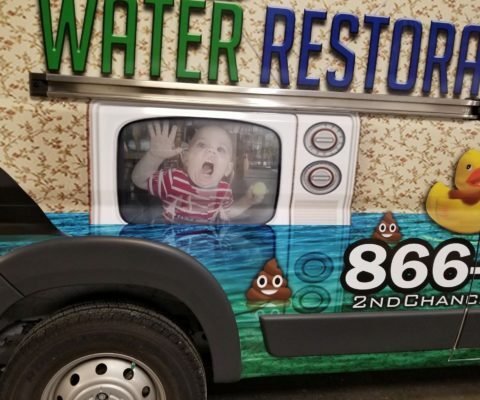 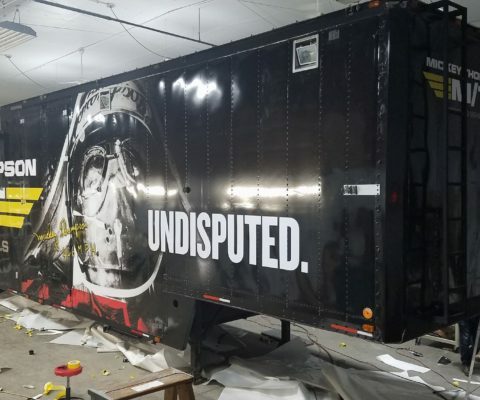 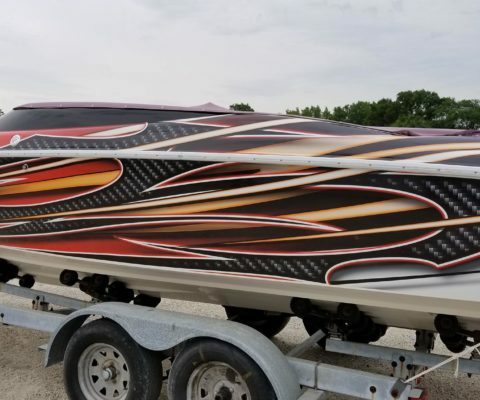 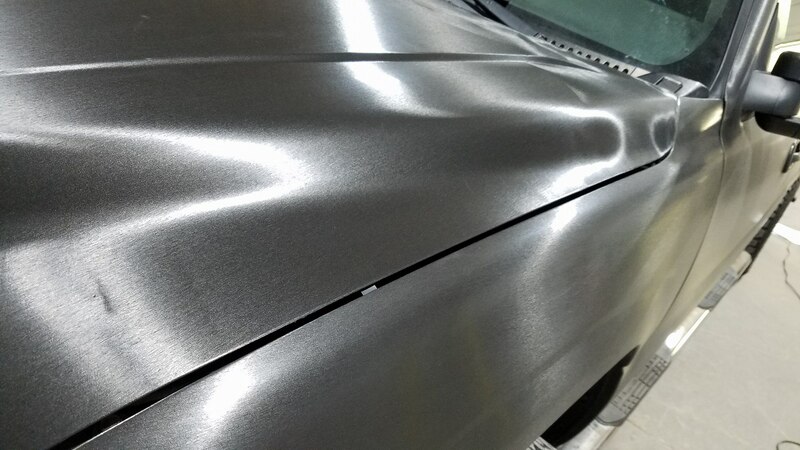 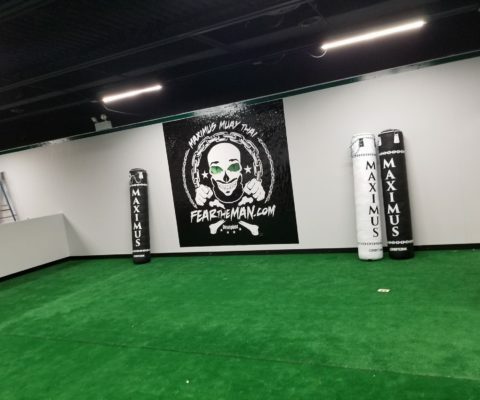 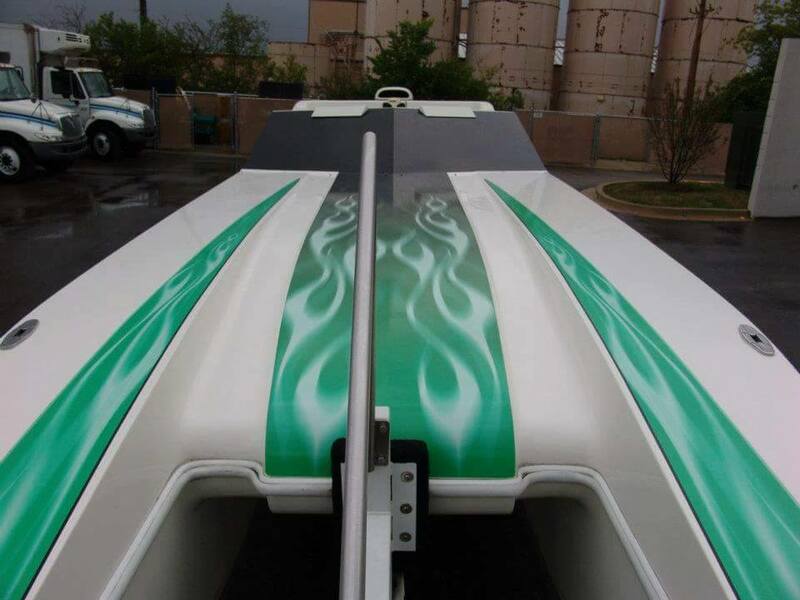 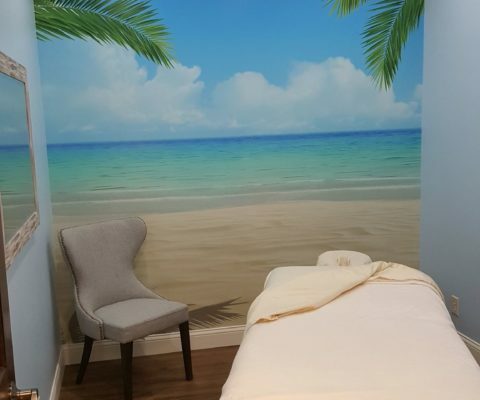 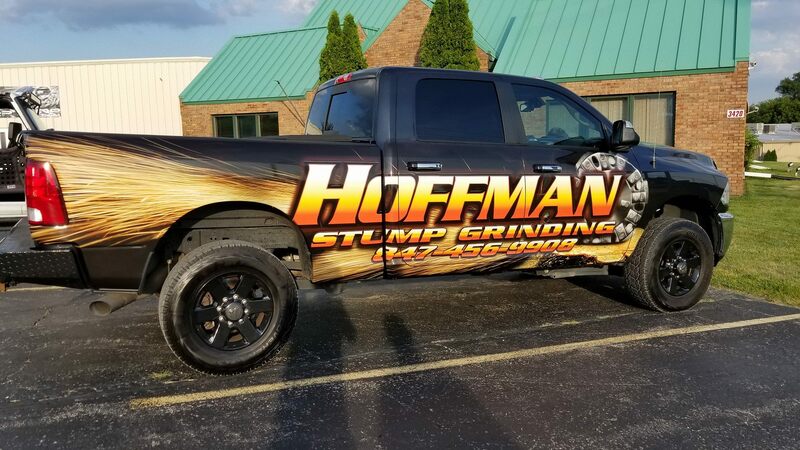 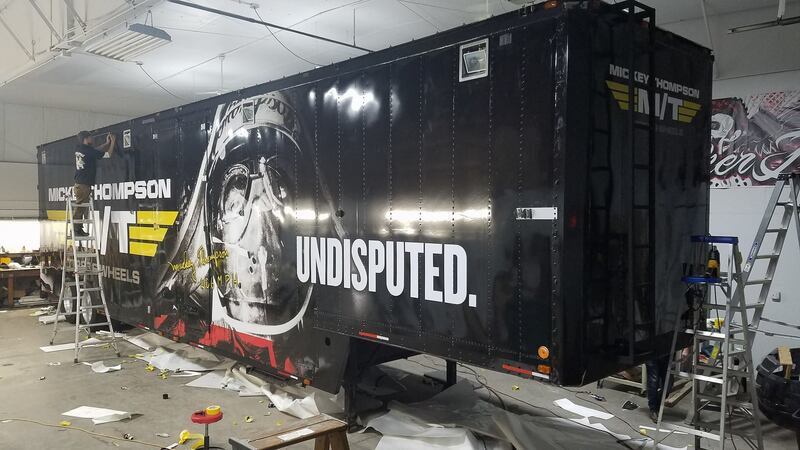 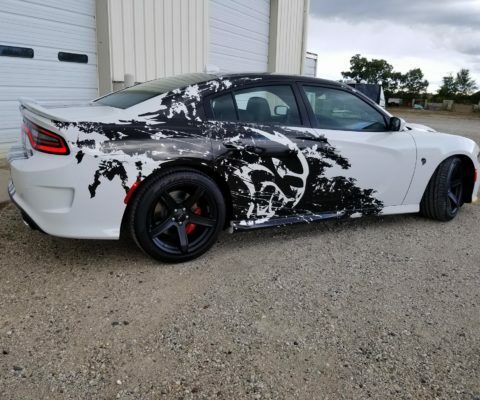 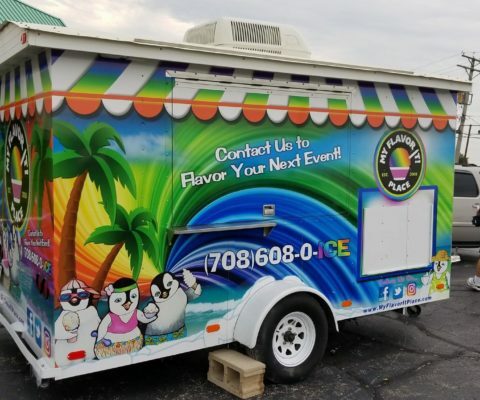 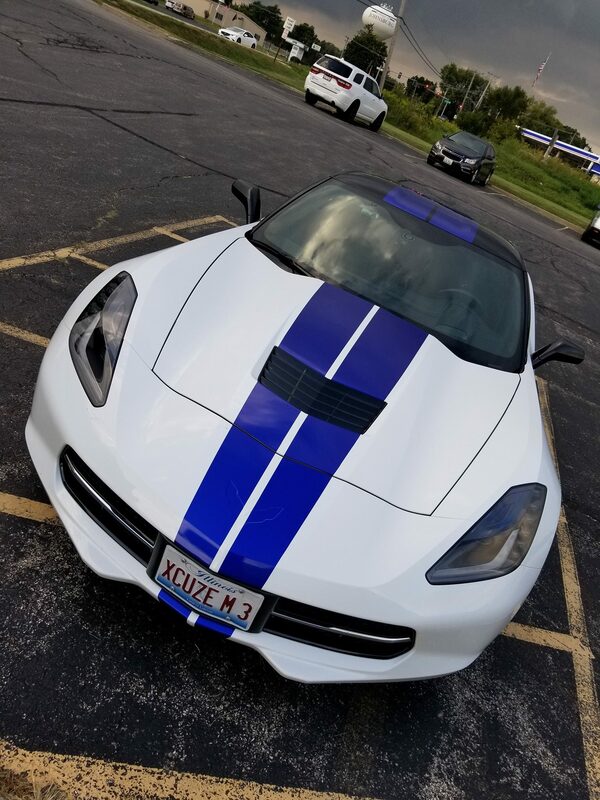 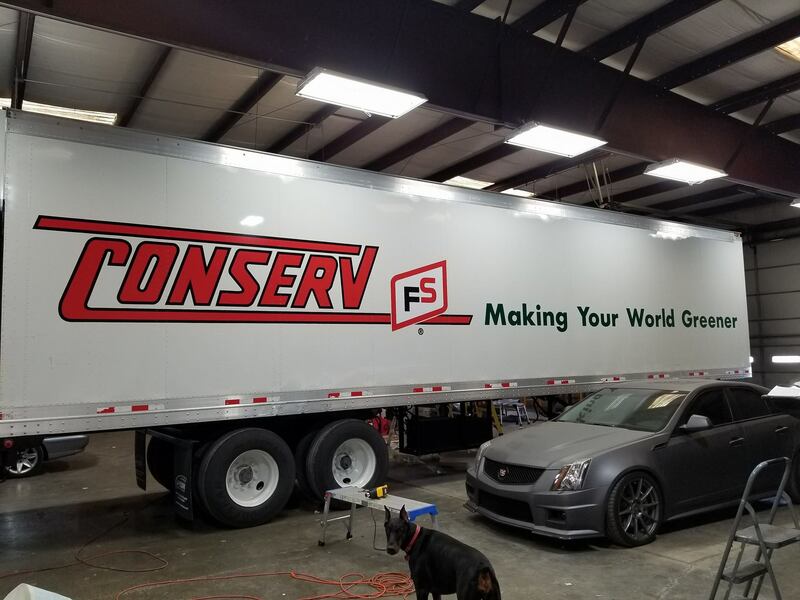 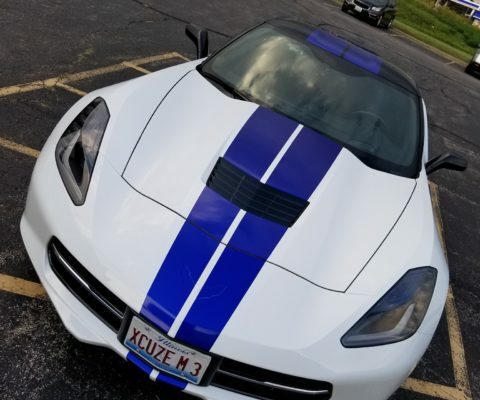 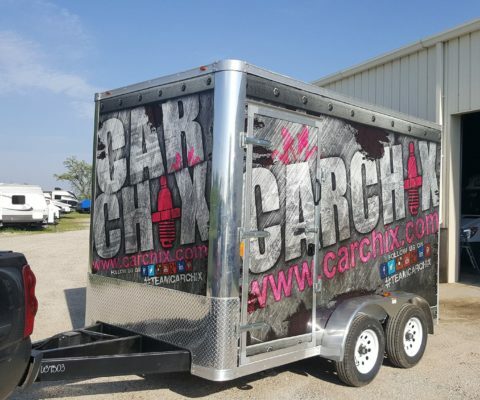 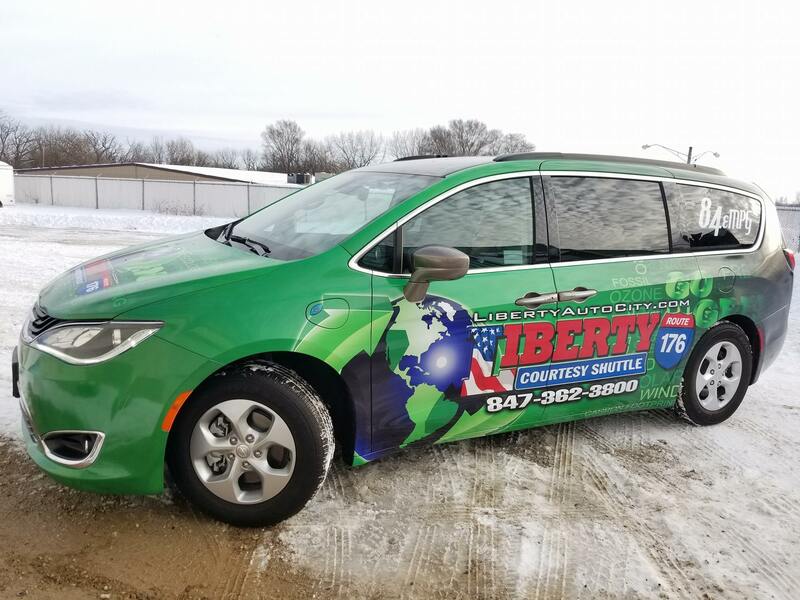 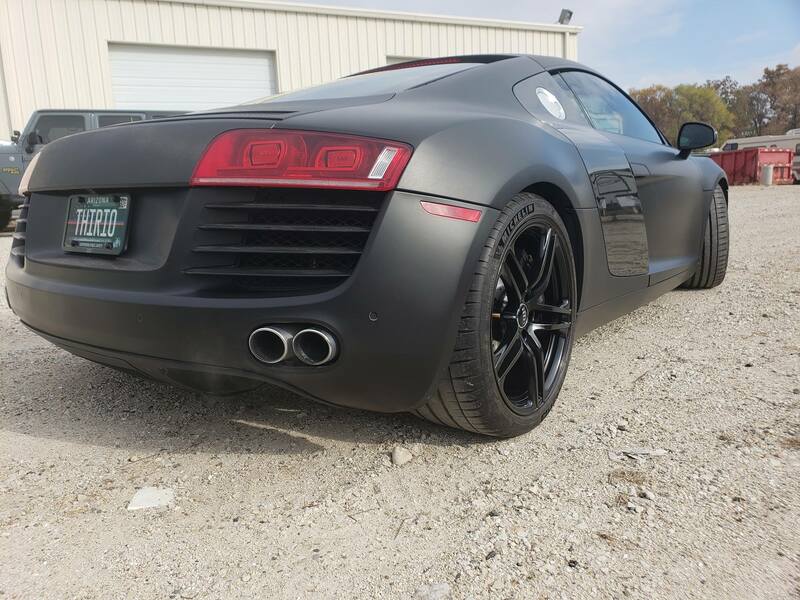 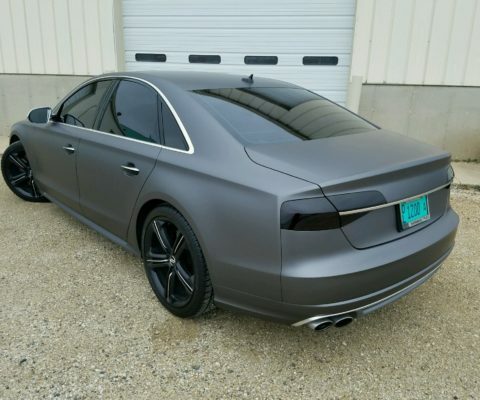 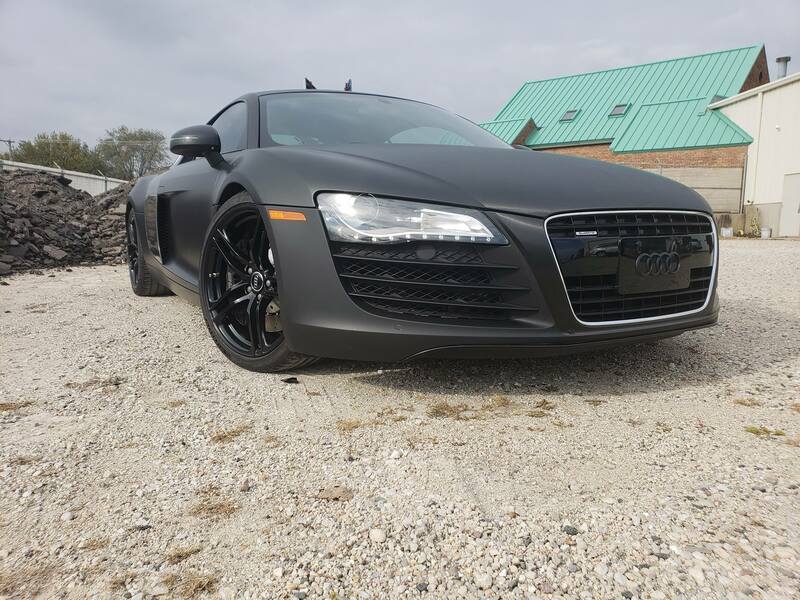 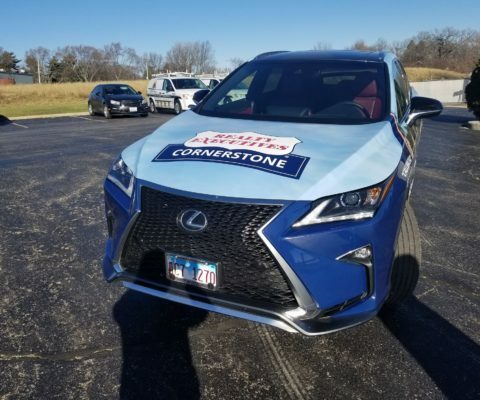 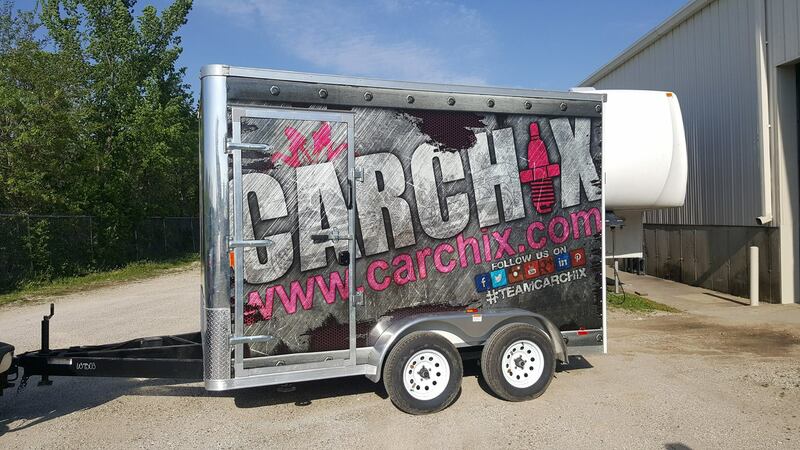 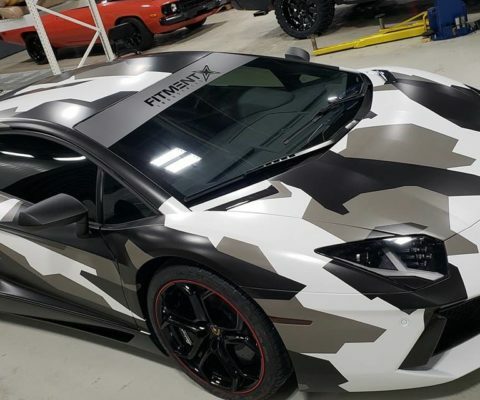 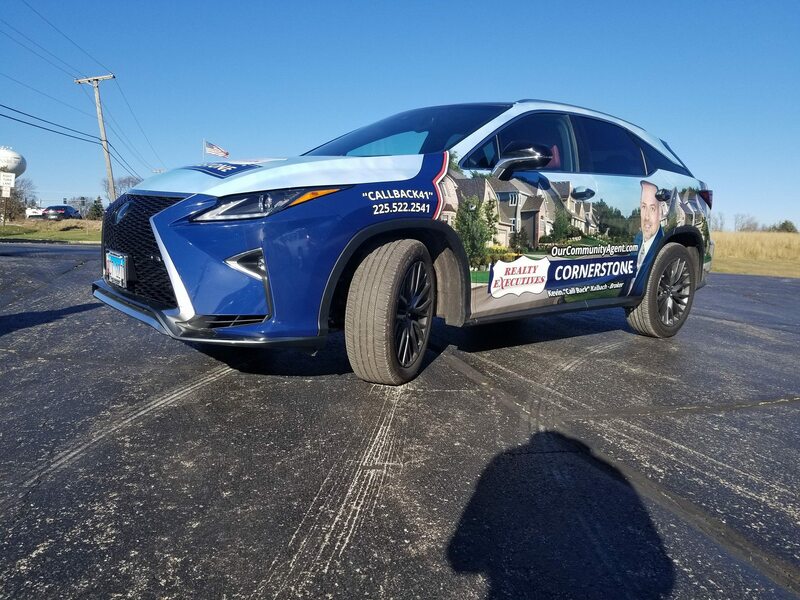 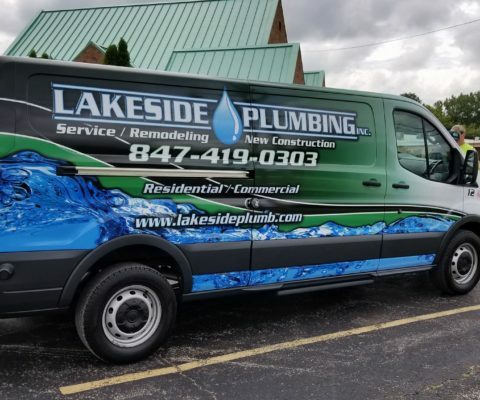 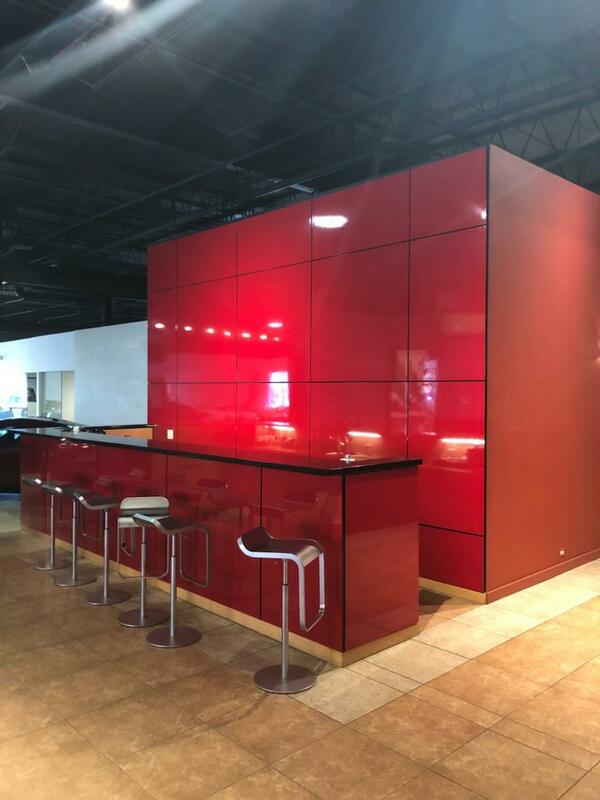 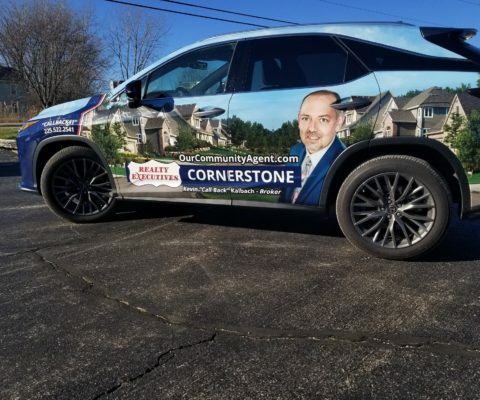 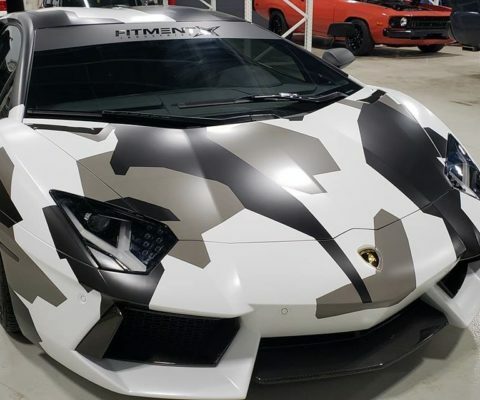 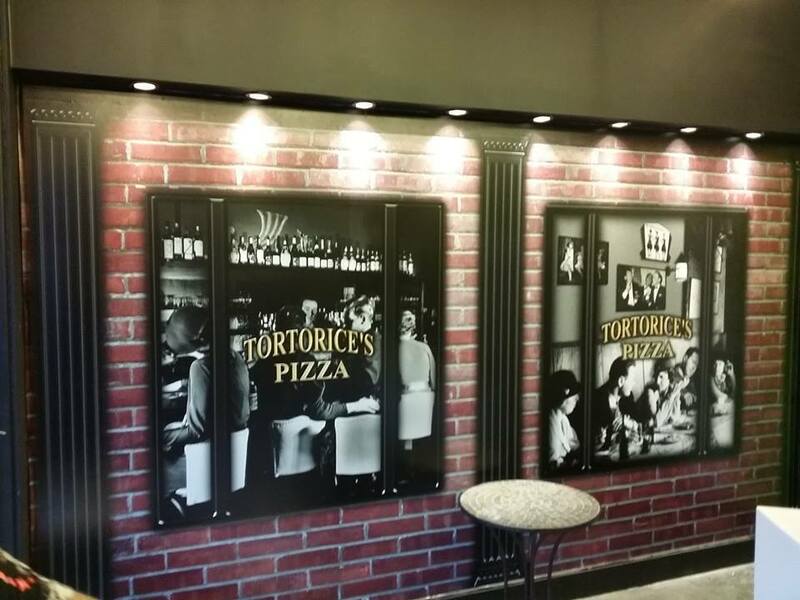 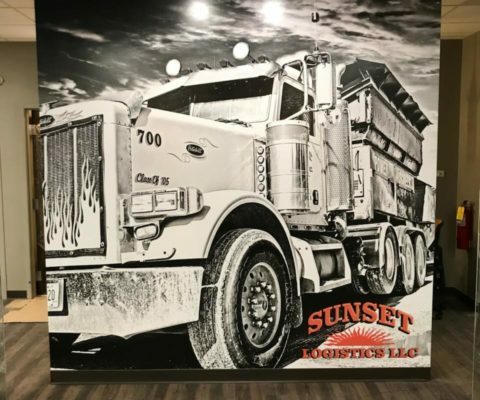 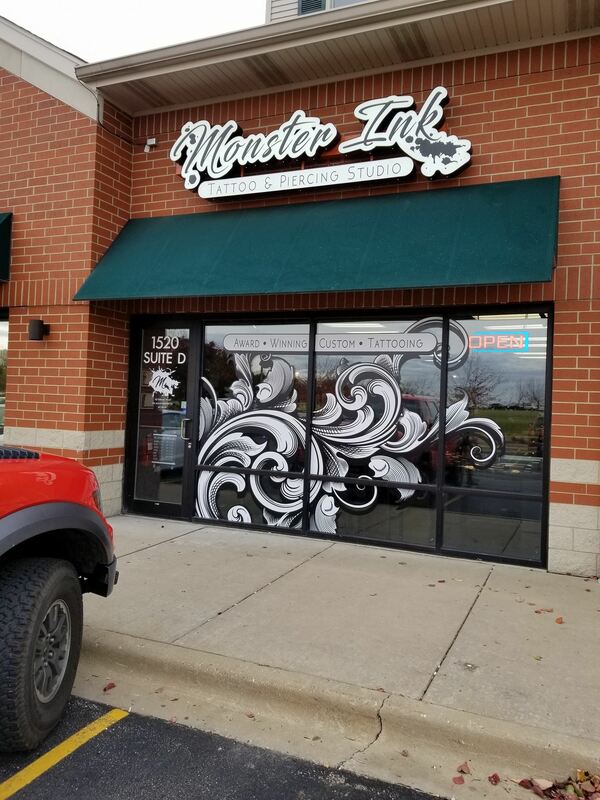 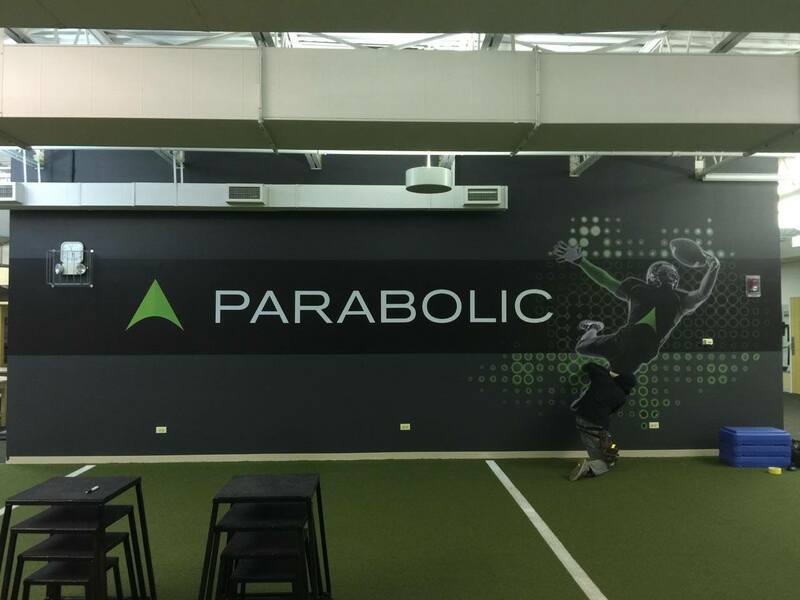 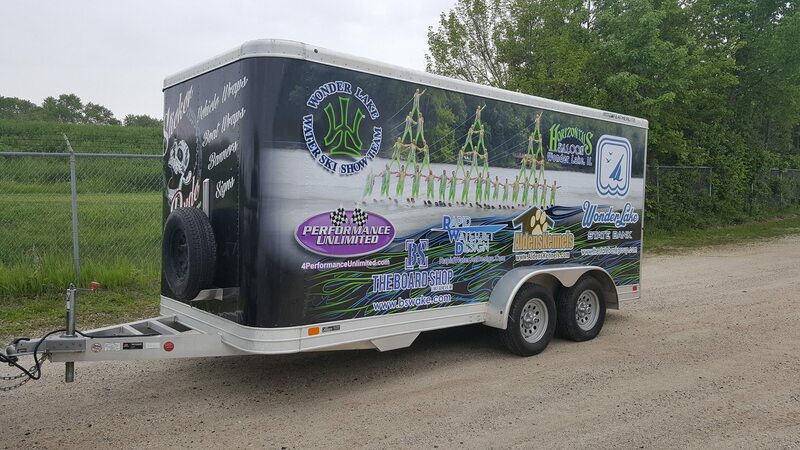 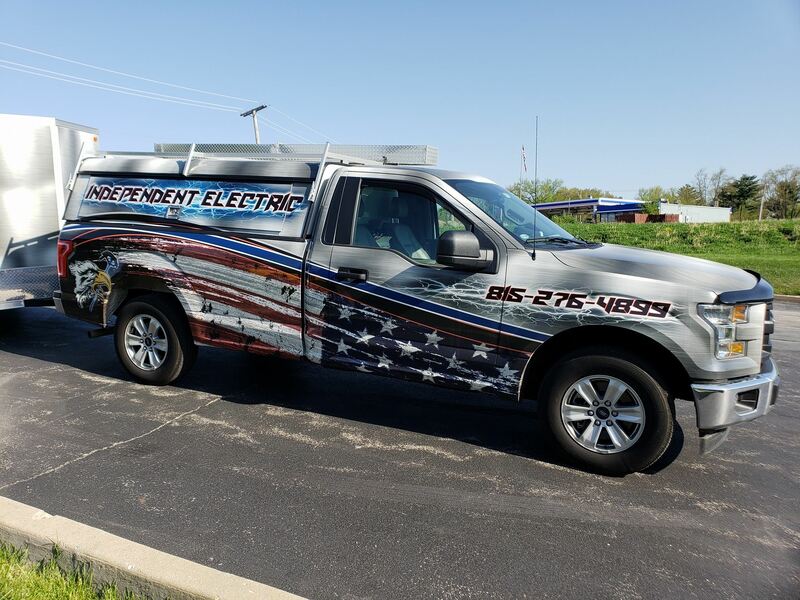 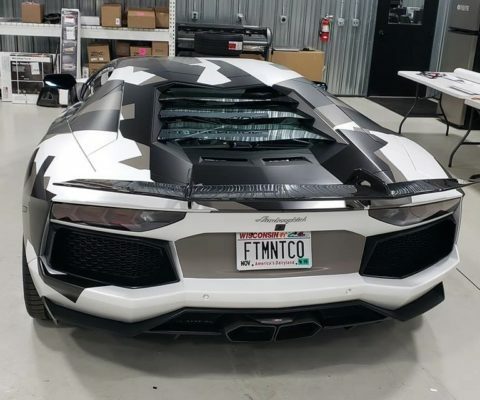 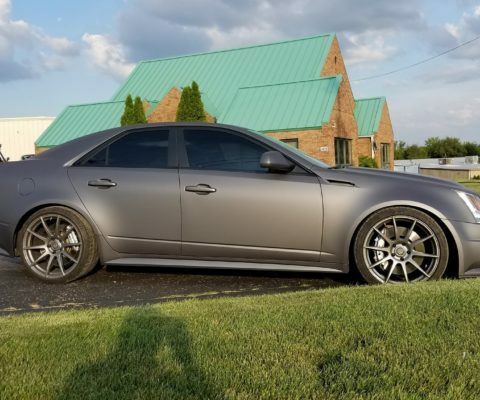 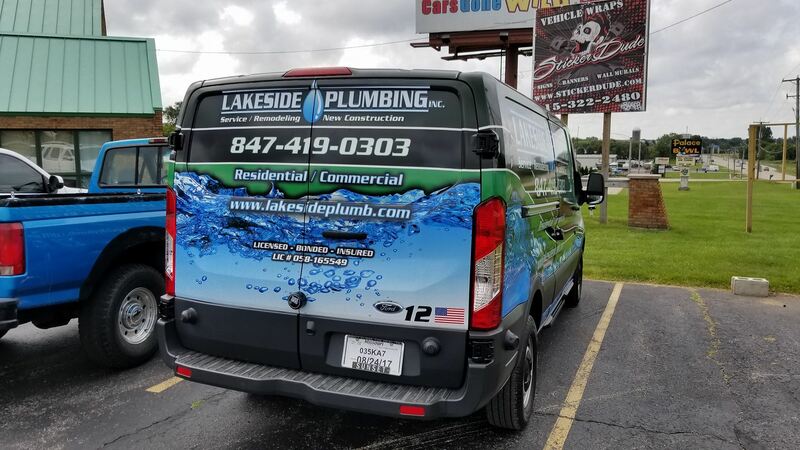 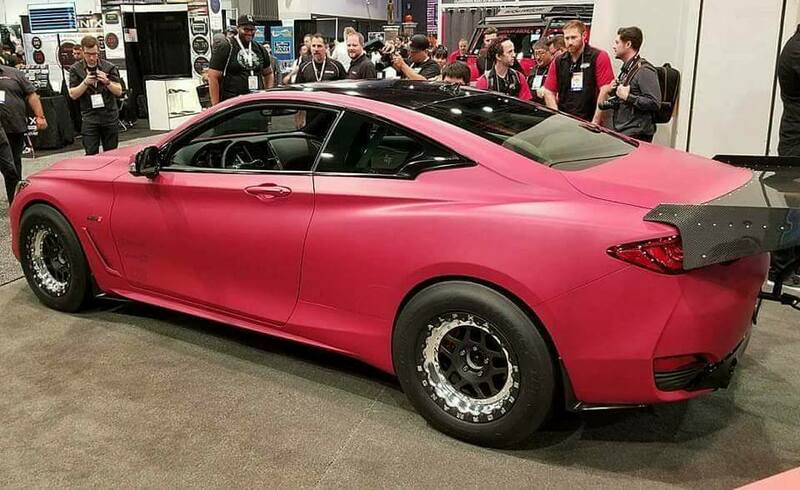 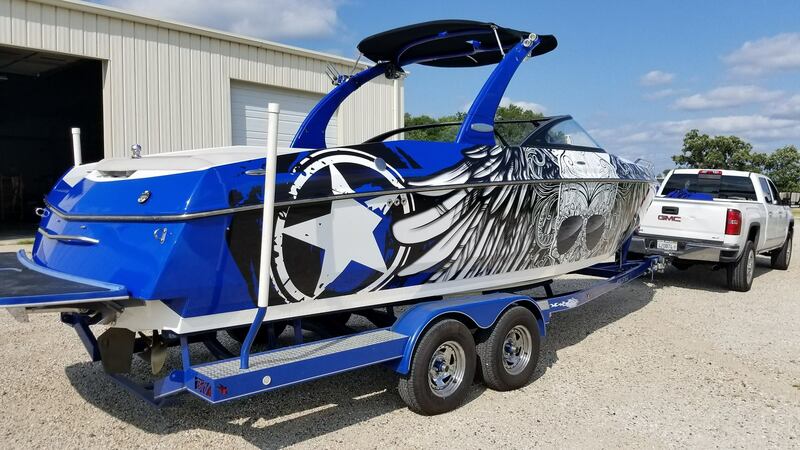 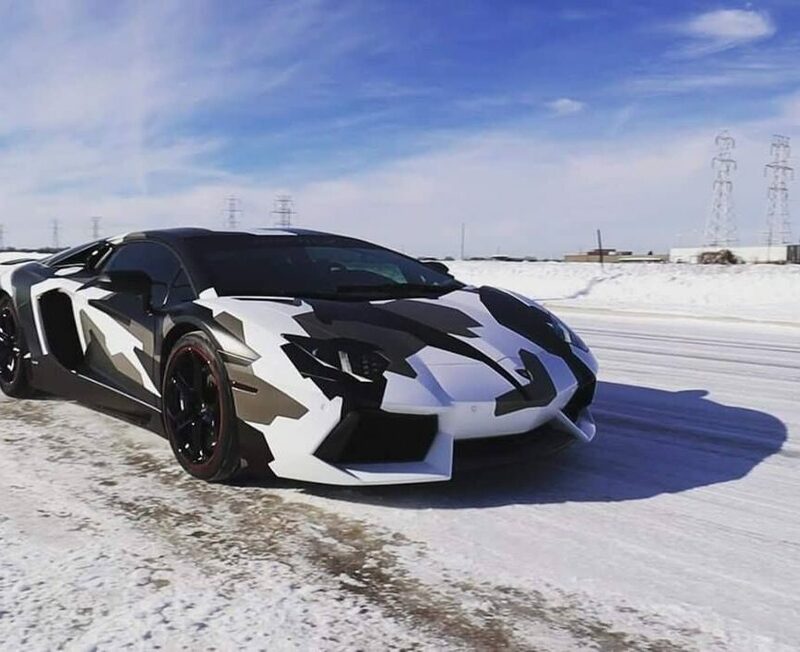 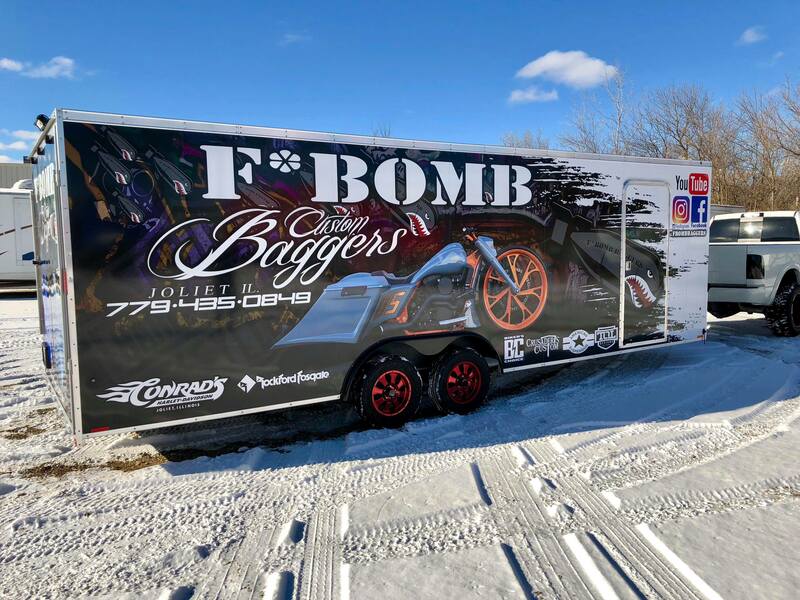 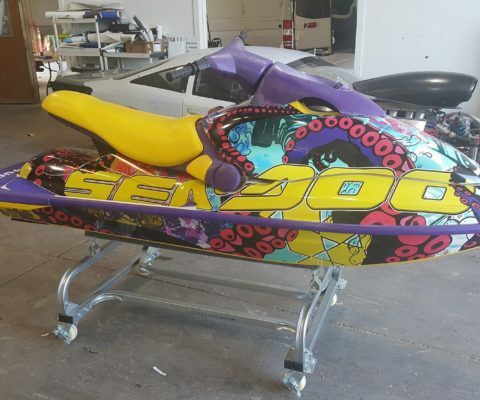 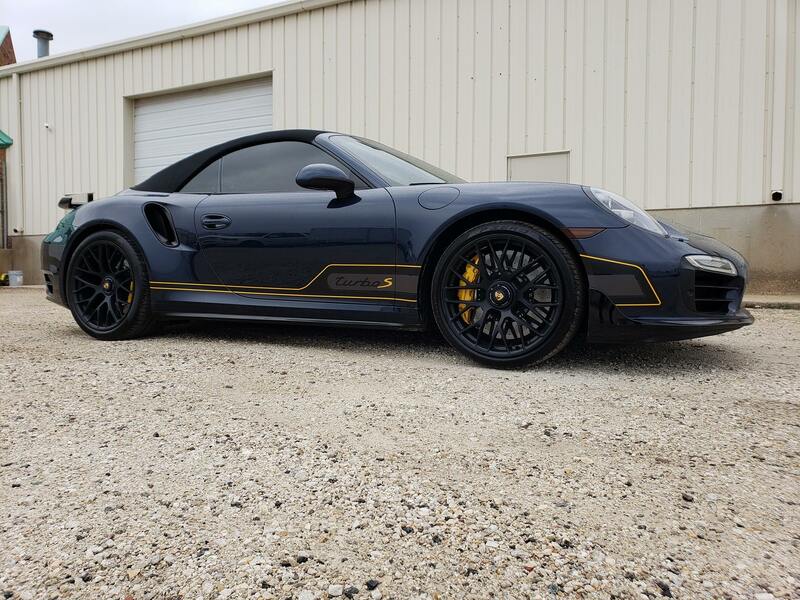 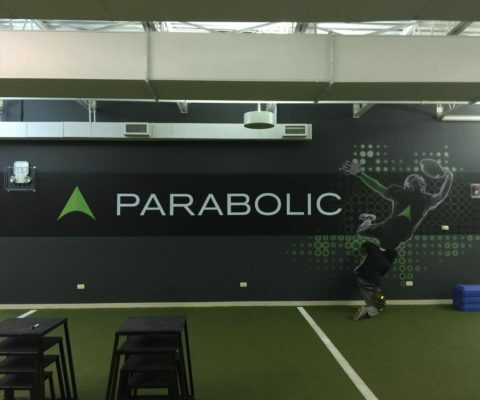 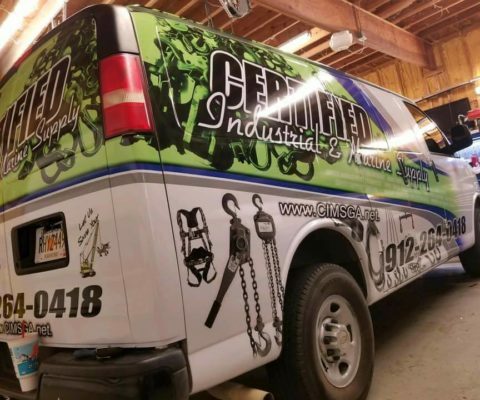 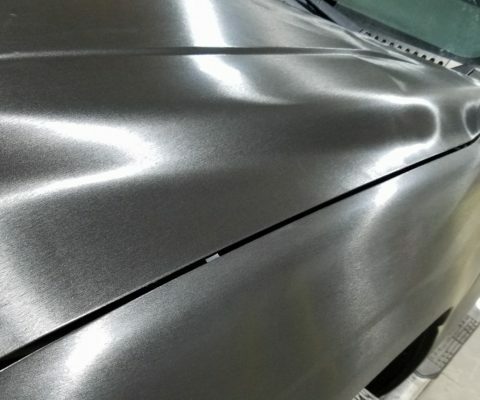 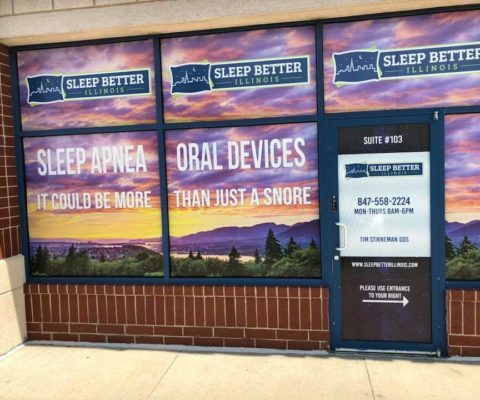 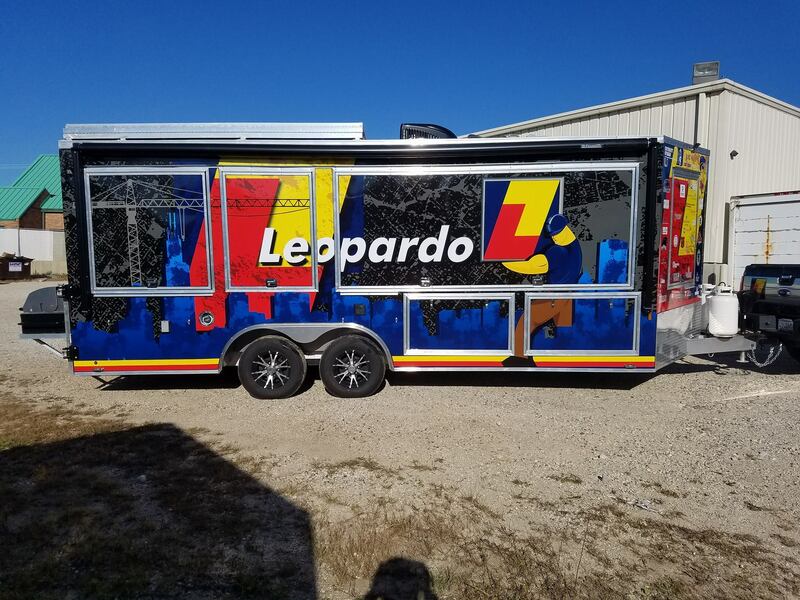 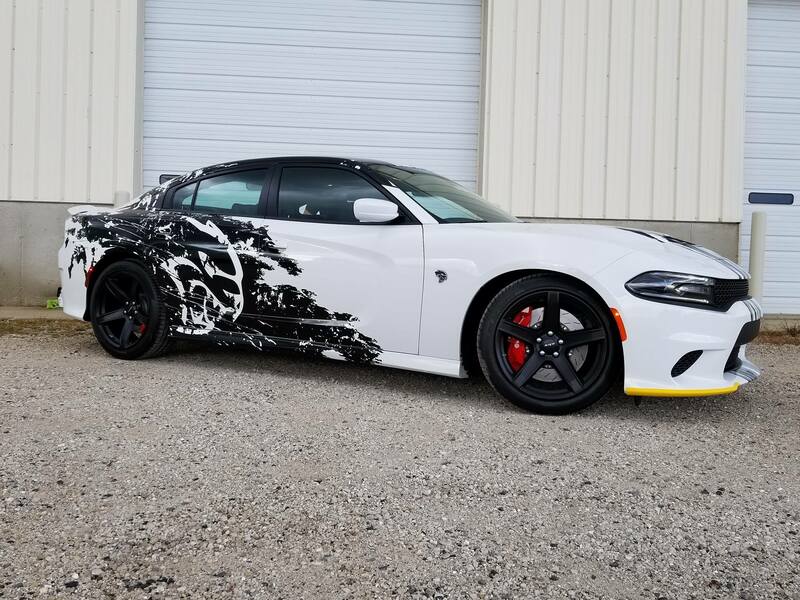 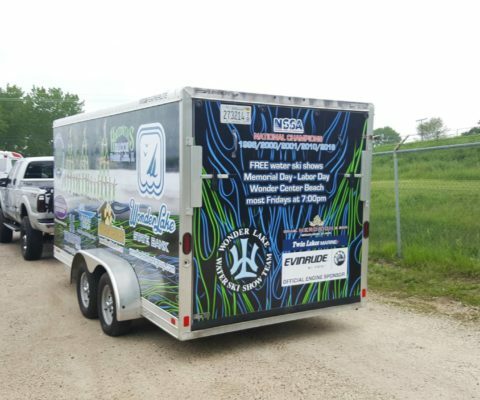 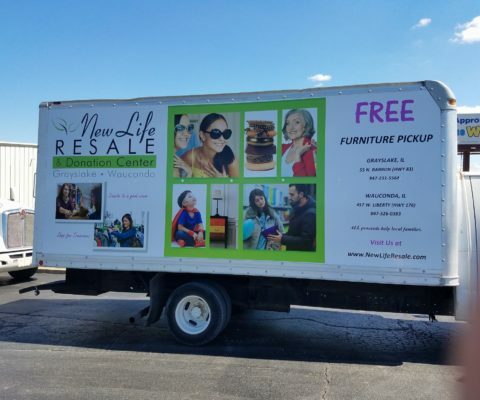 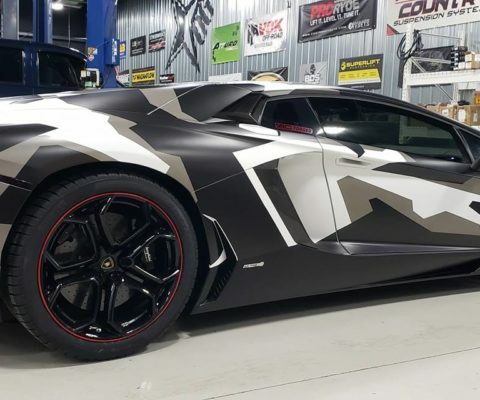 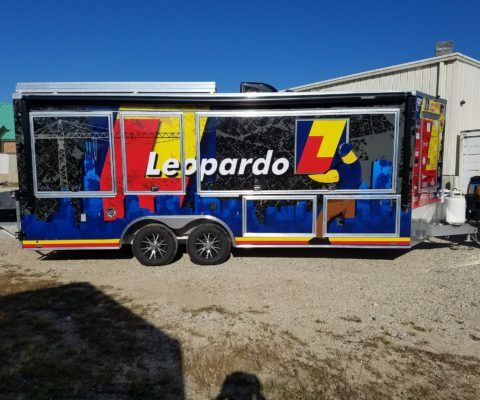 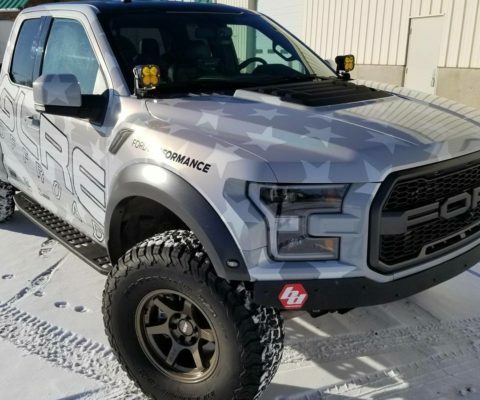 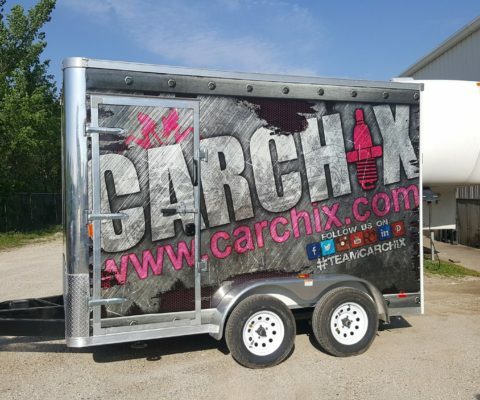 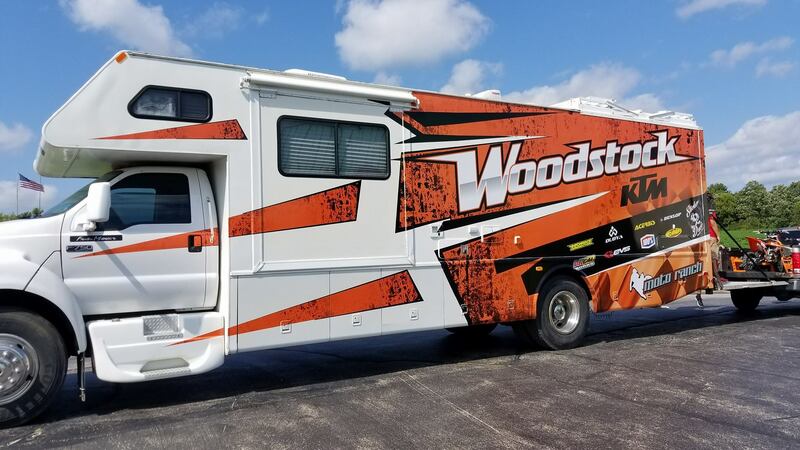 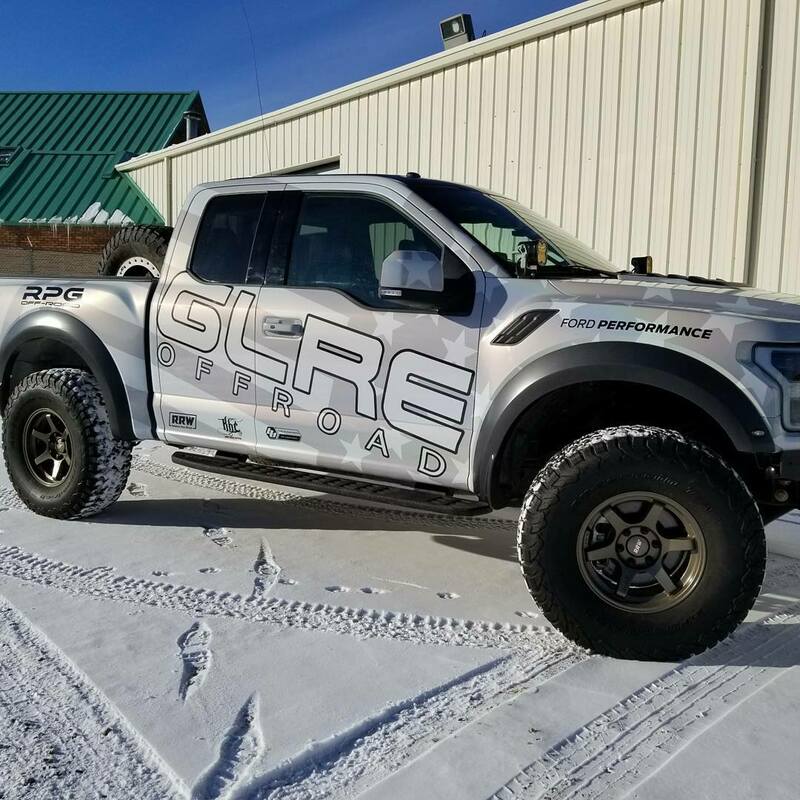 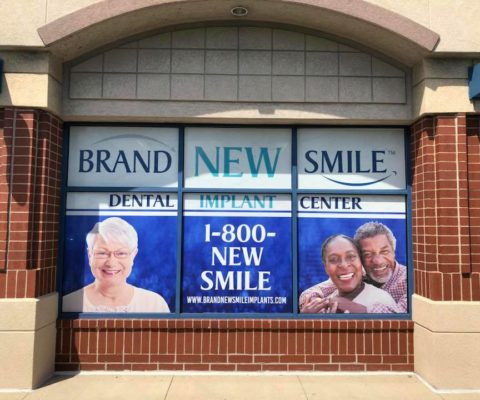 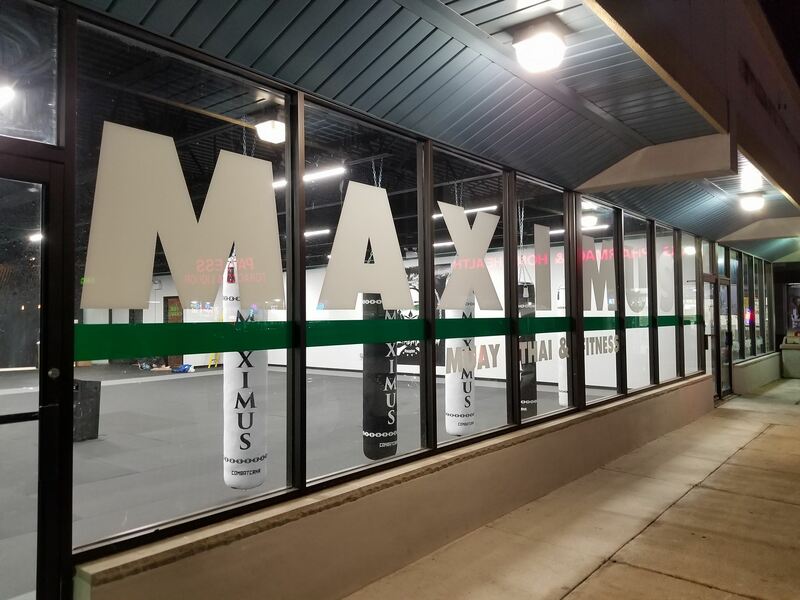 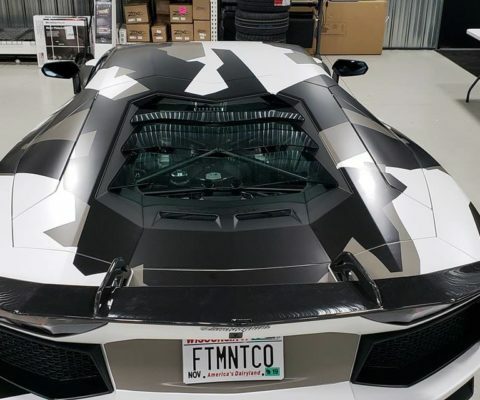 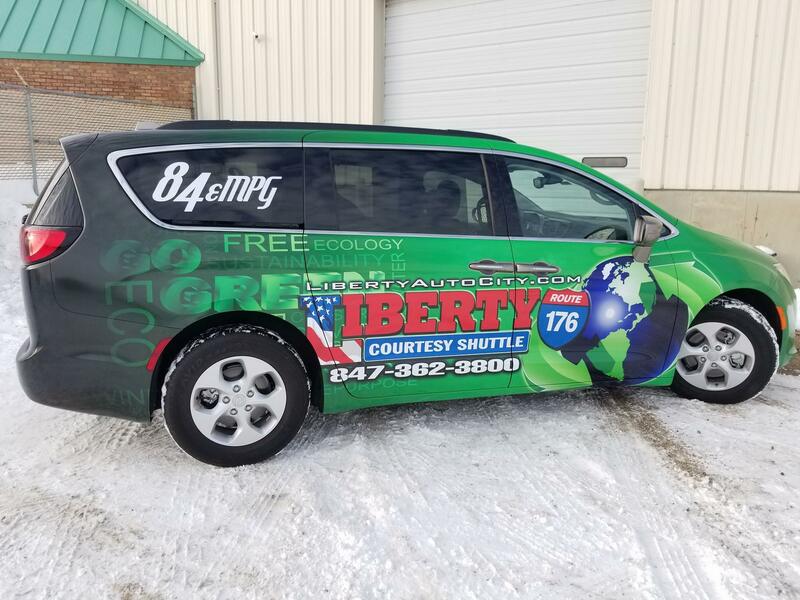 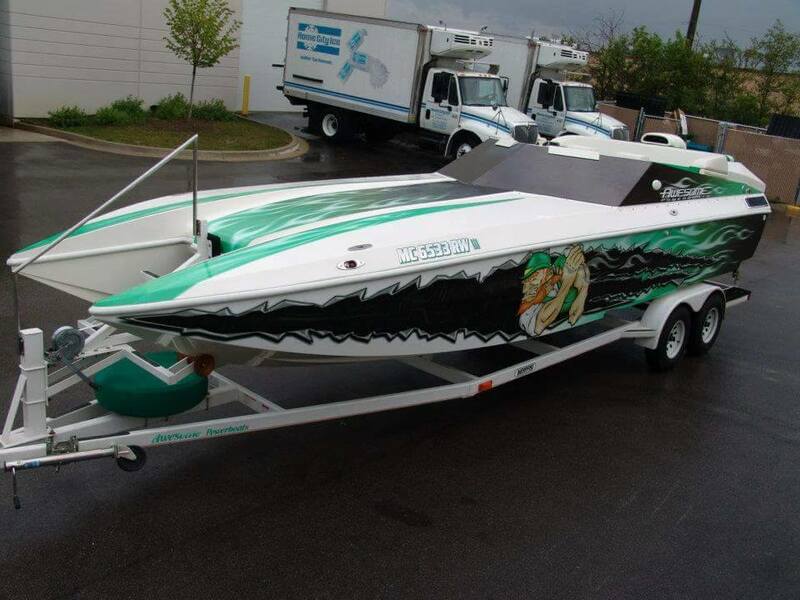 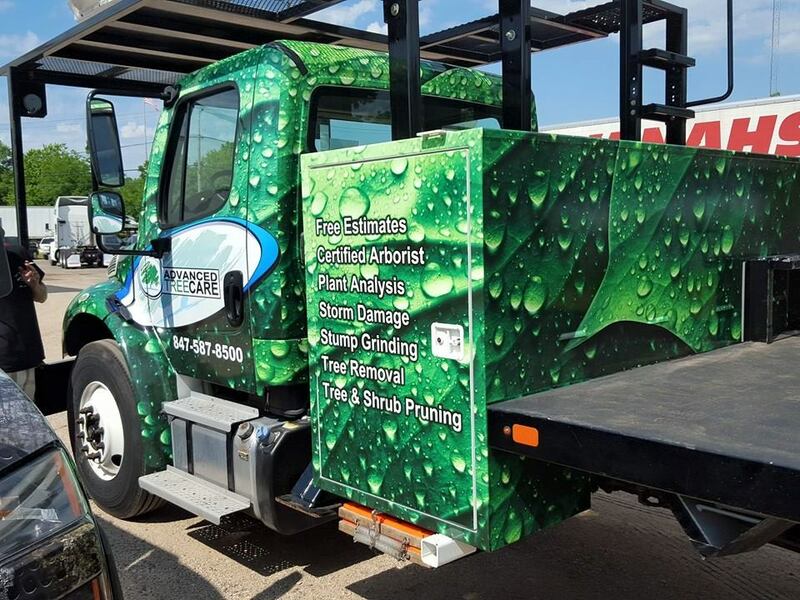 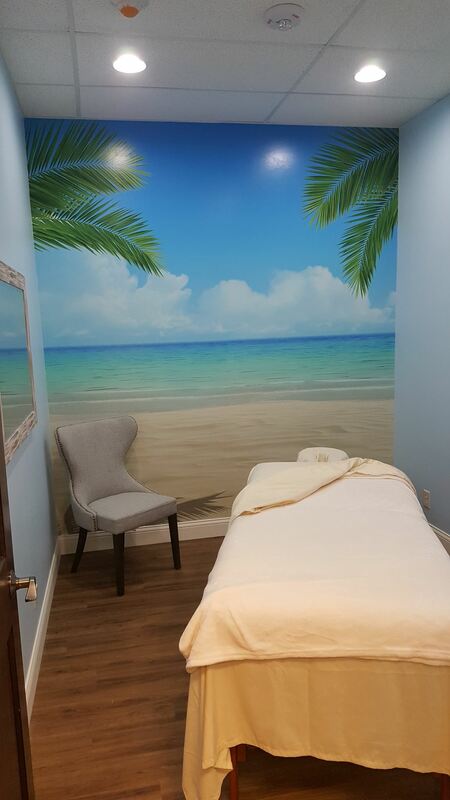 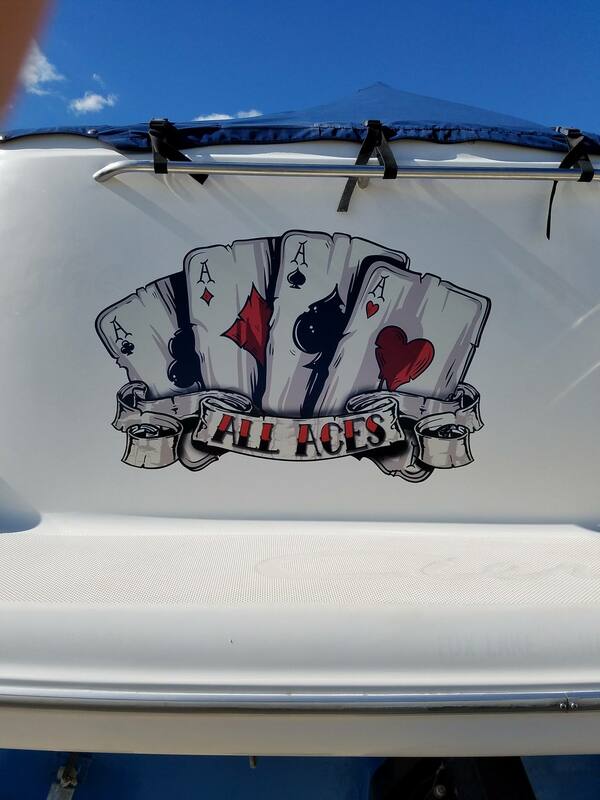 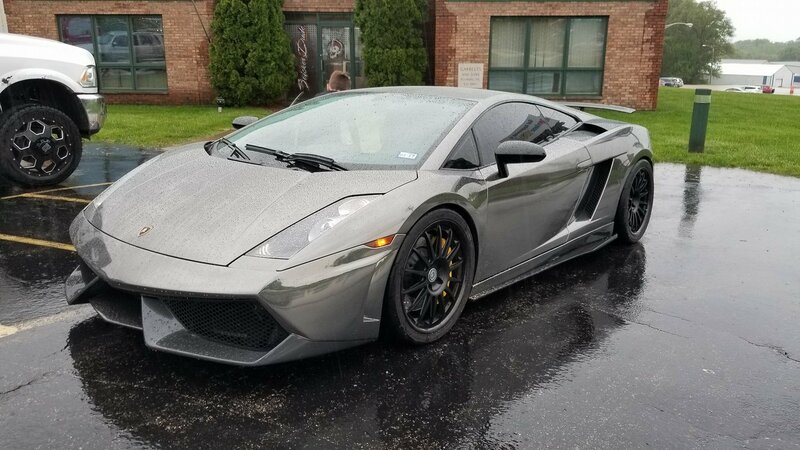 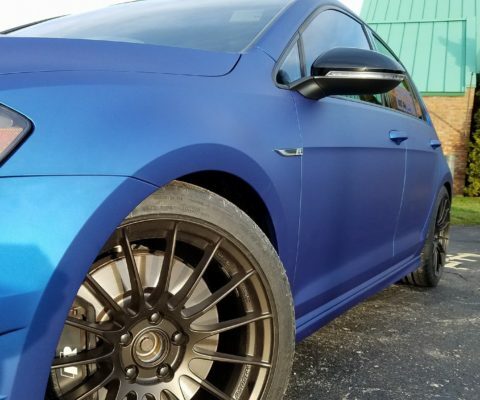 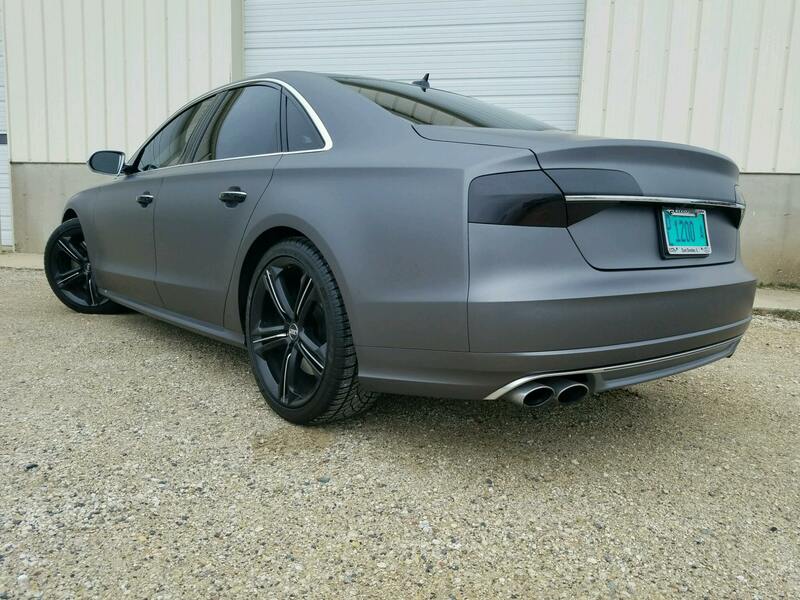 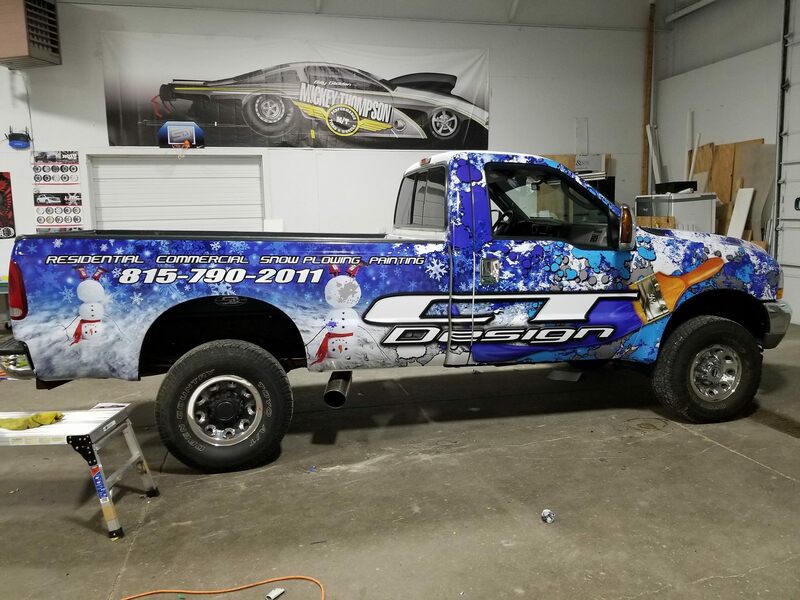 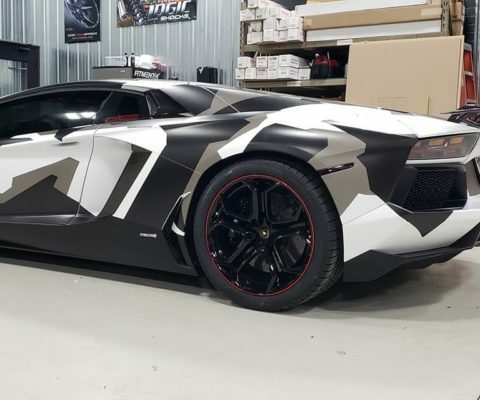 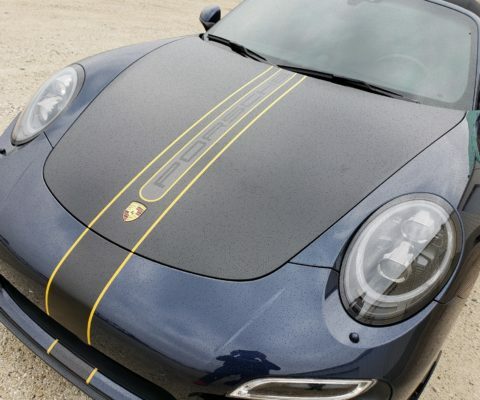 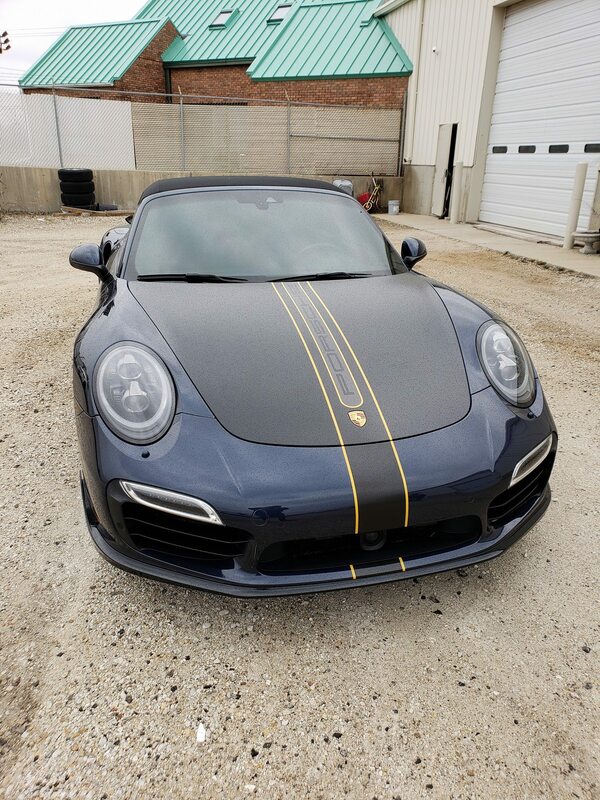 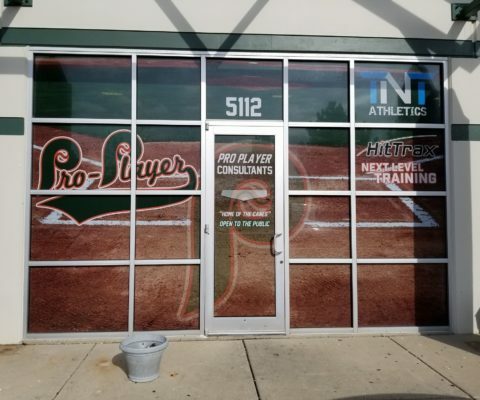 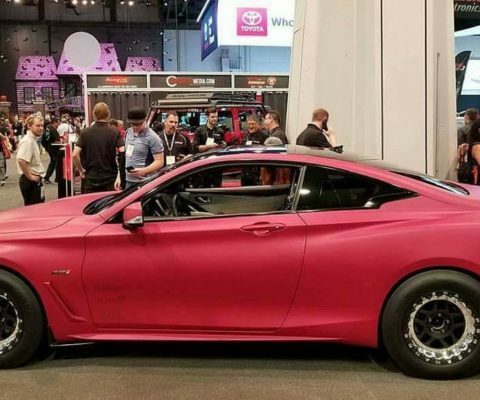 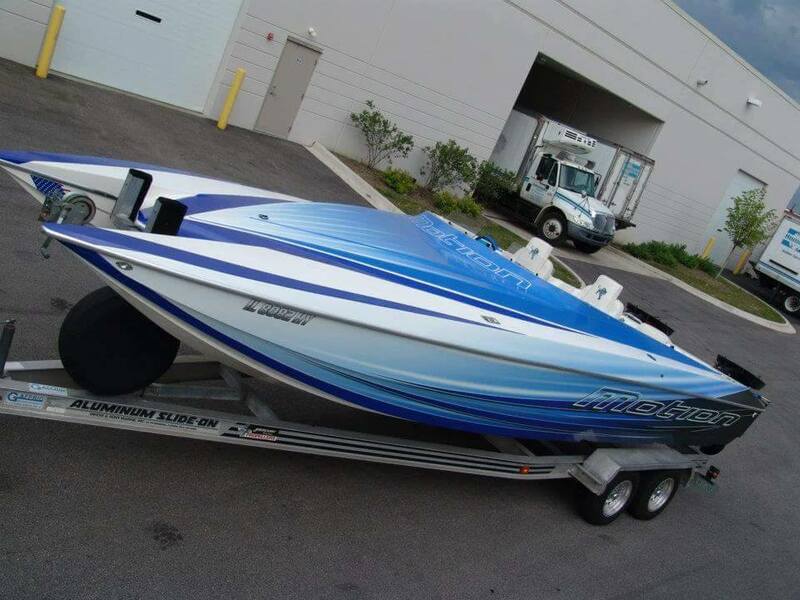 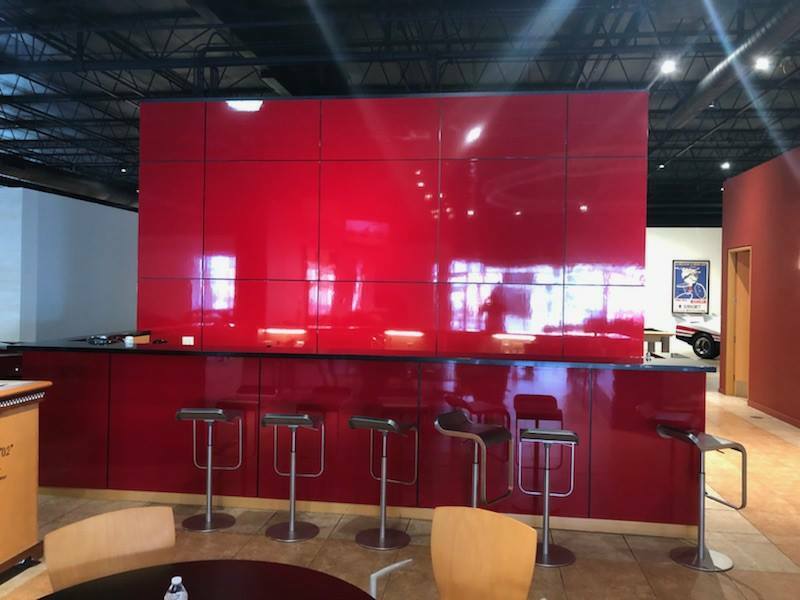 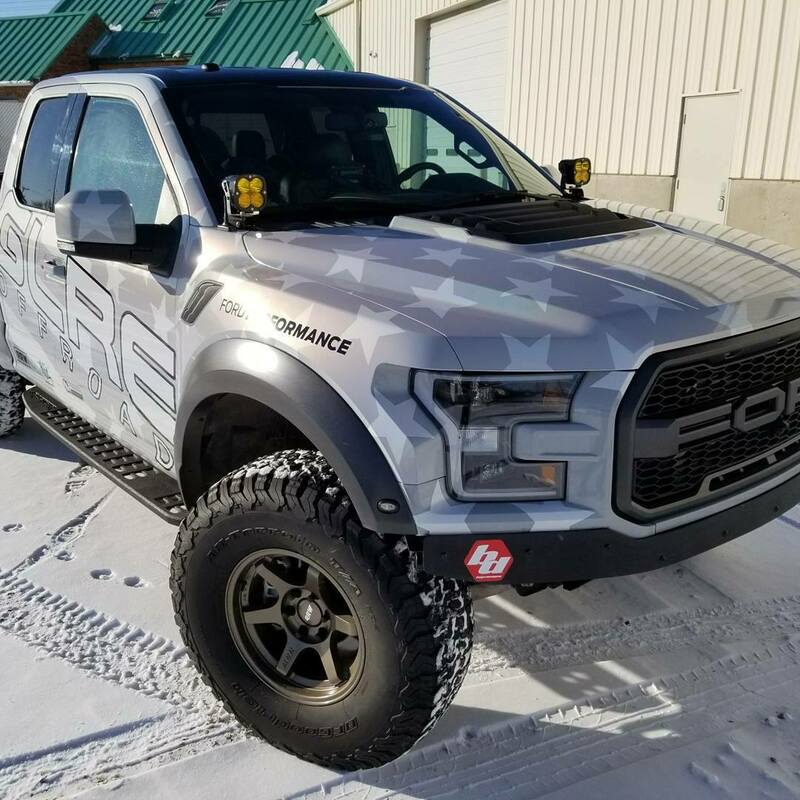 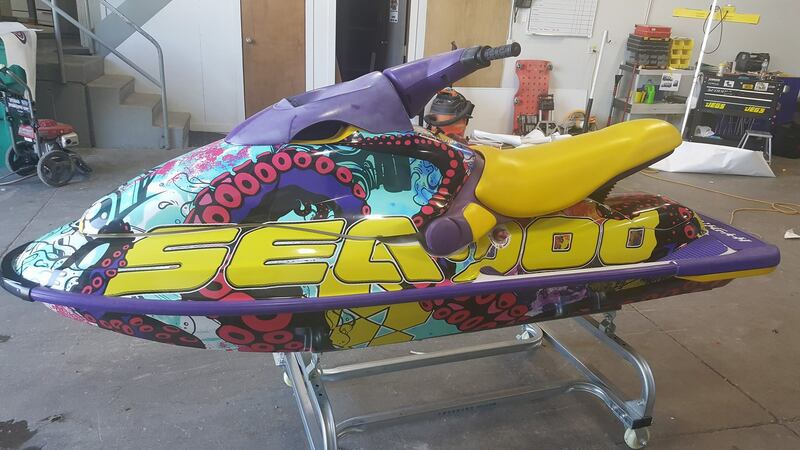 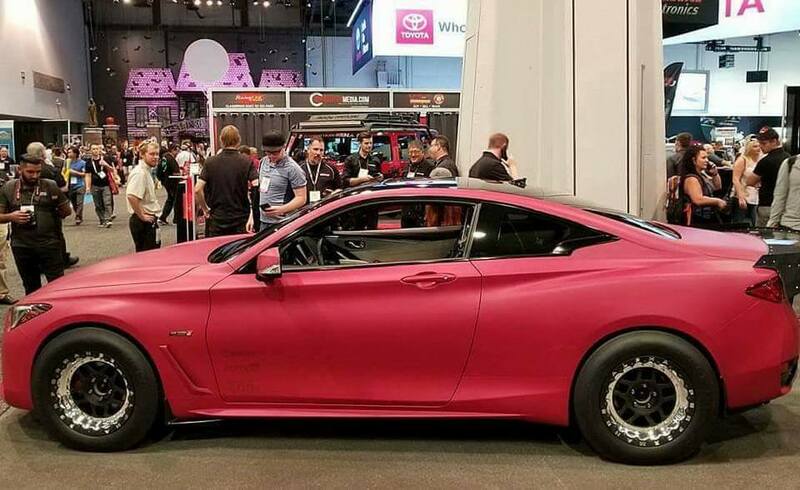 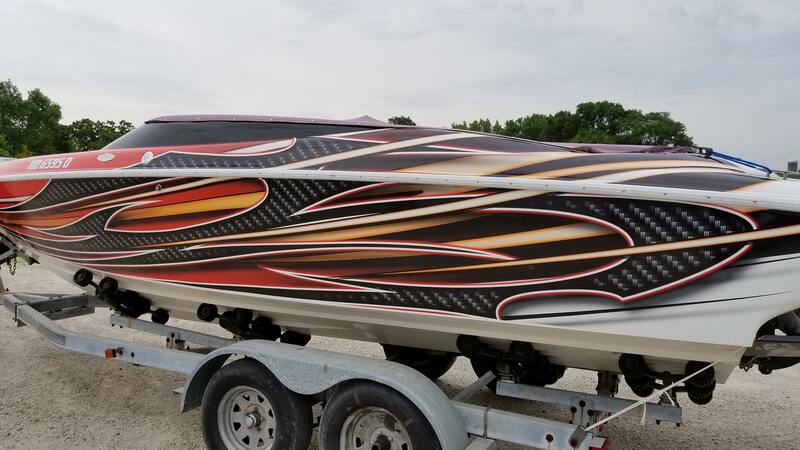 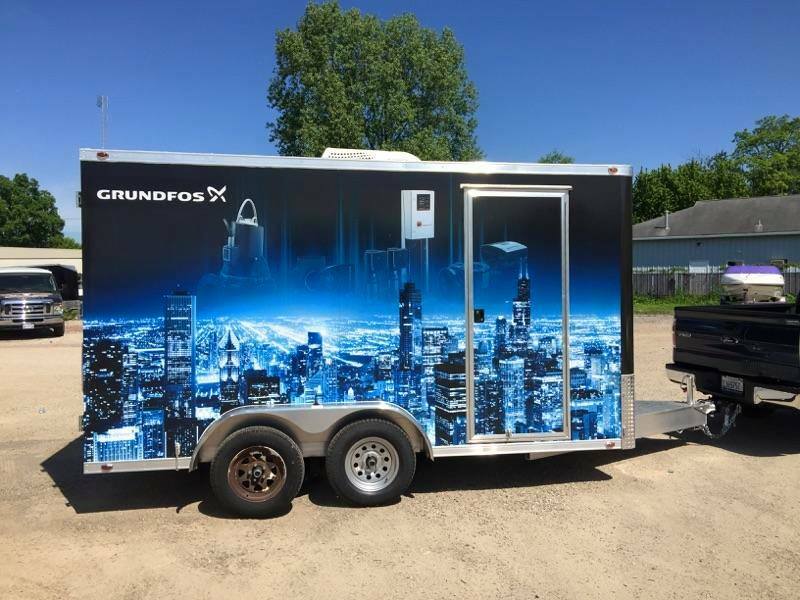 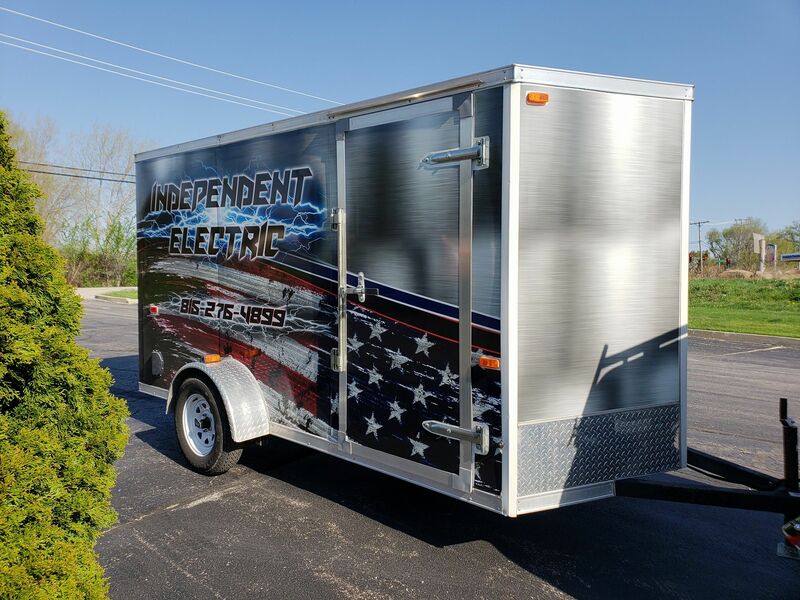 No matter what your vision is for advertising with vinyl wraps, we can provide the design, materials and installation to make it become a reality. 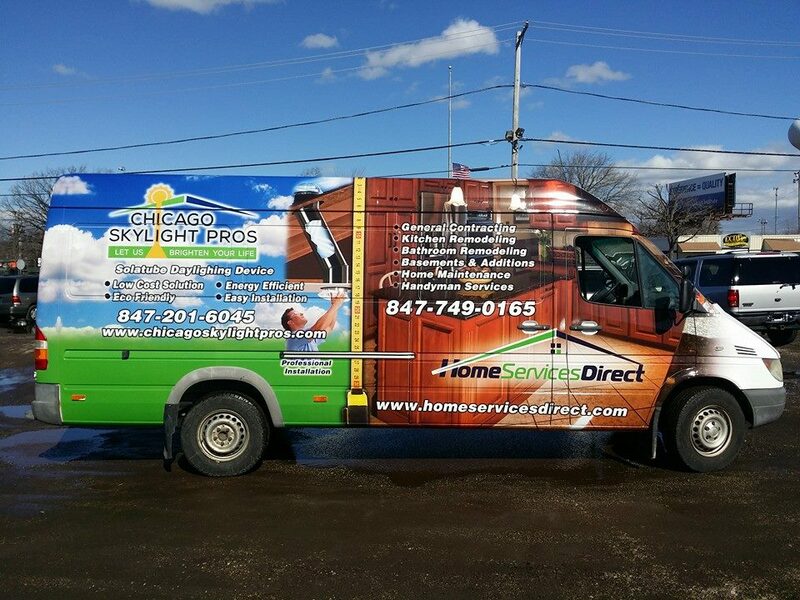 We put our heart and soul into our work and are committed to exceeding your expectations every time. 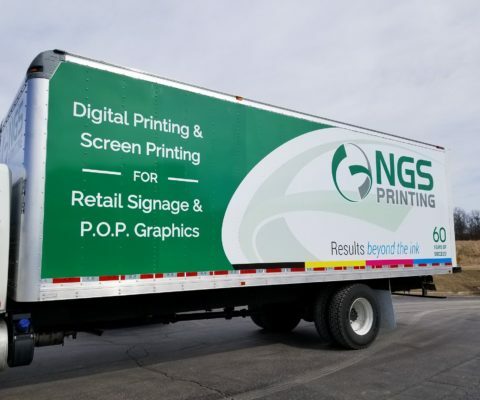 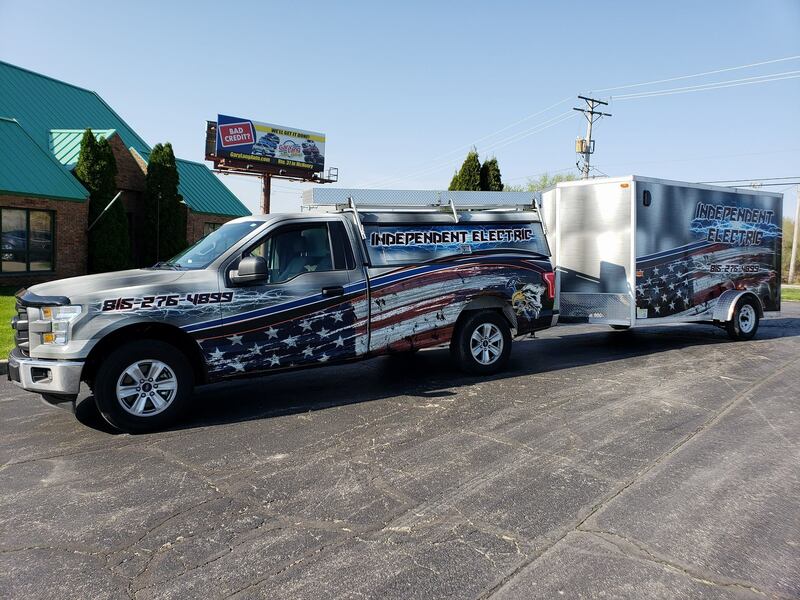 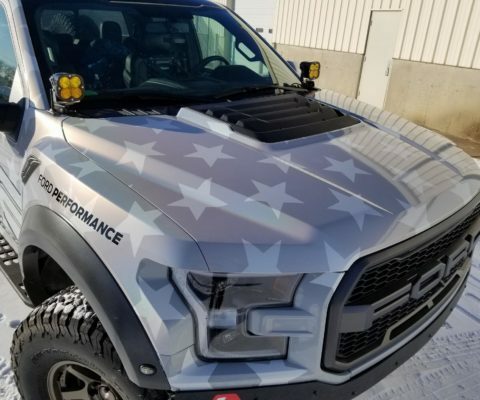 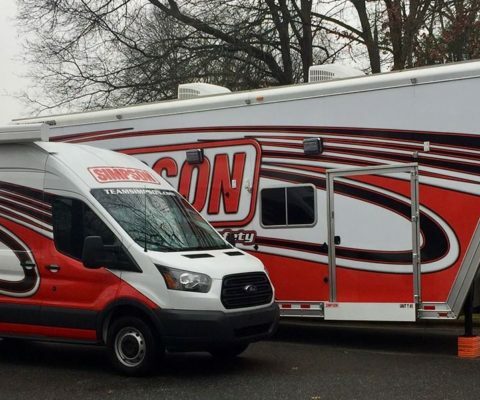 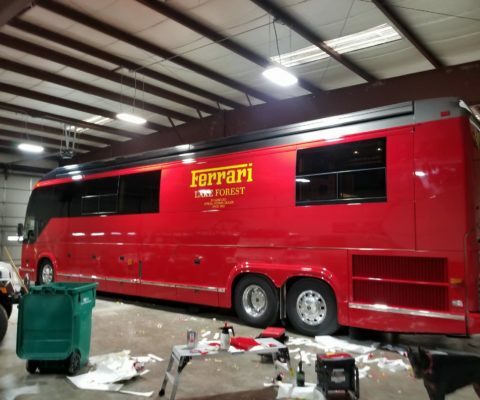 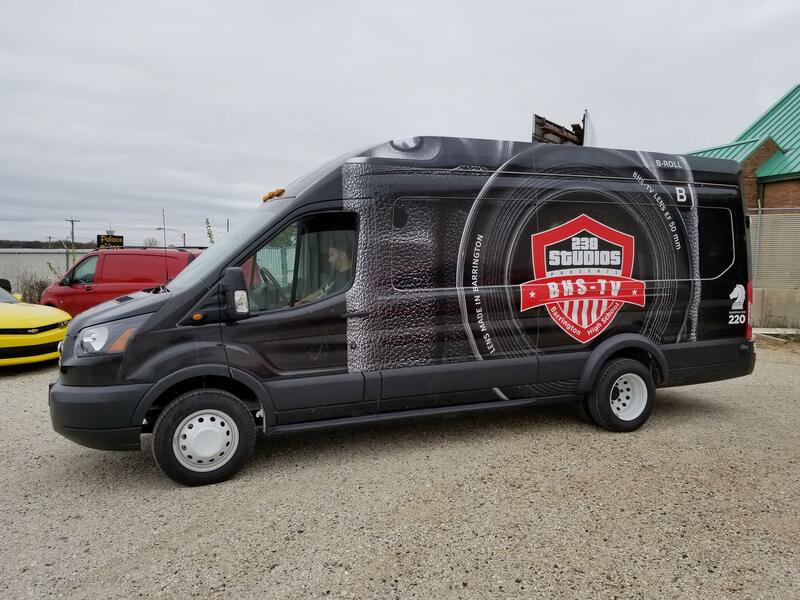 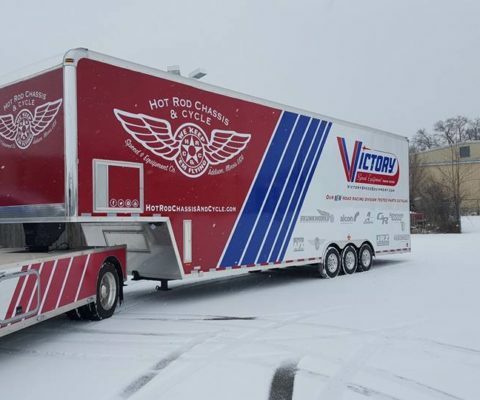 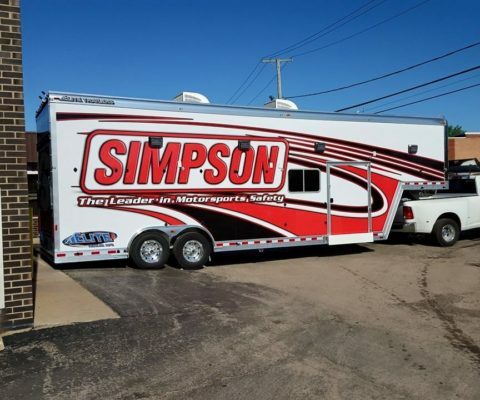 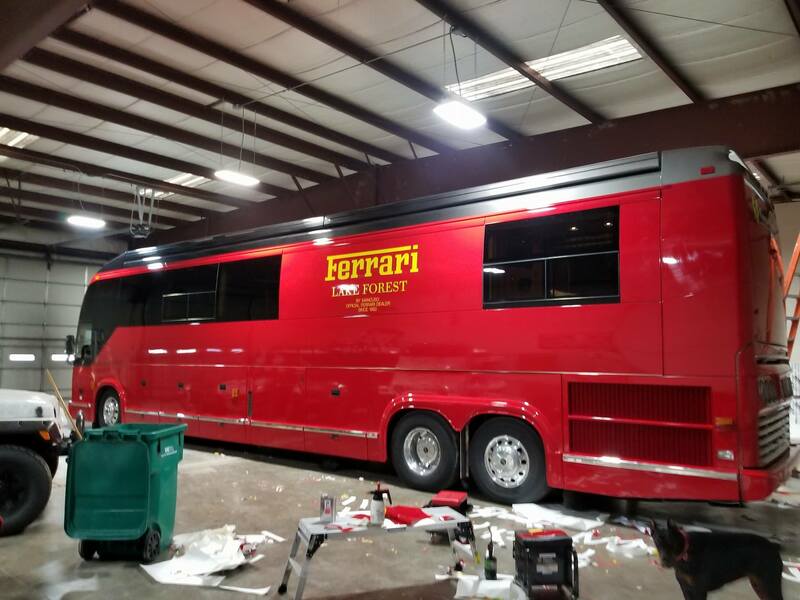 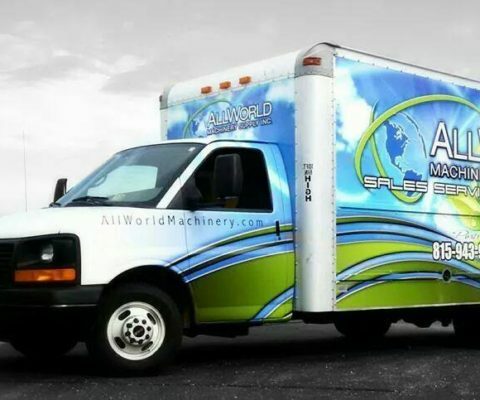 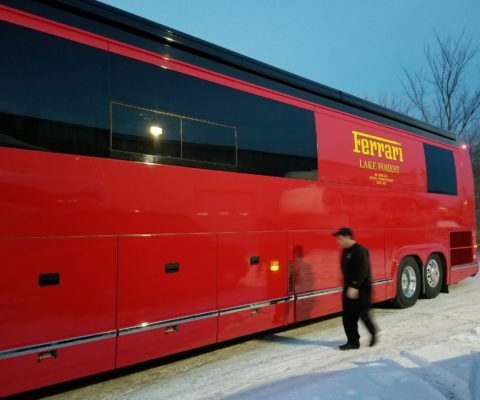 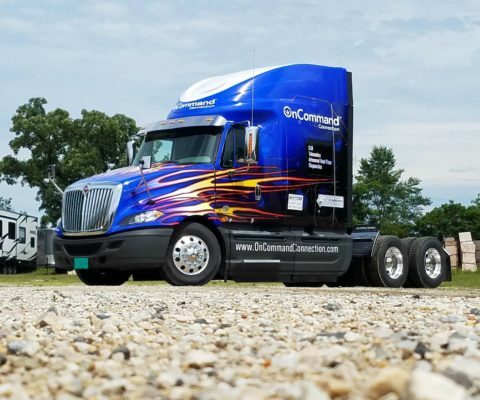 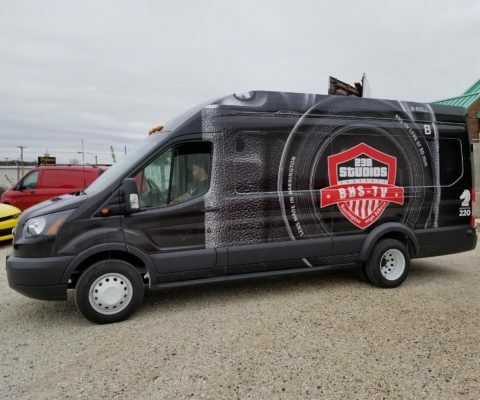 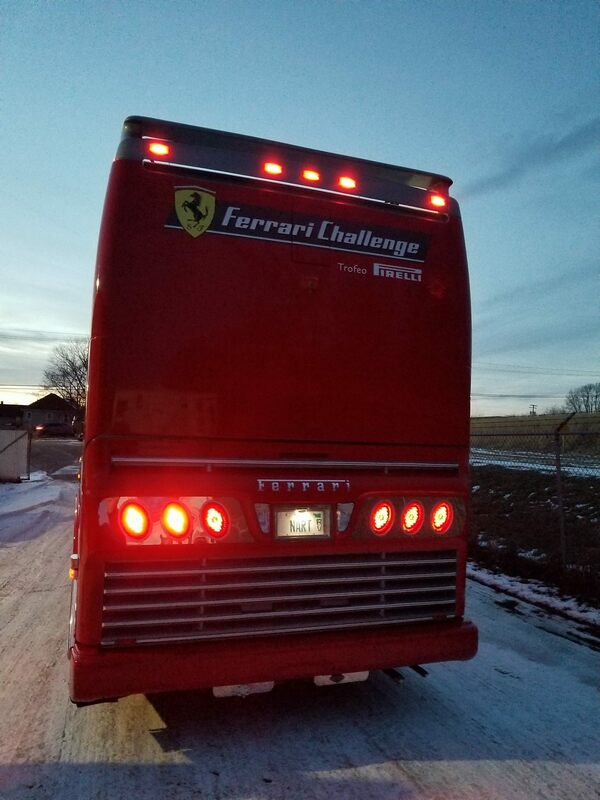 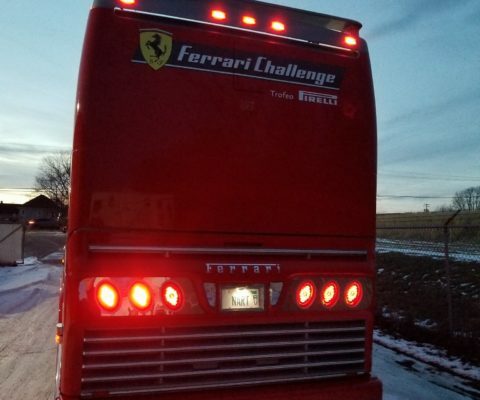 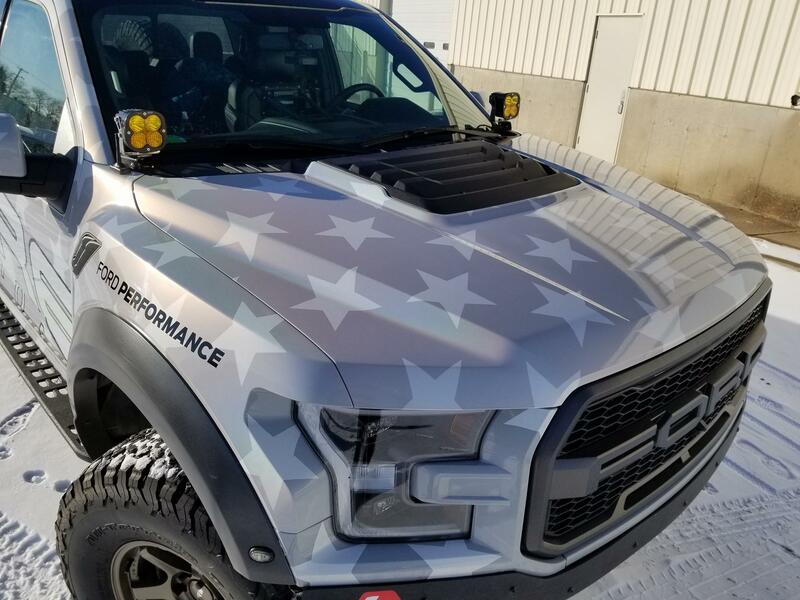 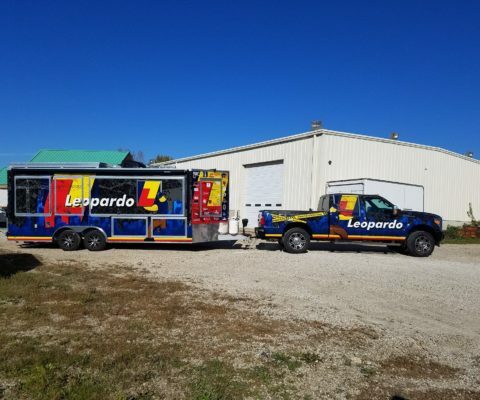 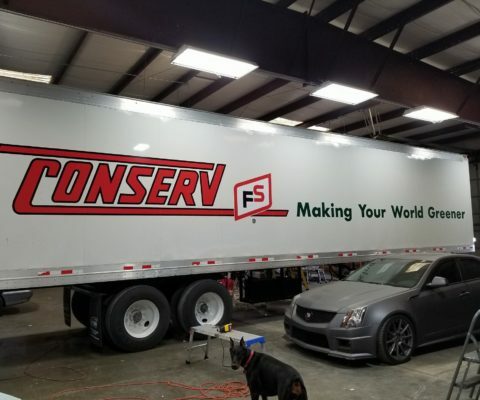 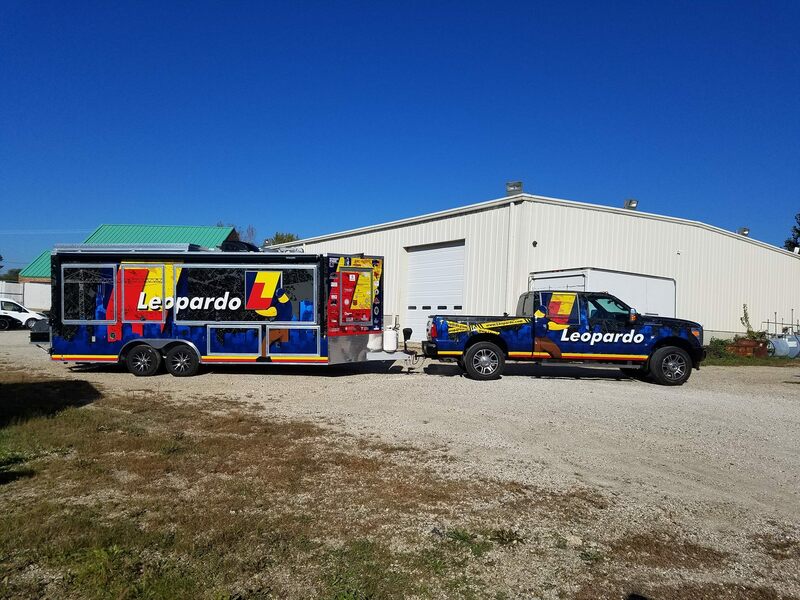 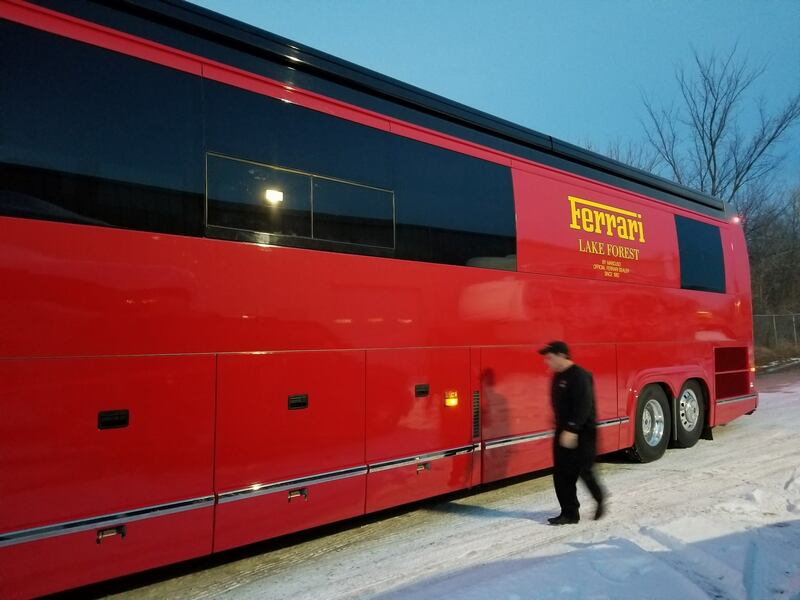 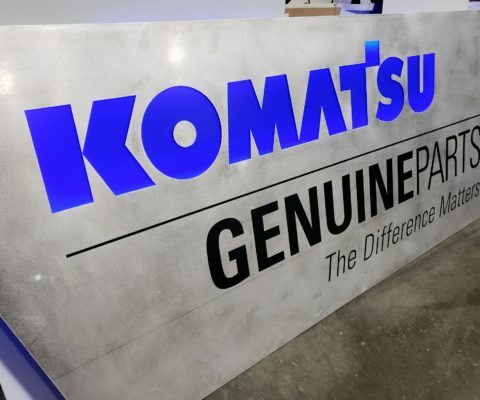 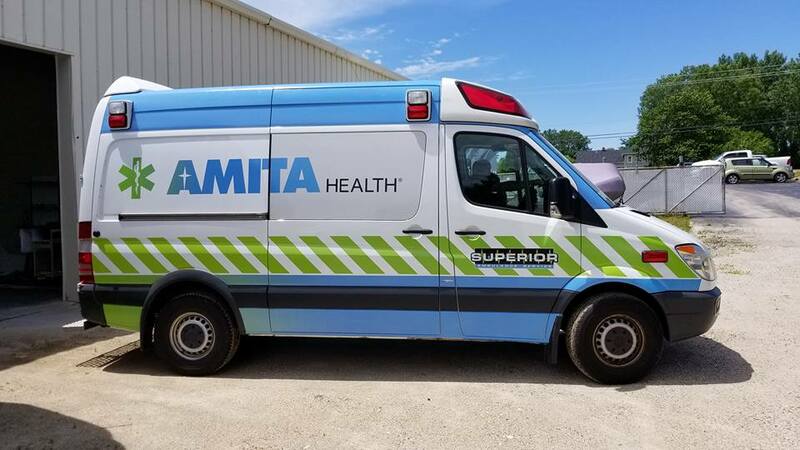 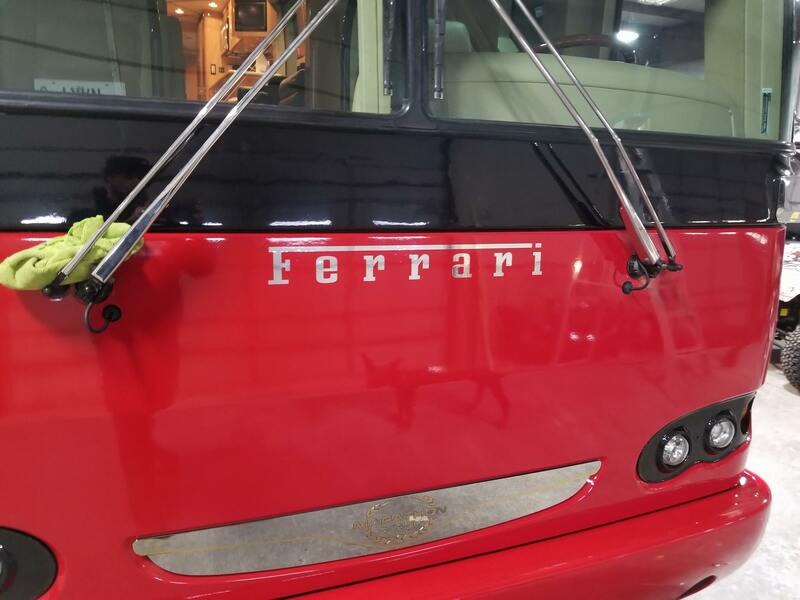 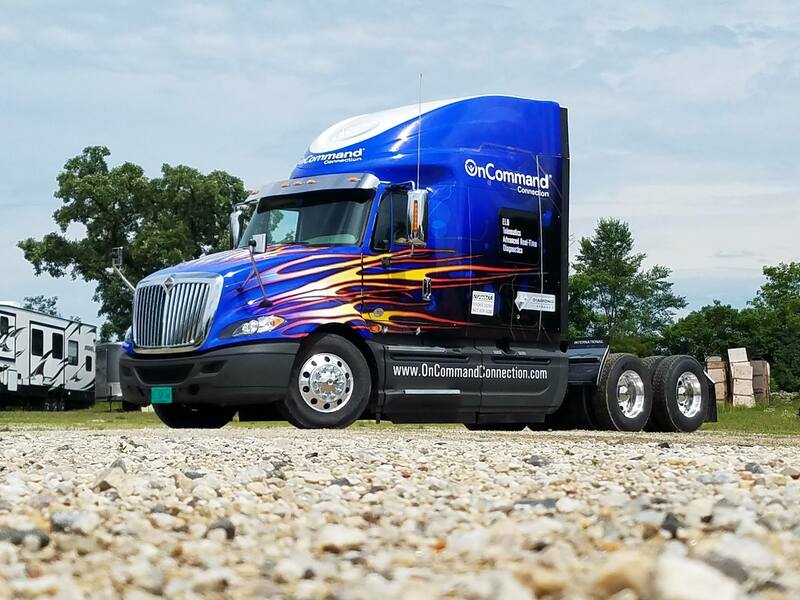 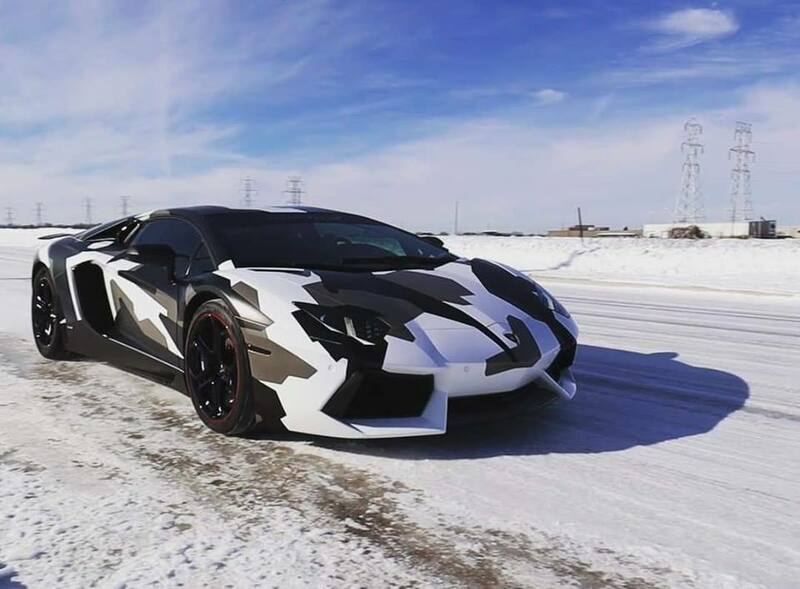 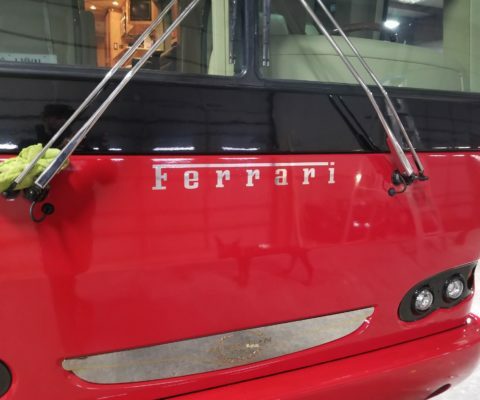 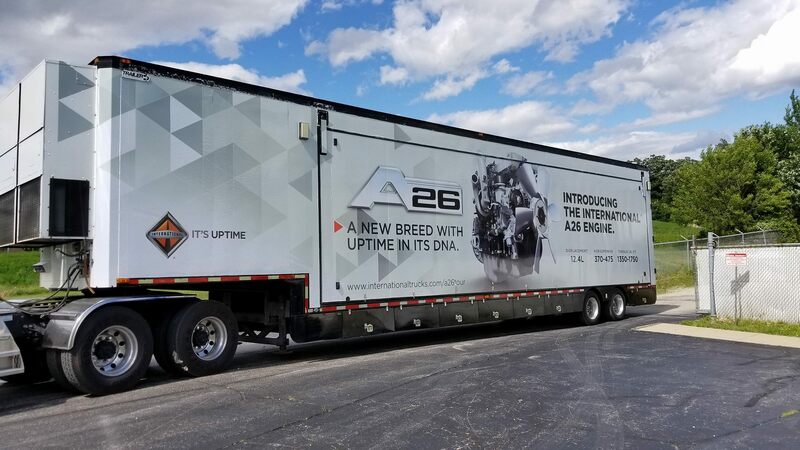 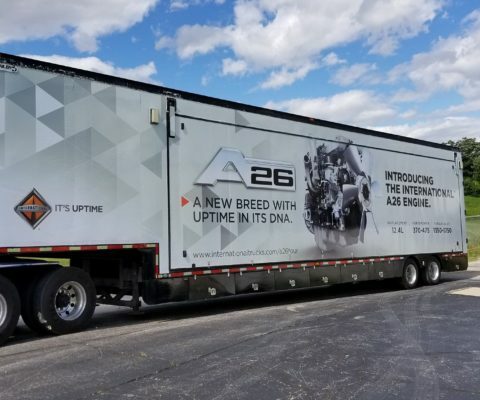 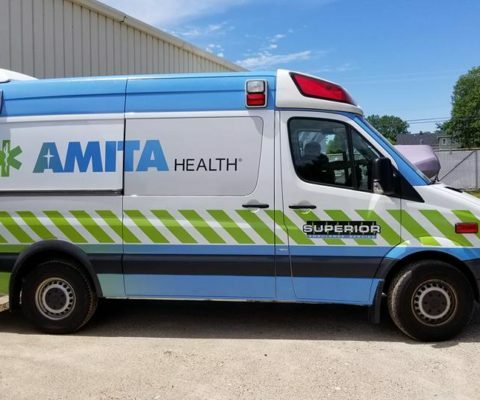 Not only have we wrapped some of the most recognized vehicles in the country, we have also been featured in a number of high-end publications and television networks. 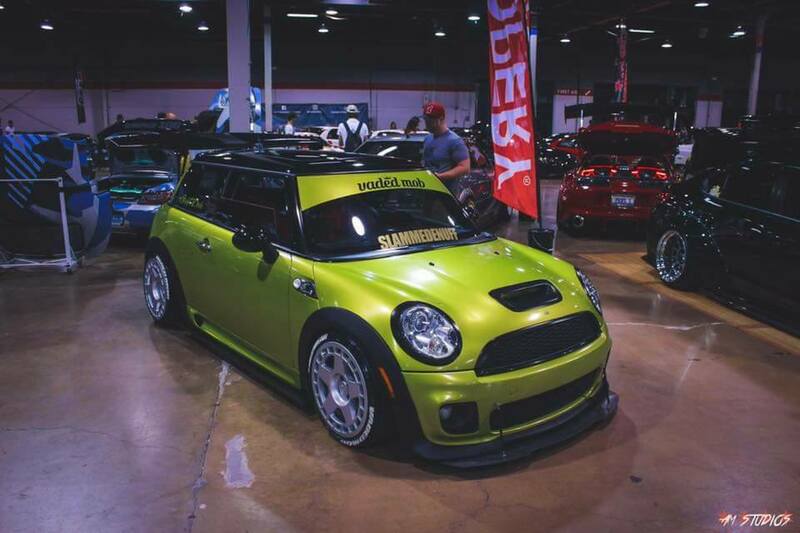 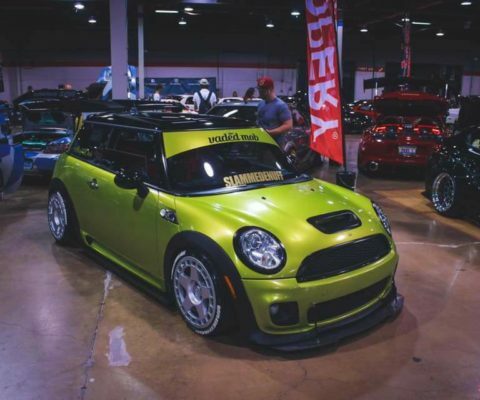 Not only have we been featured in their publication, but also have had a number of vehicles showcased at their show. 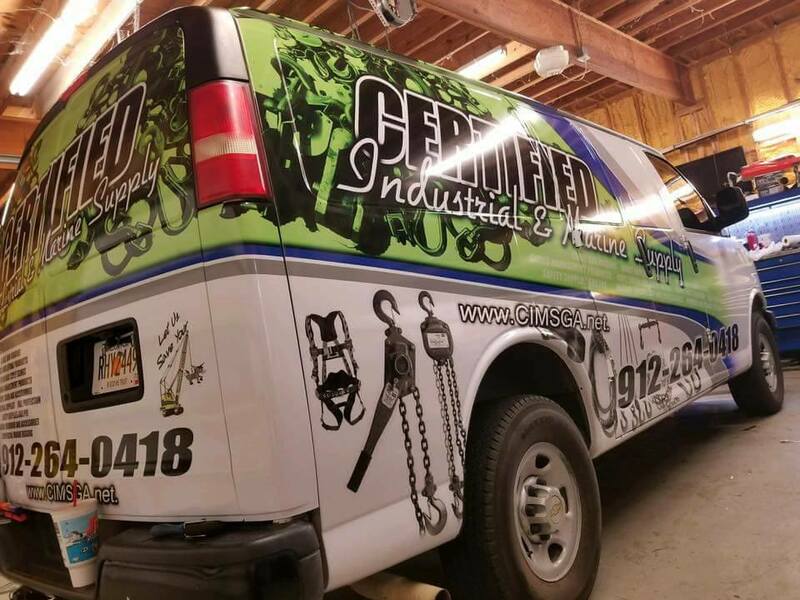 A number of vehicles we have worked on have been featured in publications like Chevy High Performance Magazine. 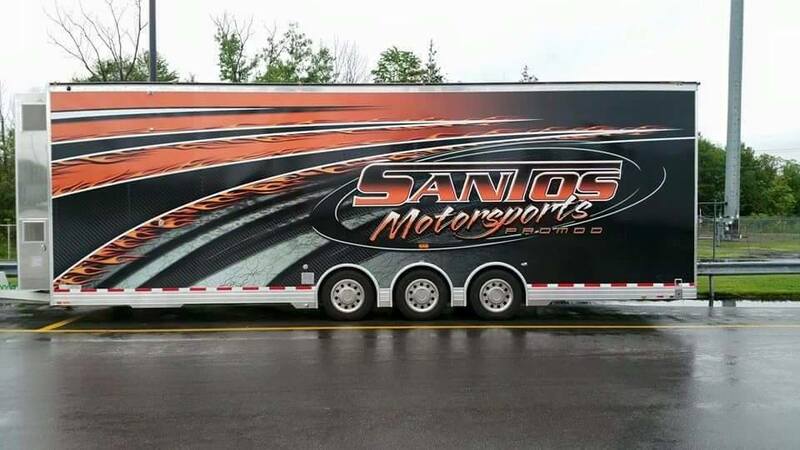 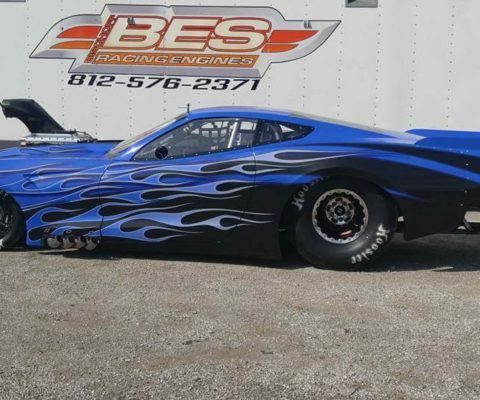 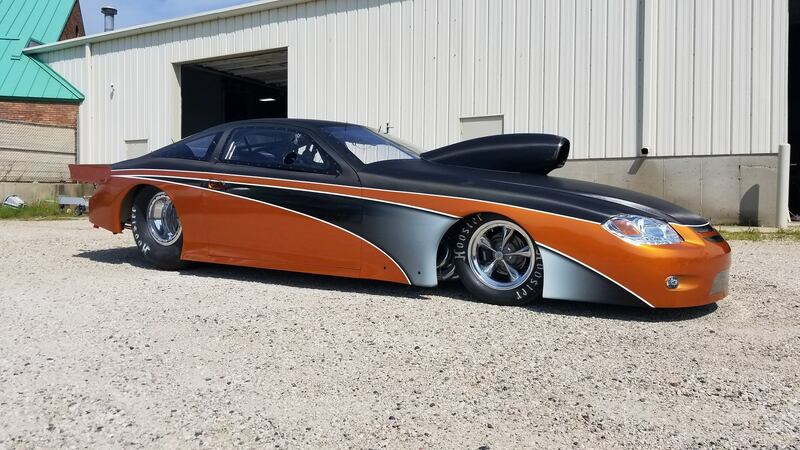 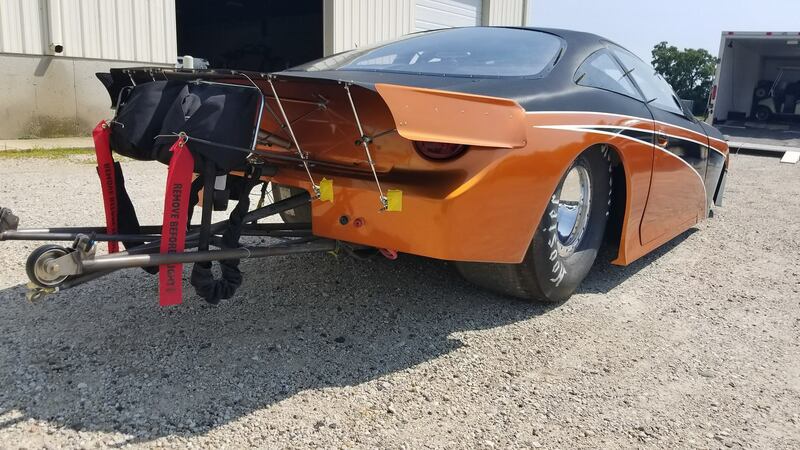 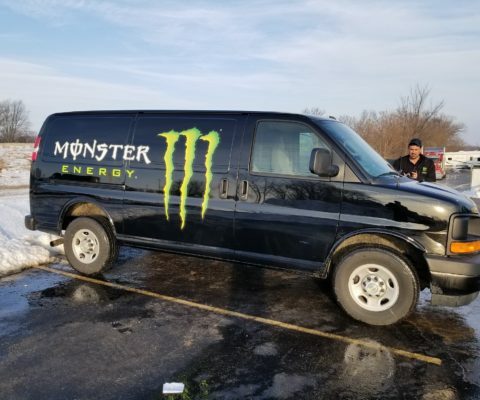 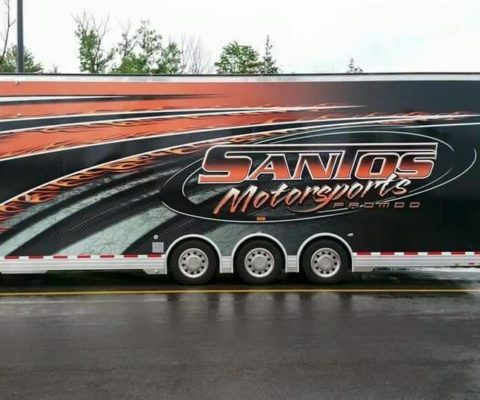 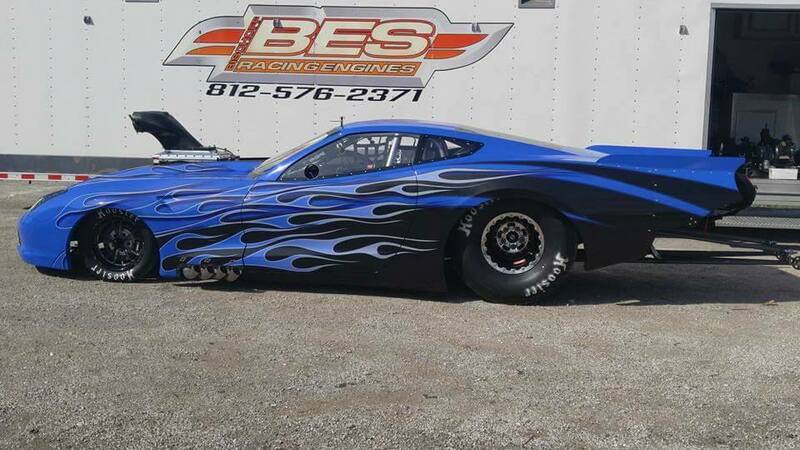 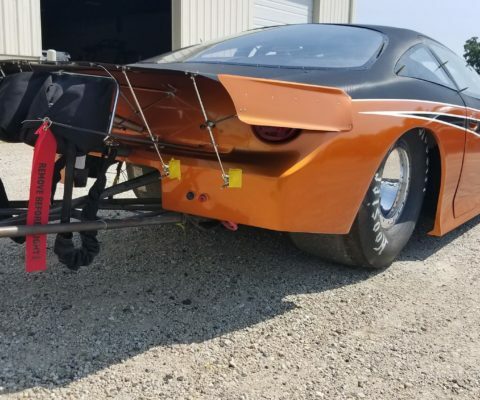 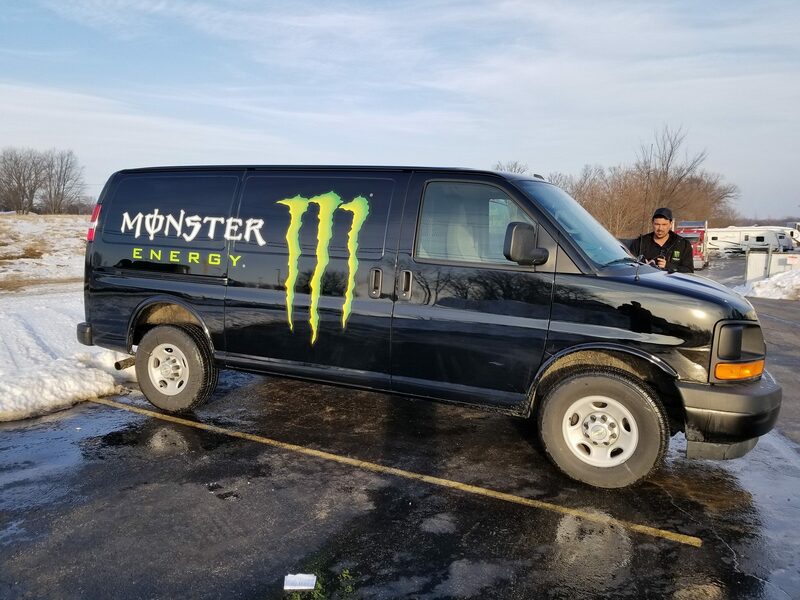 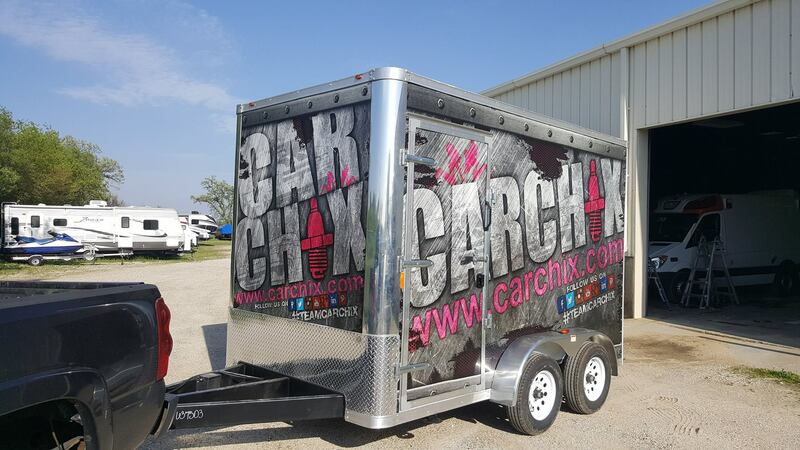 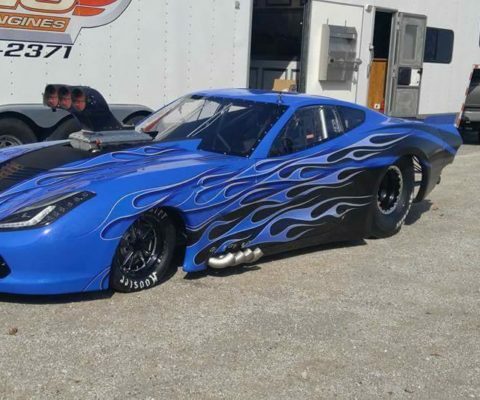 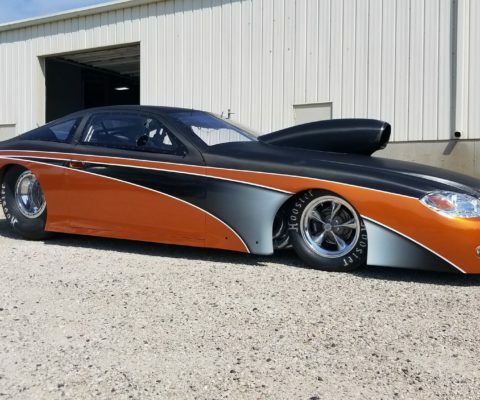 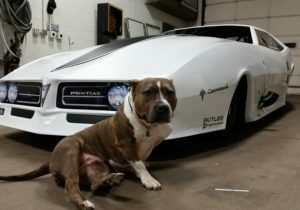 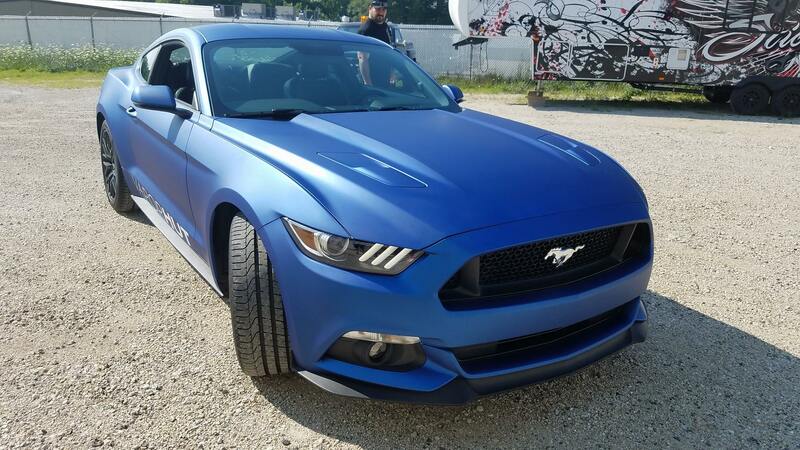 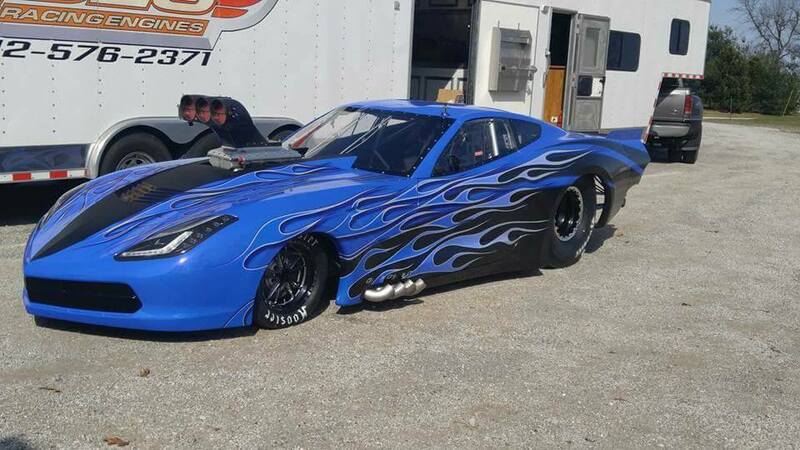 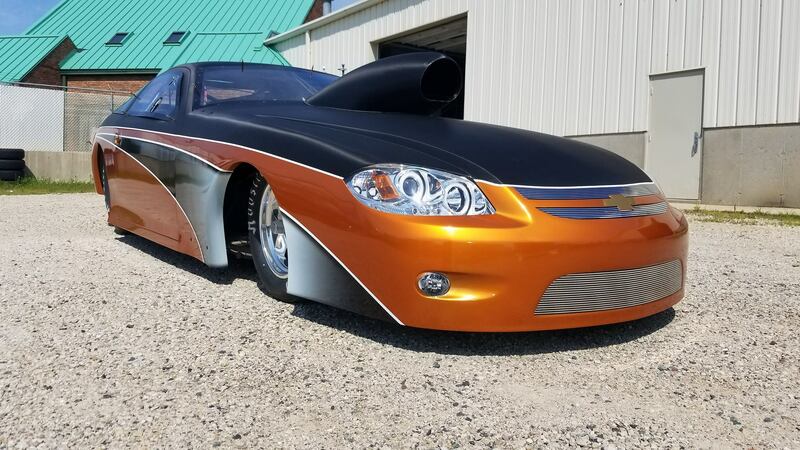 We have worked on a number of vehicles that have been featured on the hit TV shows, including: Street Outlaws. 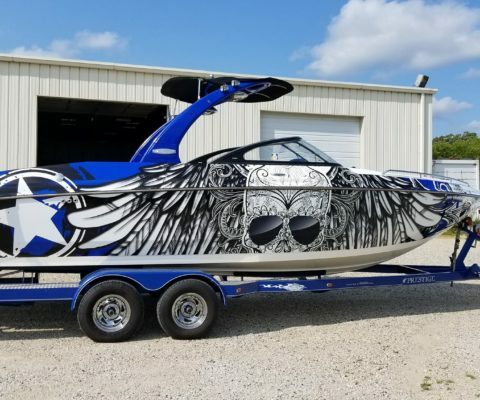 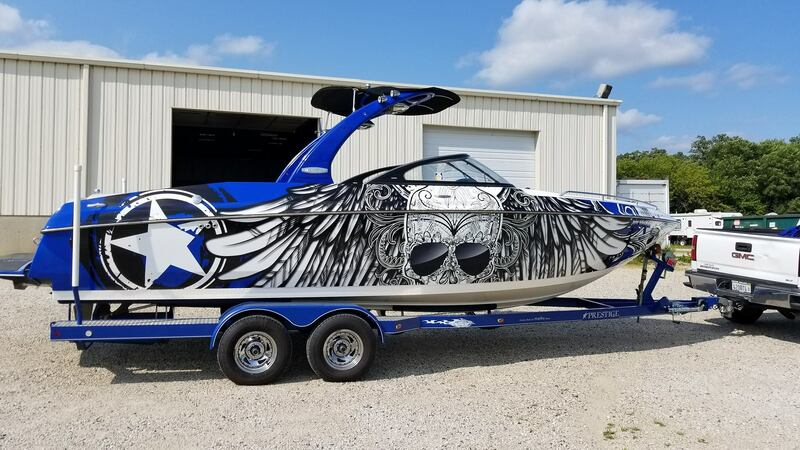 Sticker Dude applies graphics to “The Crow” for chief of Street Outlaws from Fox Valley Creative on Vimeo. 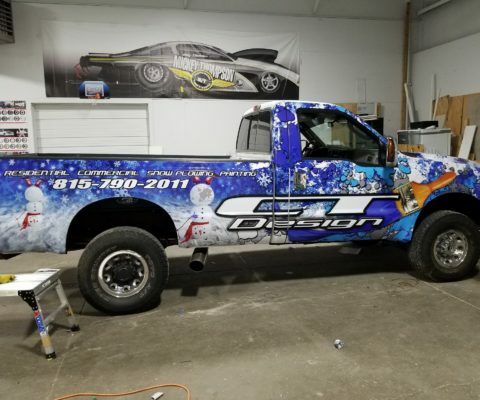 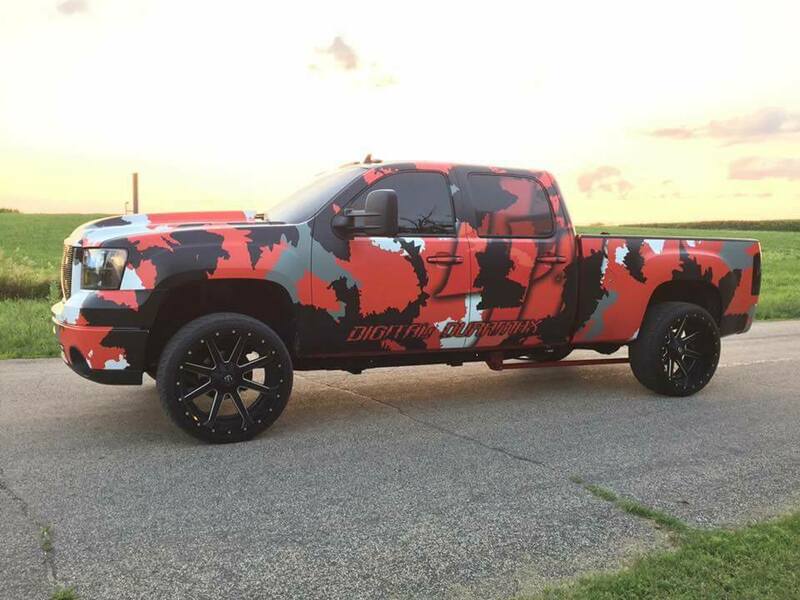 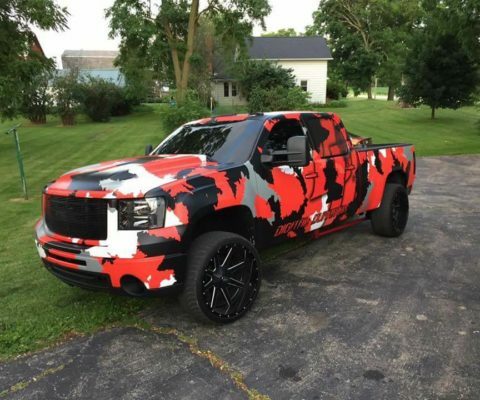 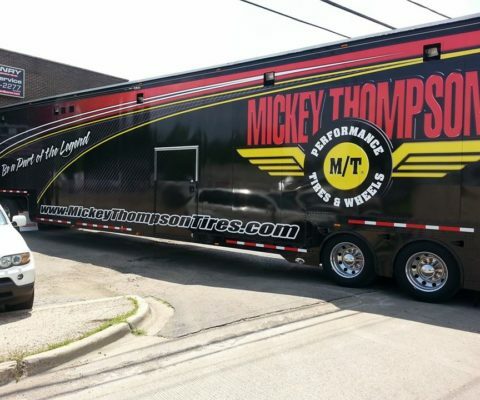 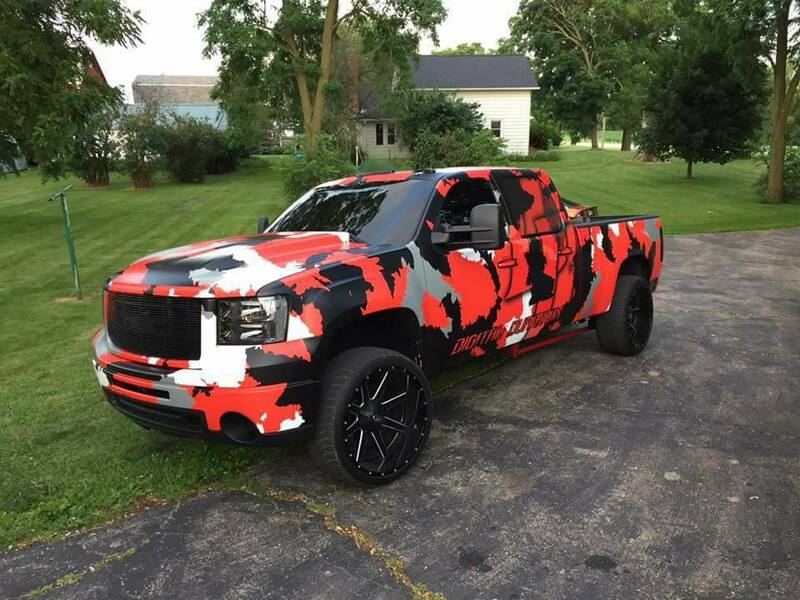 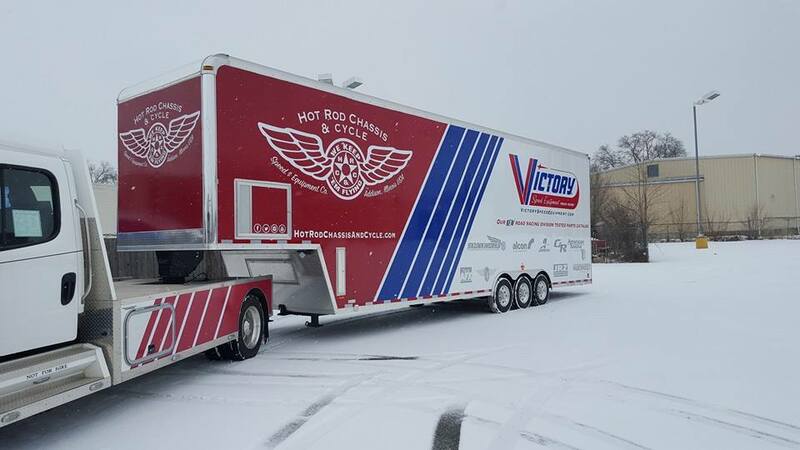 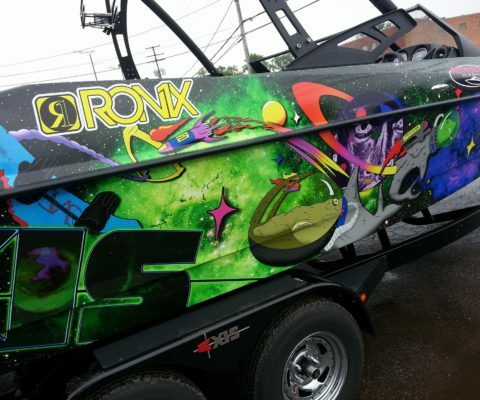 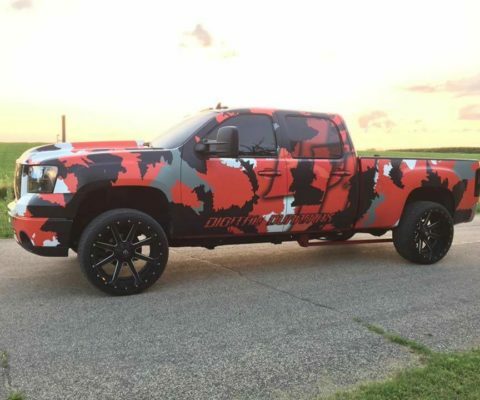 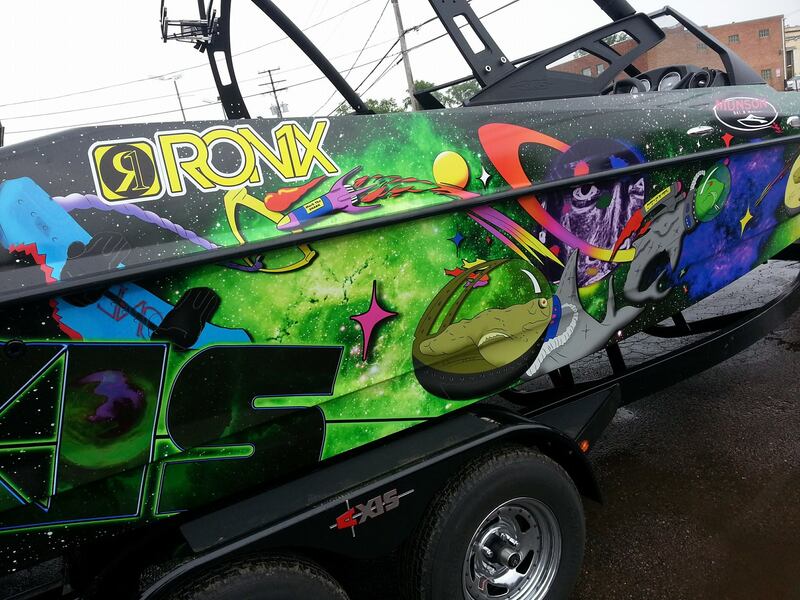 ""Had him wrap my truck it turned out amazing! 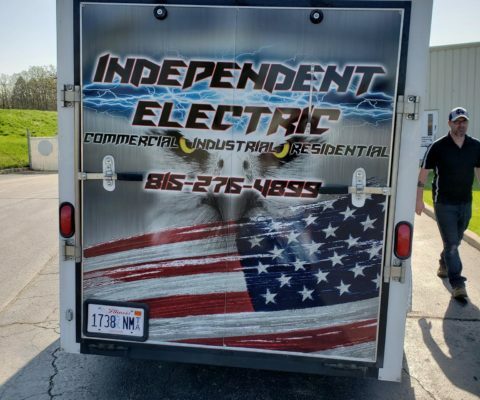 Hands down the best people to deal with super professional and friendly. 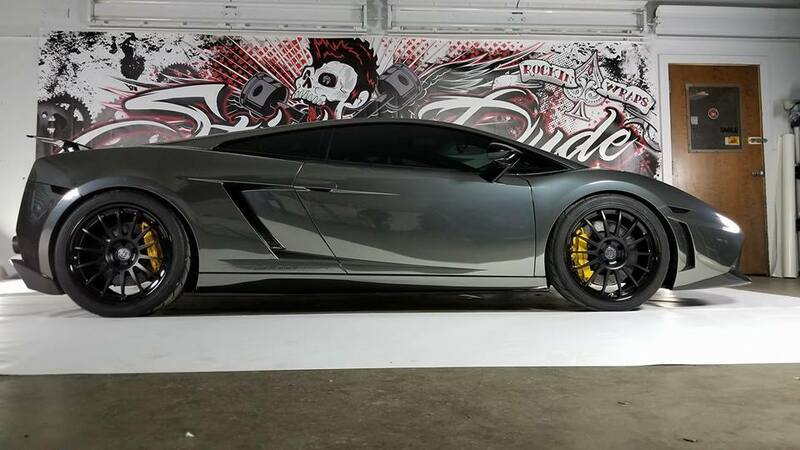 The price was actually better than the other quotes I got as well! "" 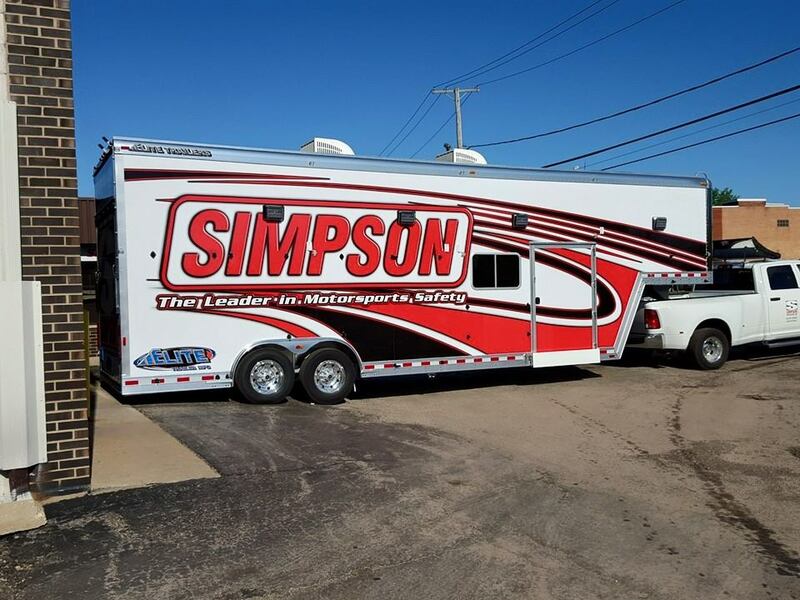 ""Went in and was easy to work with and is accommodating my needs to a tee. 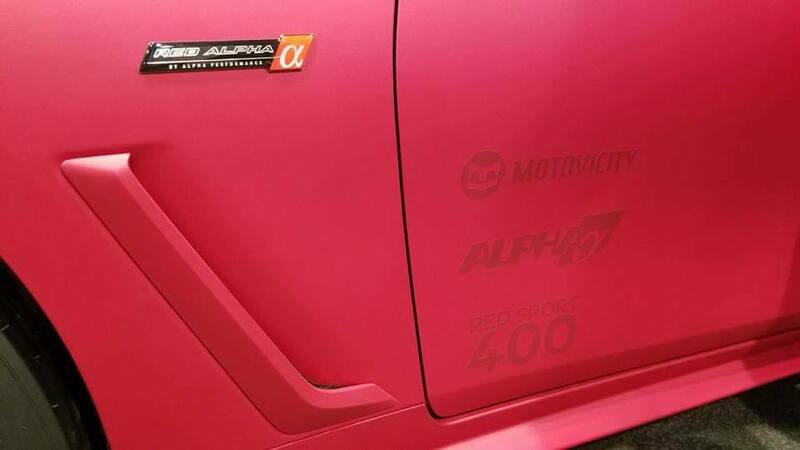 Thanks Sticker Dude!!!"" 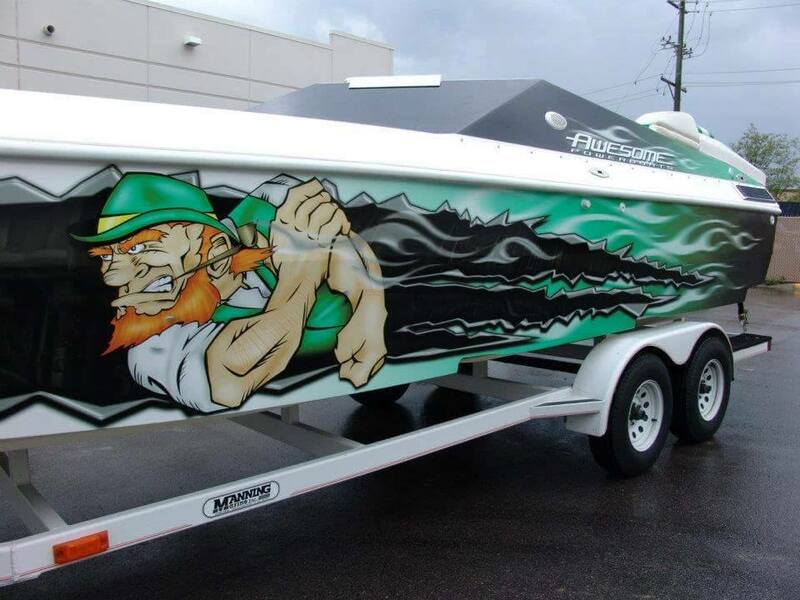 ""Sticker Dude is the bomb and anyone that has seen their work knows it. 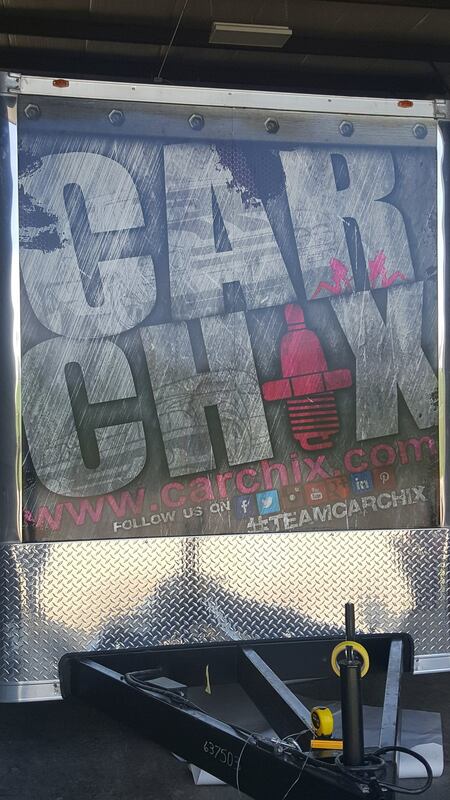 But my appreciation for this business goes way deeper than that. 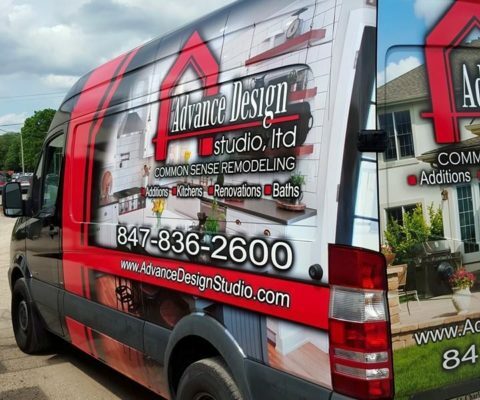 It's really about a business with heart and bonus to us all that they are so good at design and installation too. 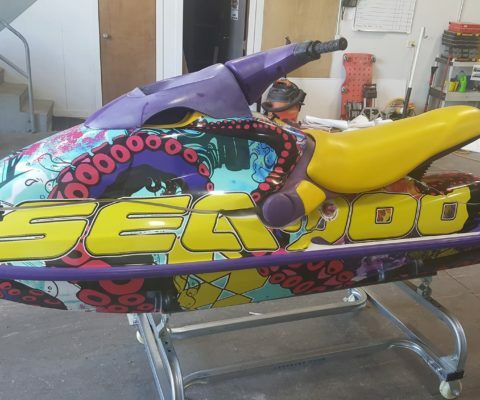 A couple of years ago my son passed away in a motorcycle accident and his friends wanted to do something, anything, to remember him. 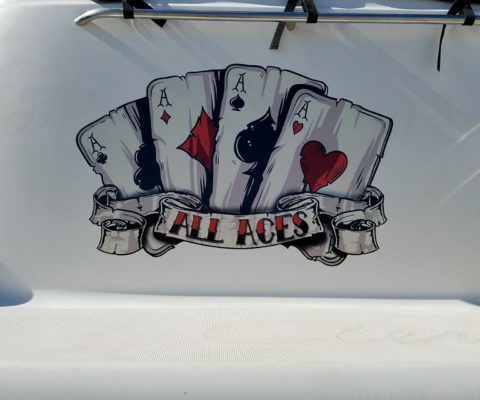 One of his friends called Luke at Sticker Dude and they made hundreds of "I Ride With Billy" stickers for them to put on their bikes, their cars, their trucks, their toolboxes. 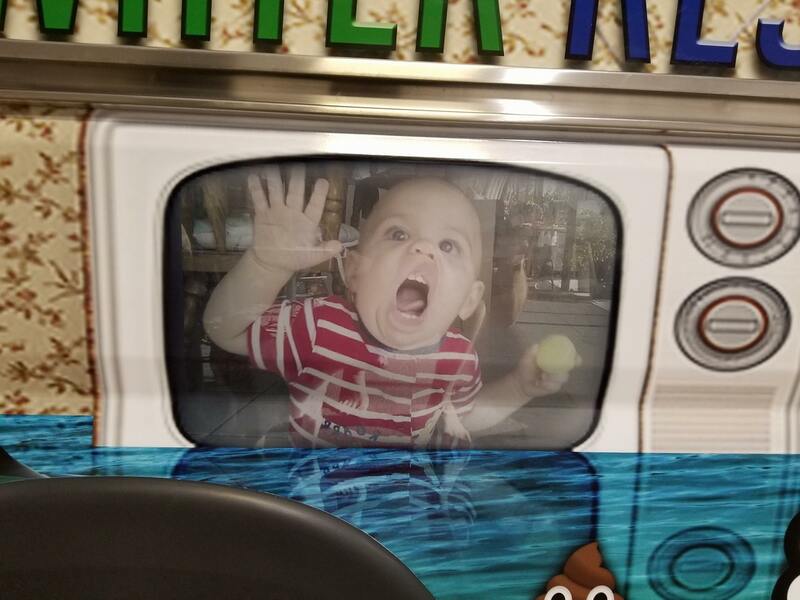 Those things are all over the place! 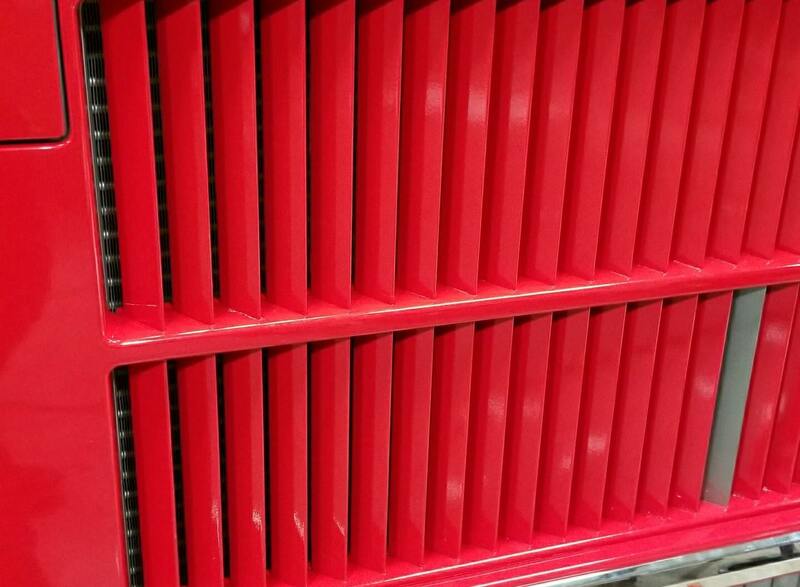 And each and every time I see one or someone sends me a photo of one they've seen somewhere, my heart feels so full. 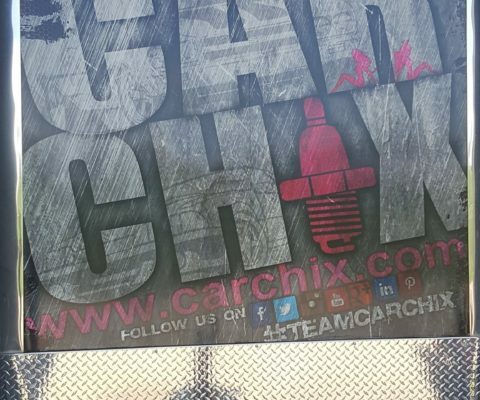 Thank you guys for giving me a gift beyond measure and for putting your heart and soul into your business, thinking of your clients, friends and the community over cash."" 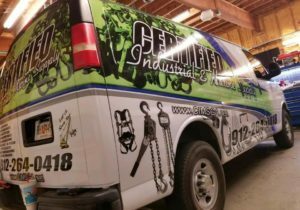 Sticker Dude can provide you with the advice and information that you are looking for. 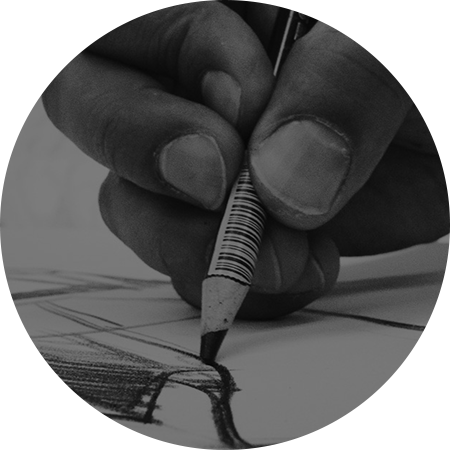 We can help you decide what products will be most effective for achieving your objectives. 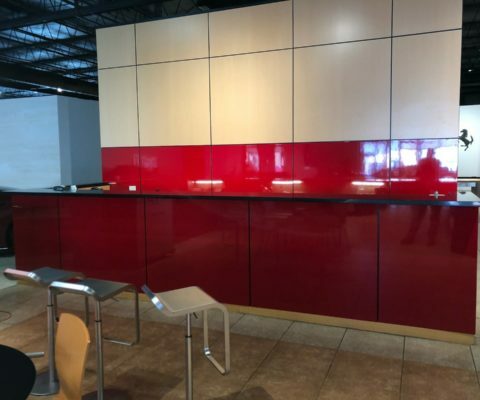 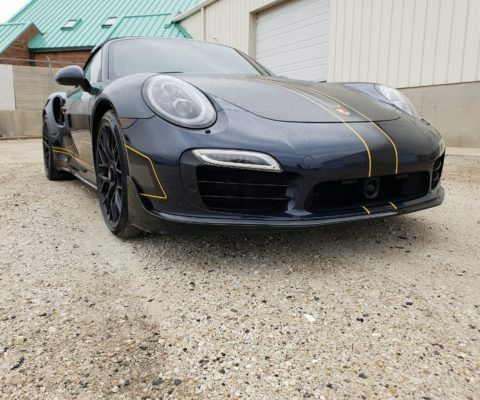 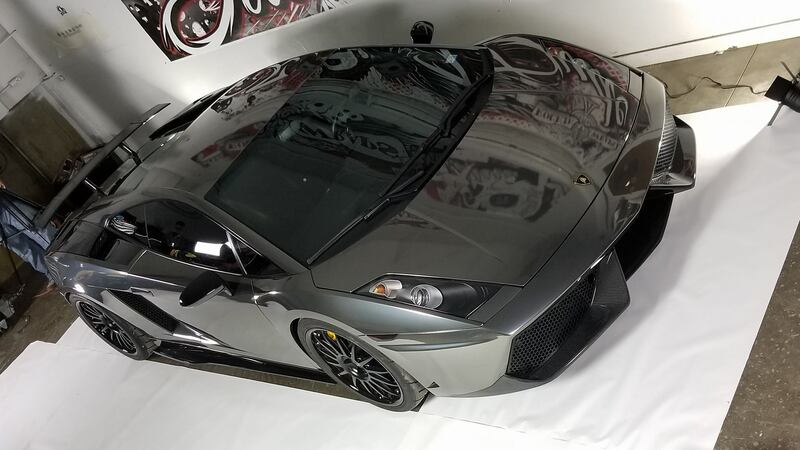 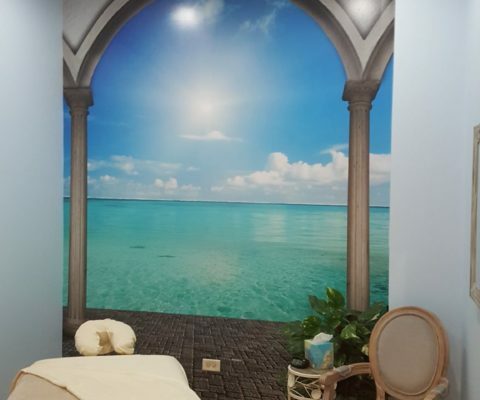 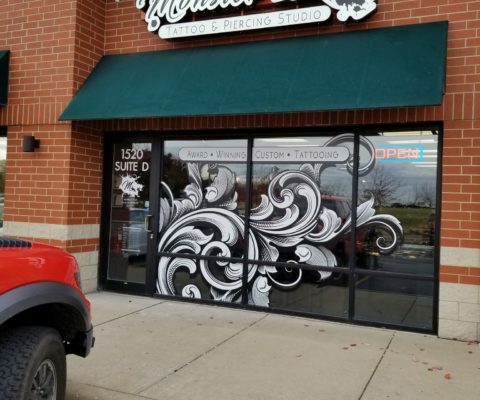 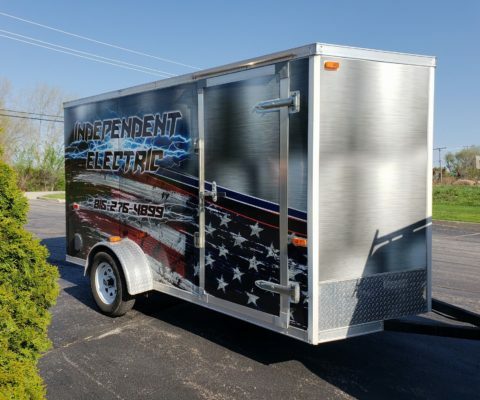 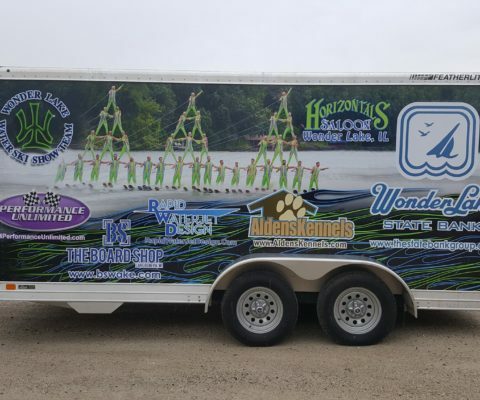 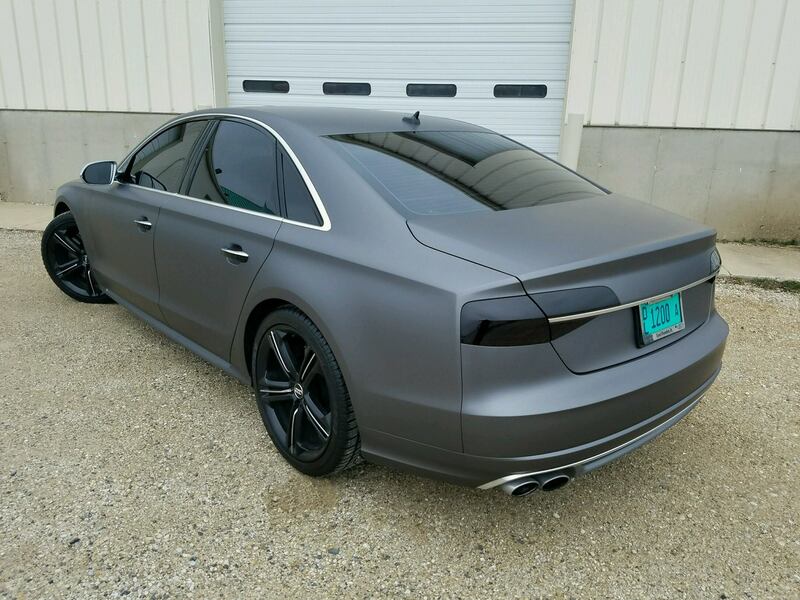 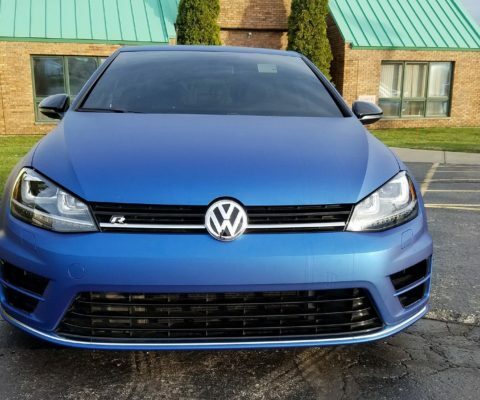 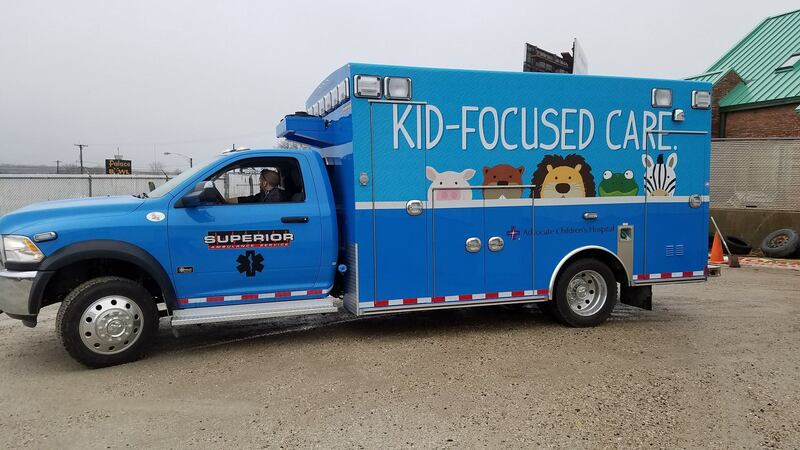 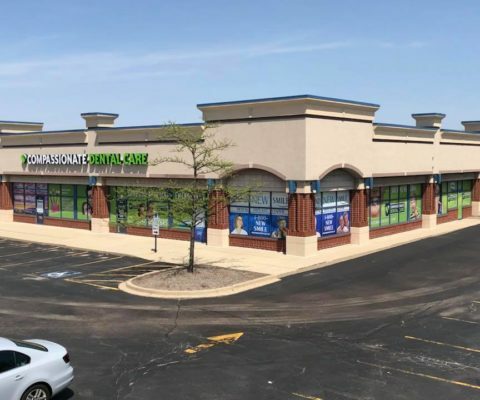 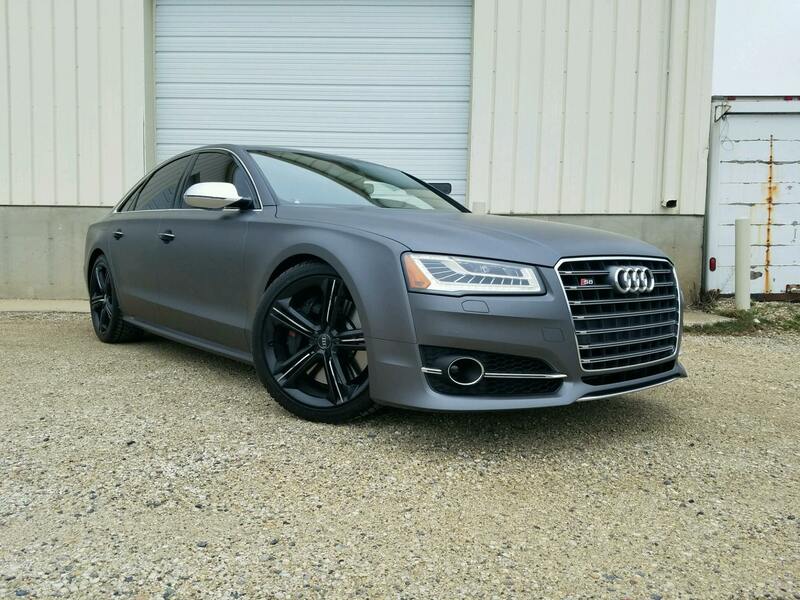 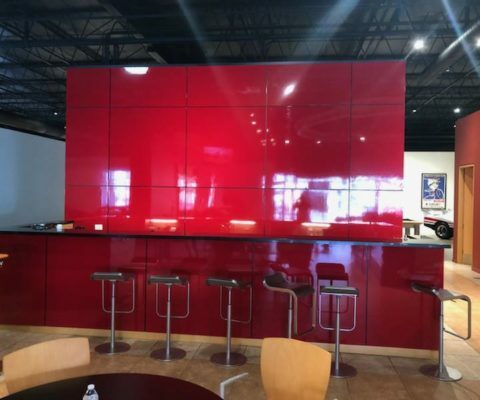 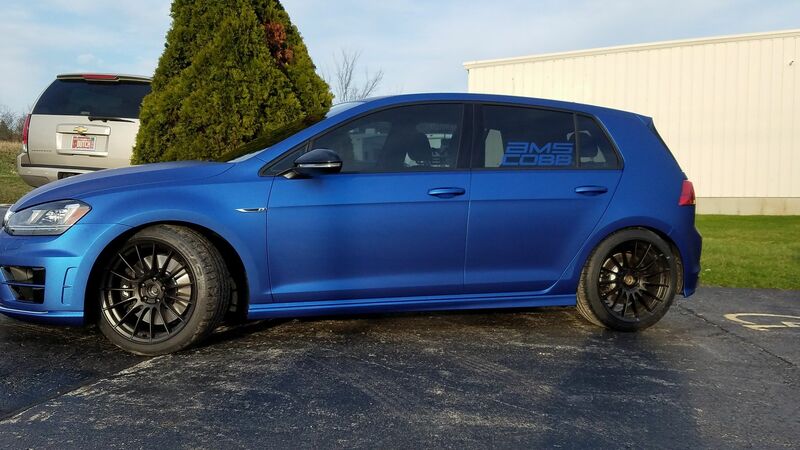 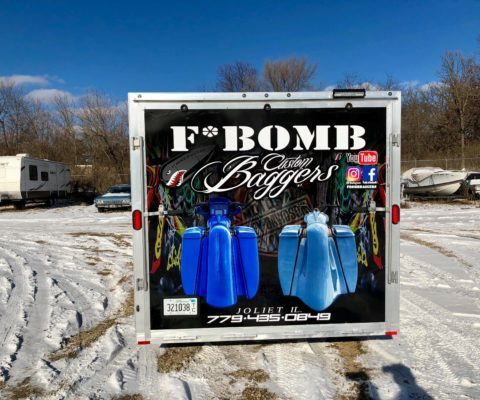 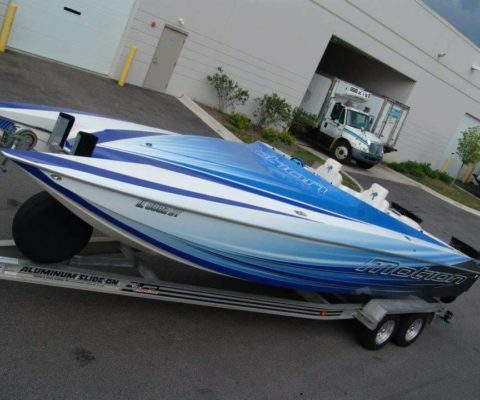 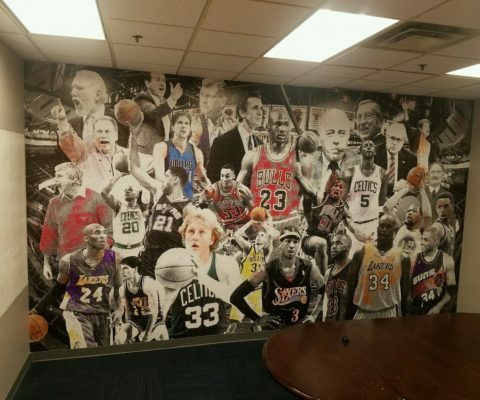 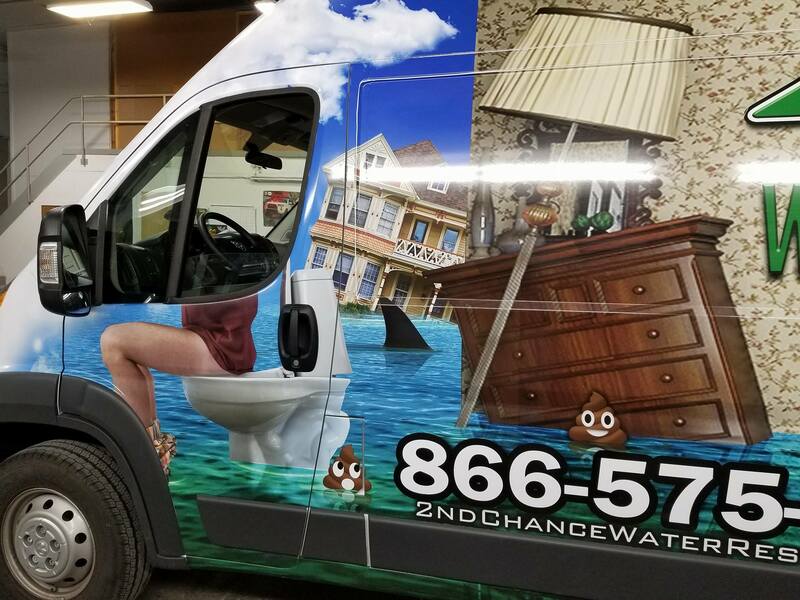 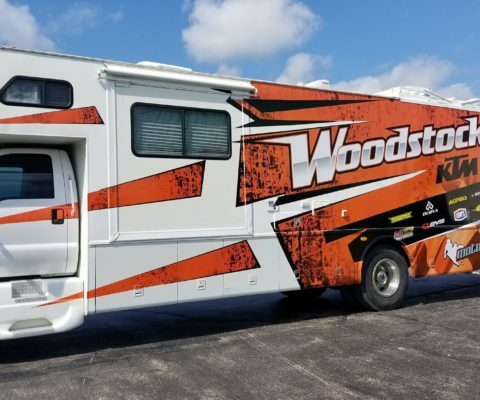 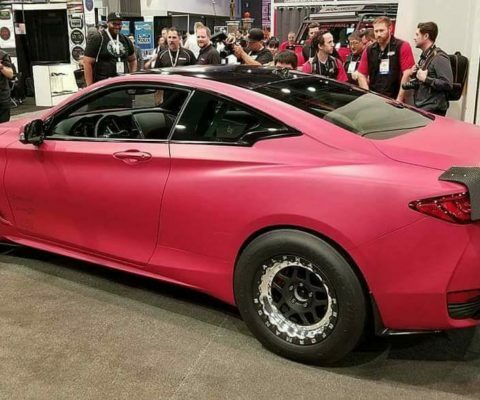 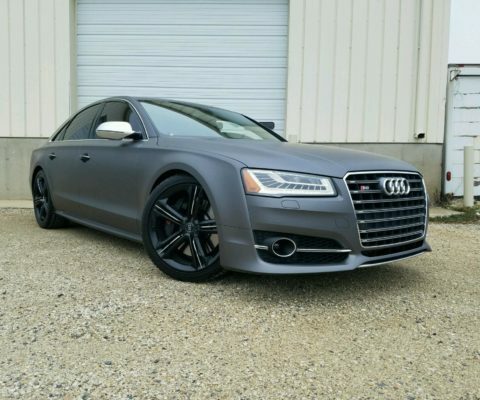 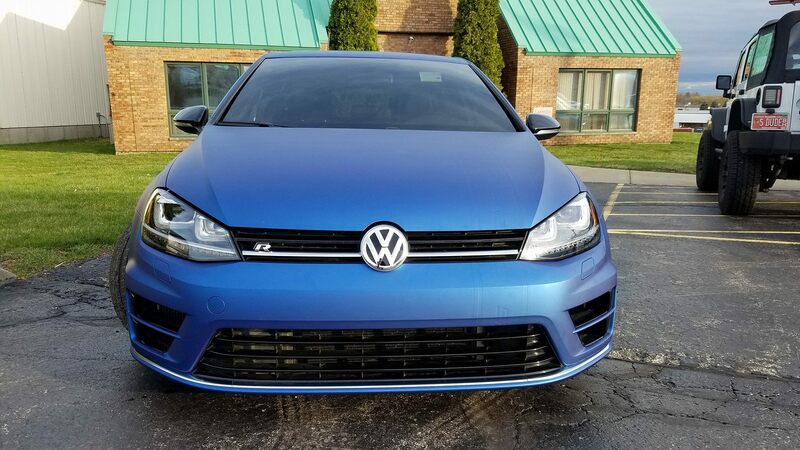 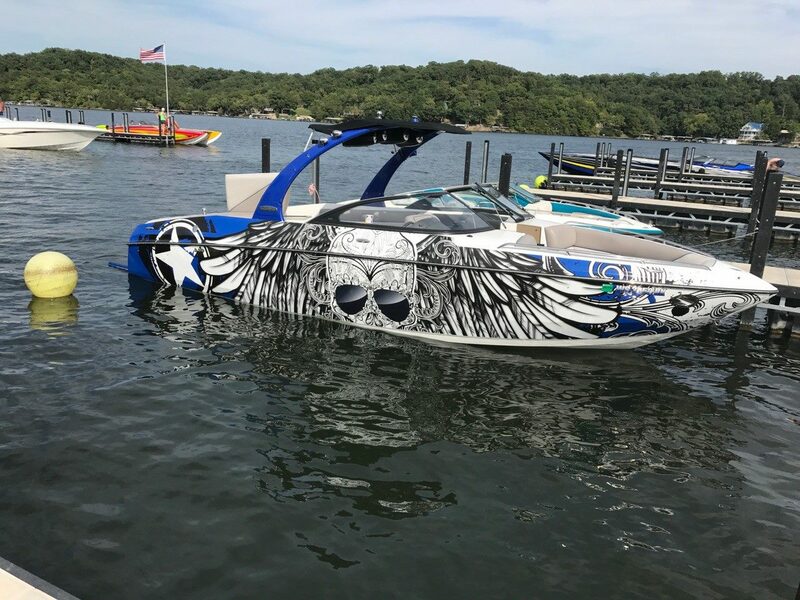 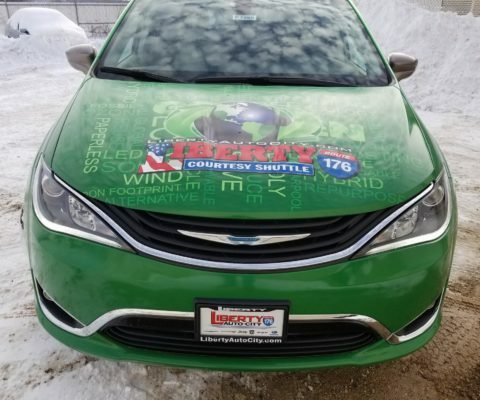 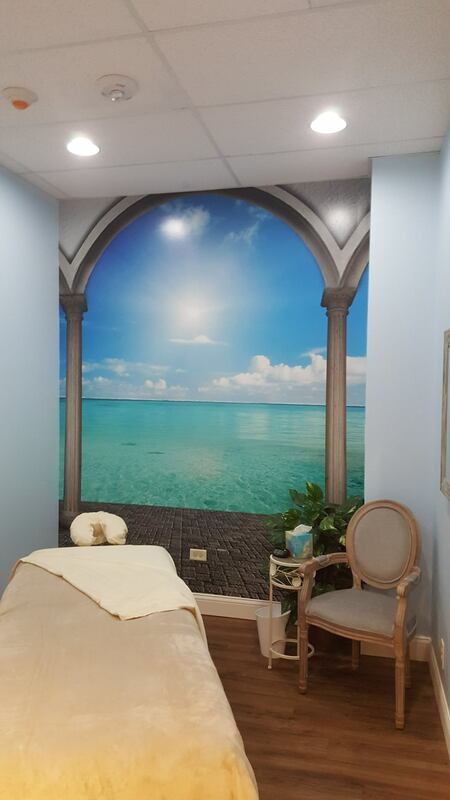 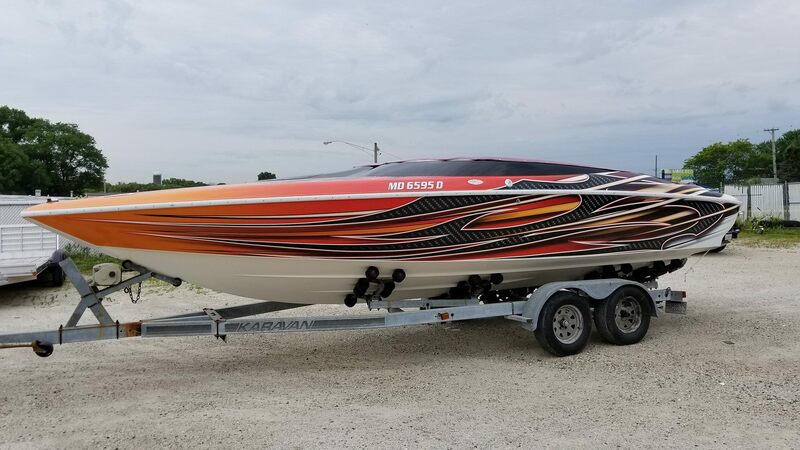 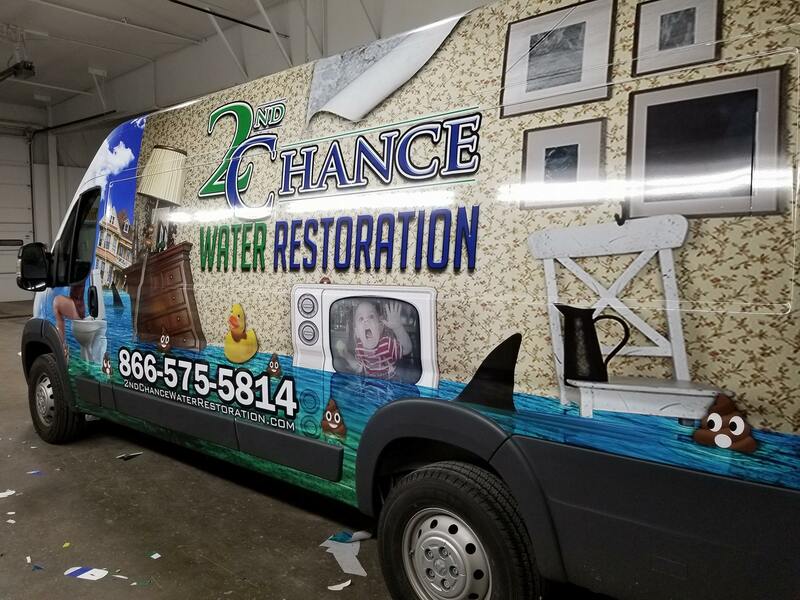 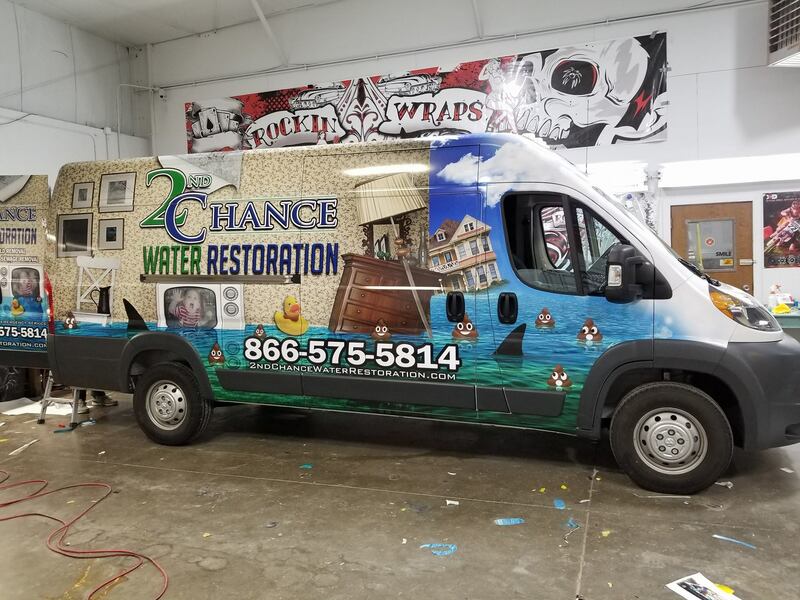 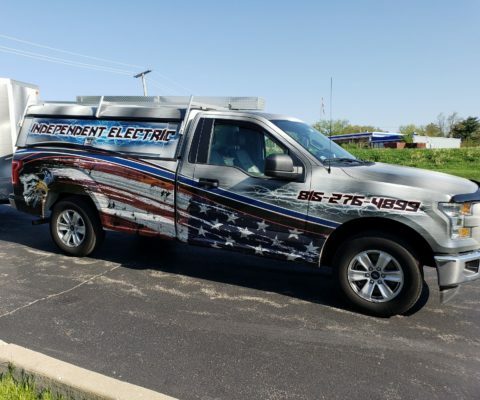 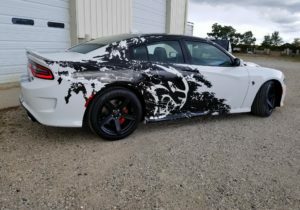 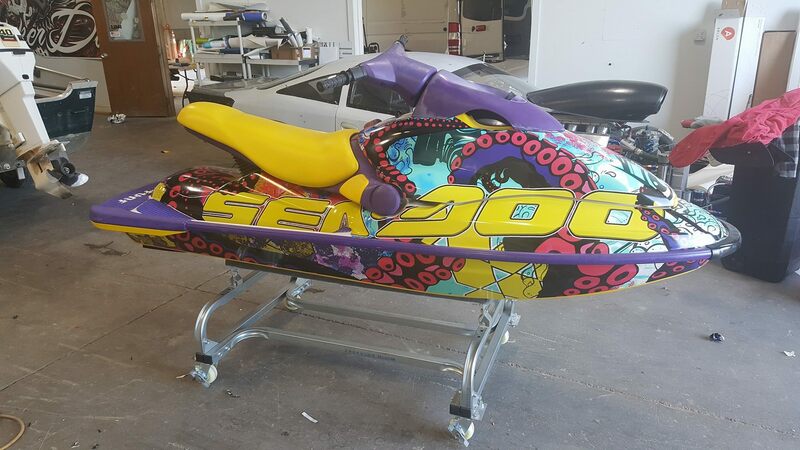 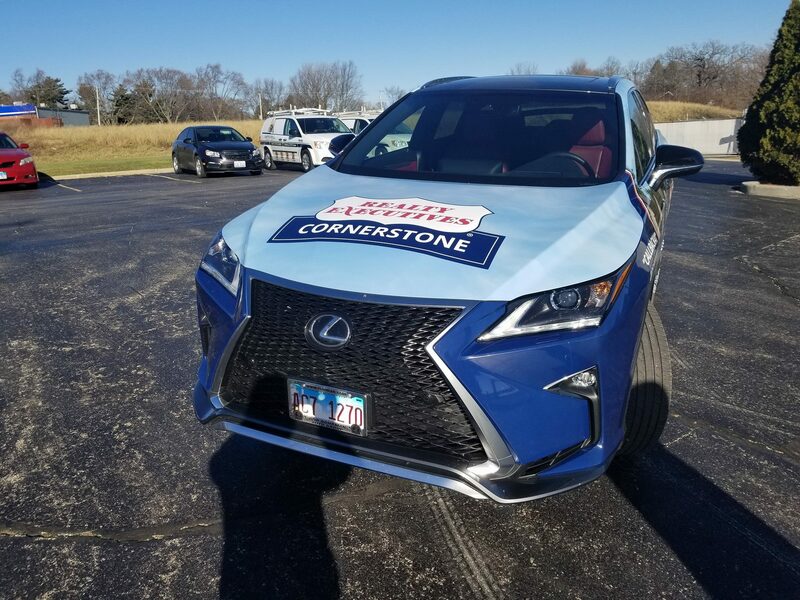 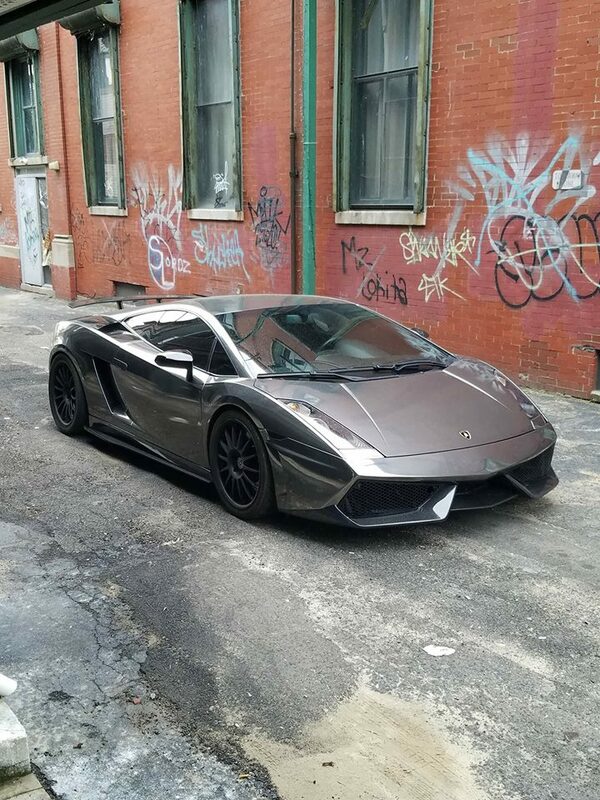 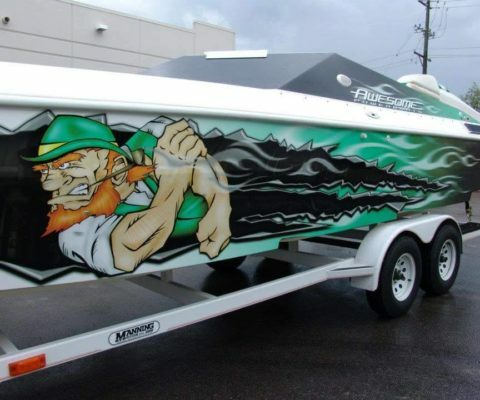 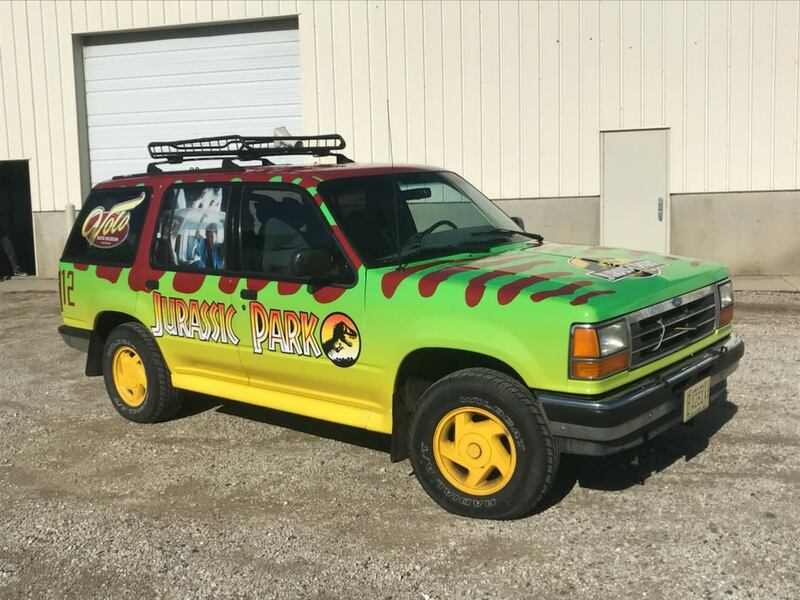 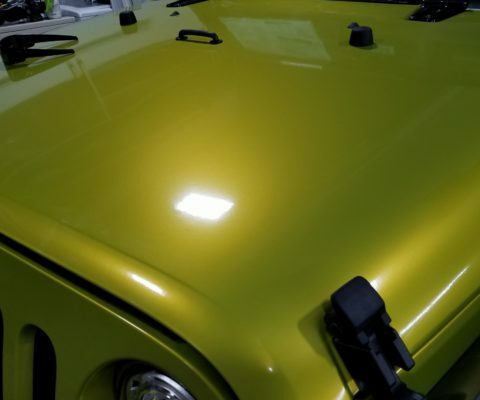 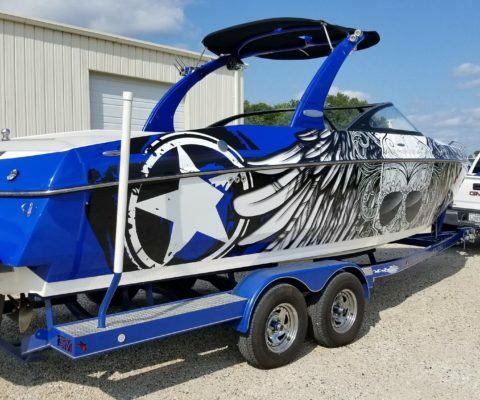 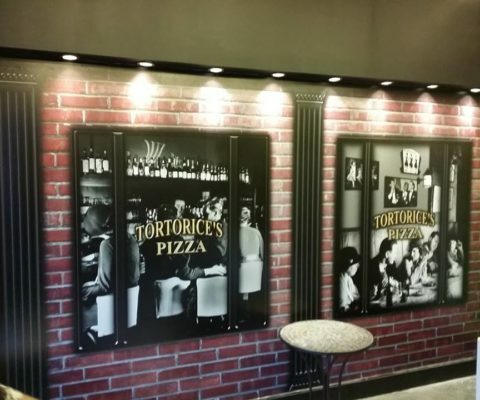 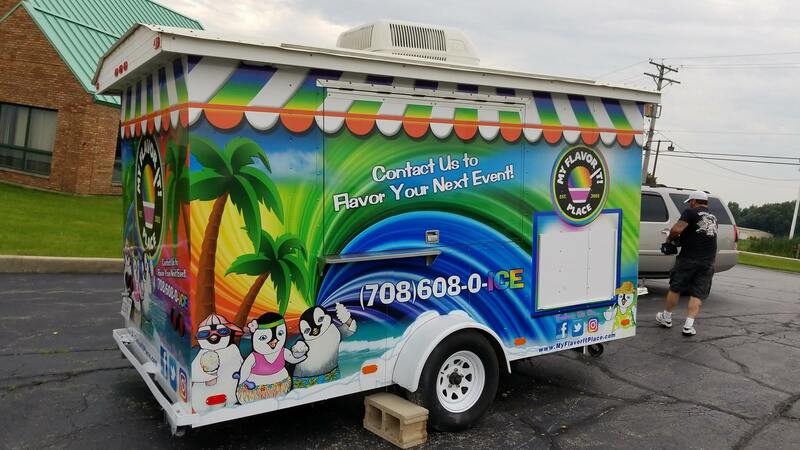 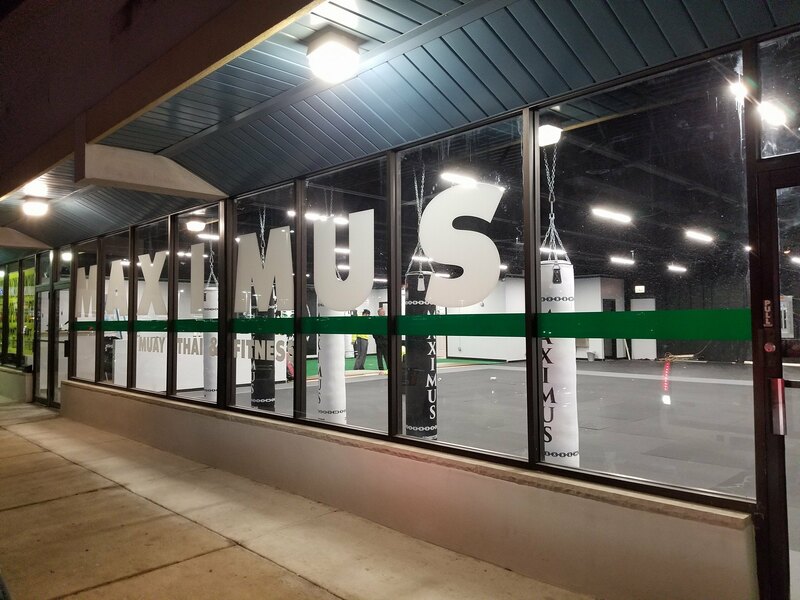 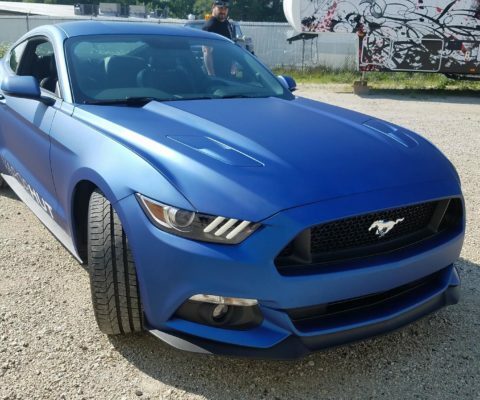 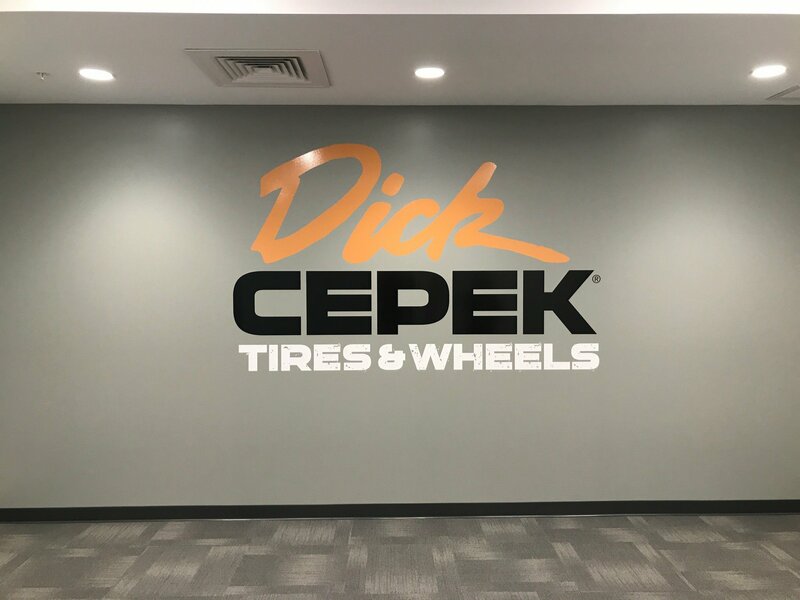 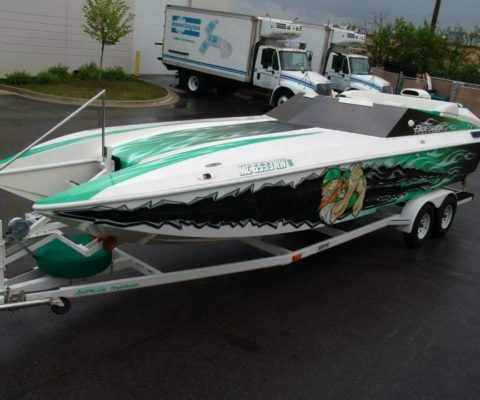 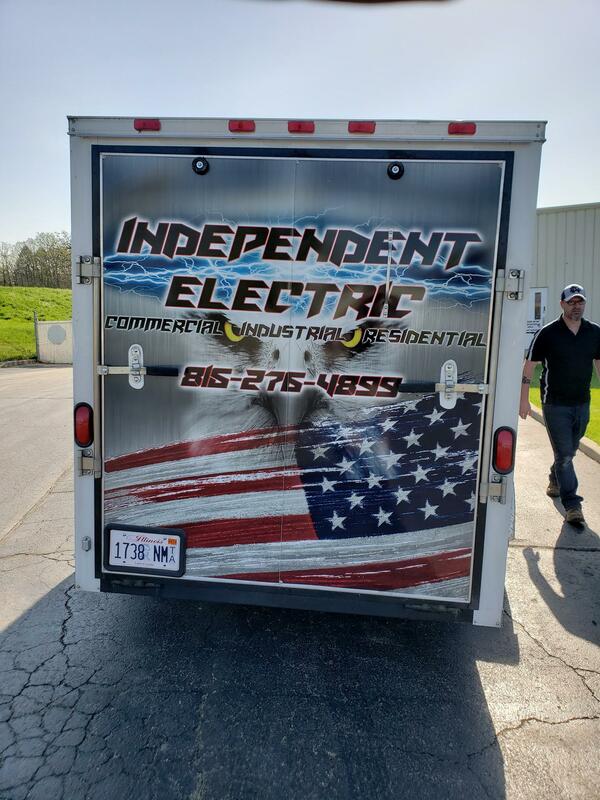 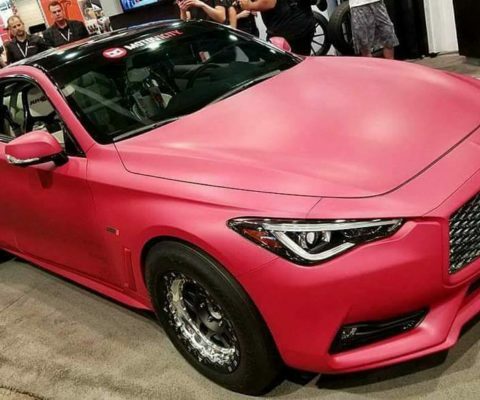 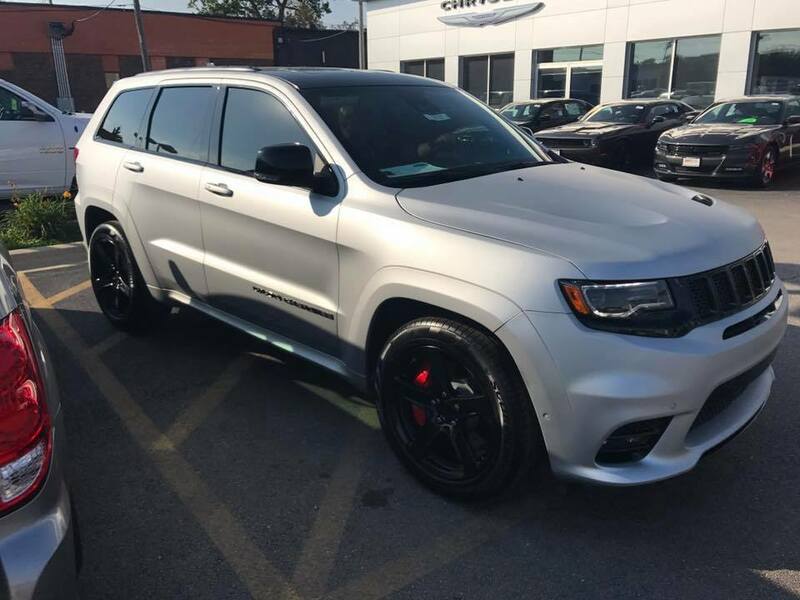 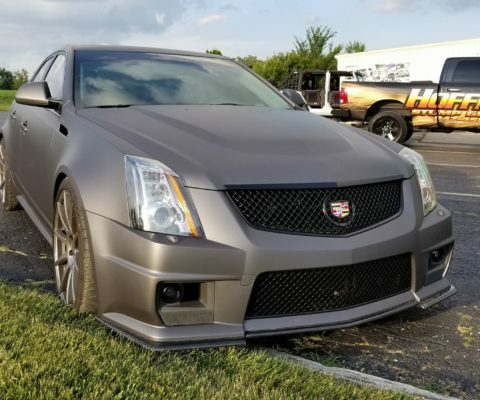 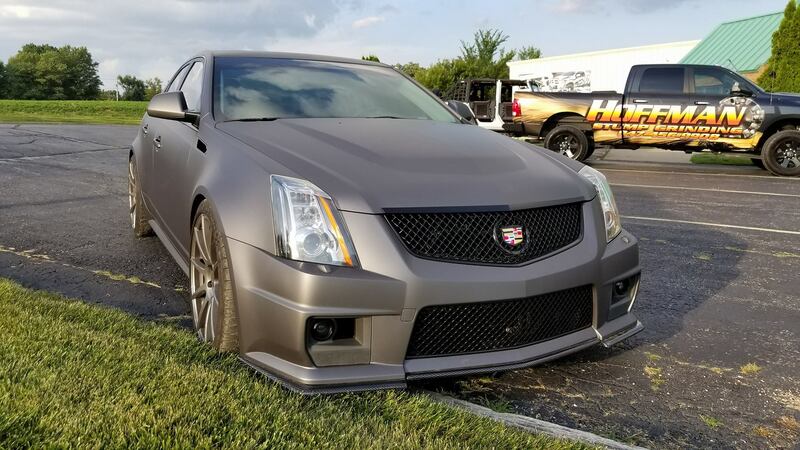 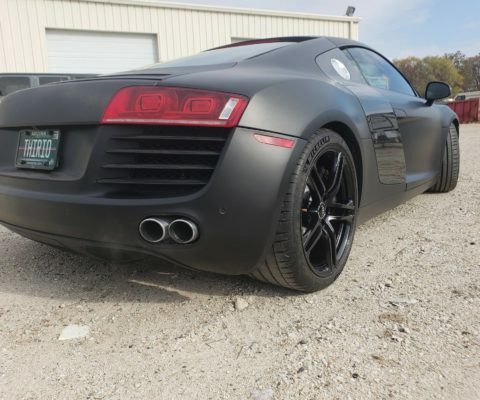 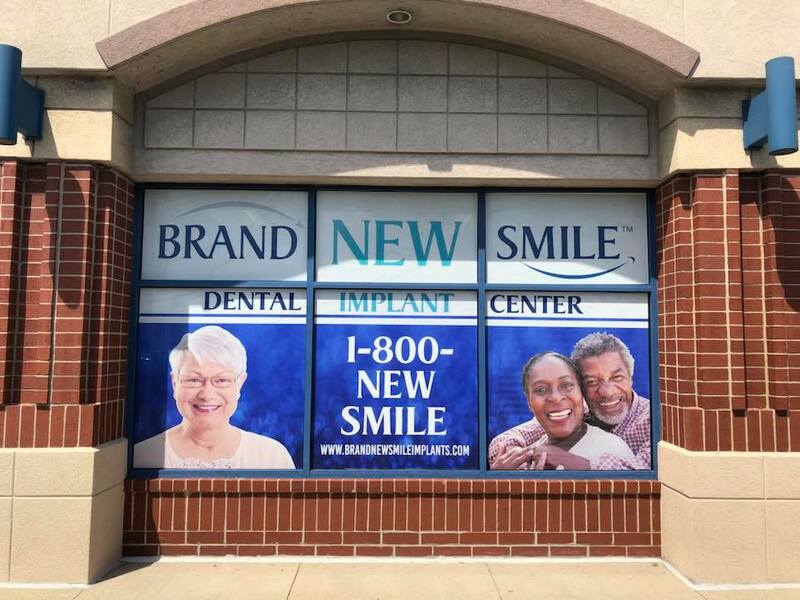 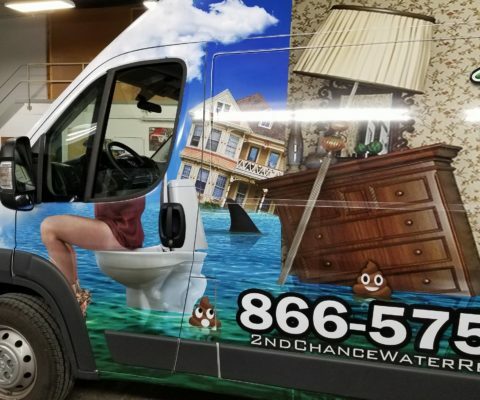 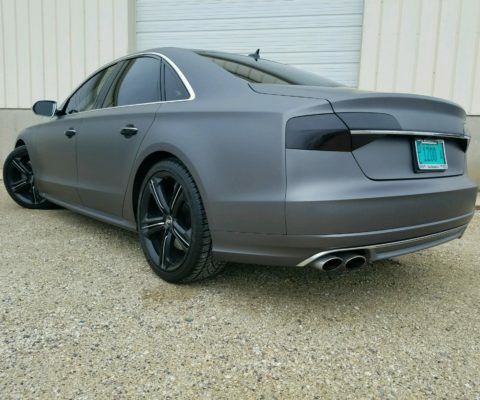 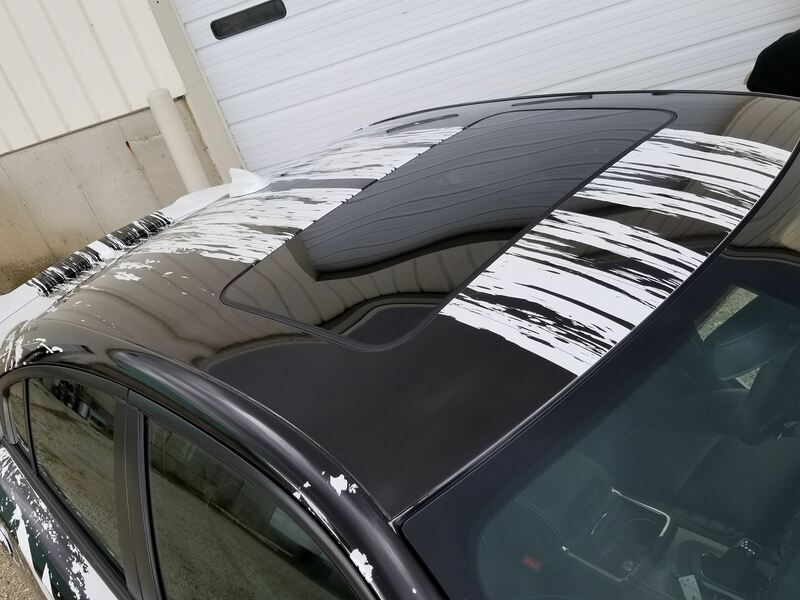 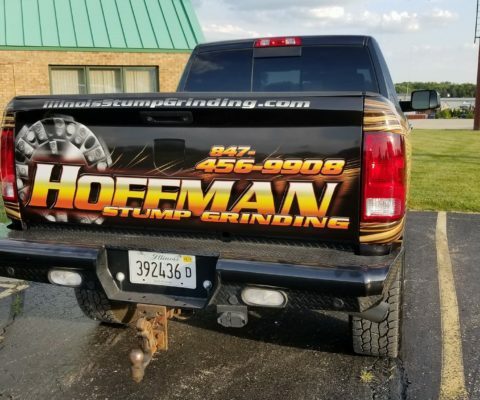 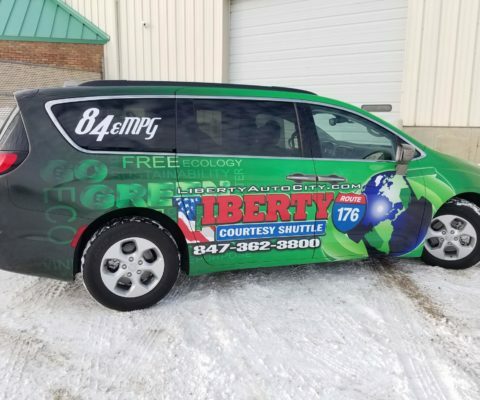 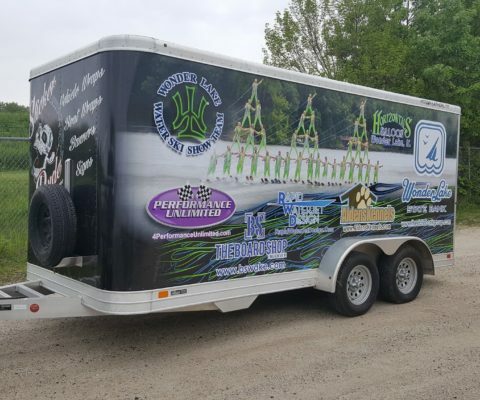 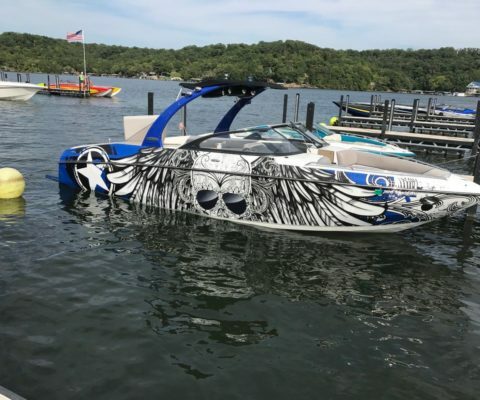 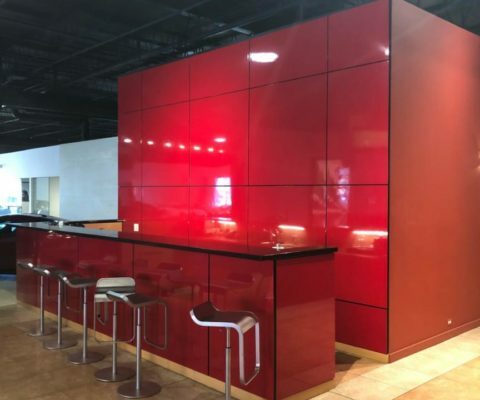 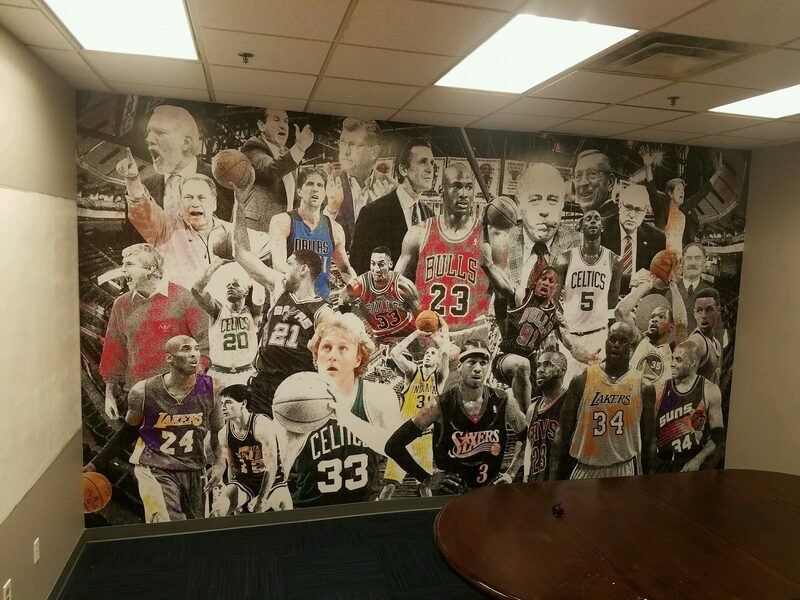 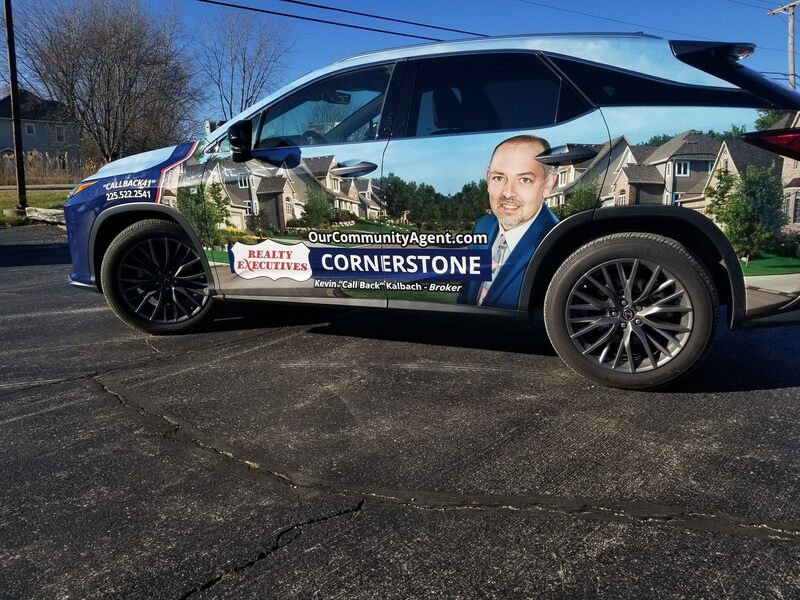 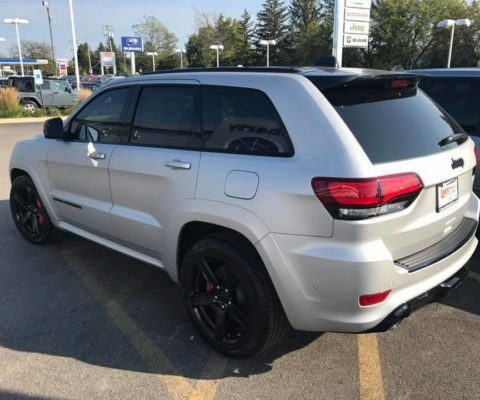 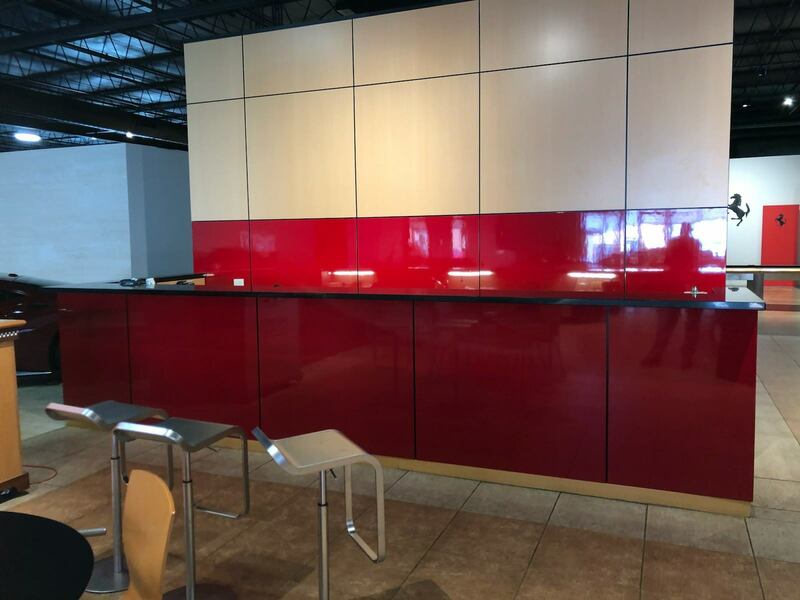 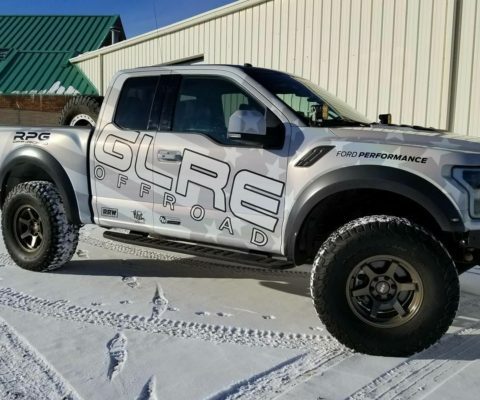 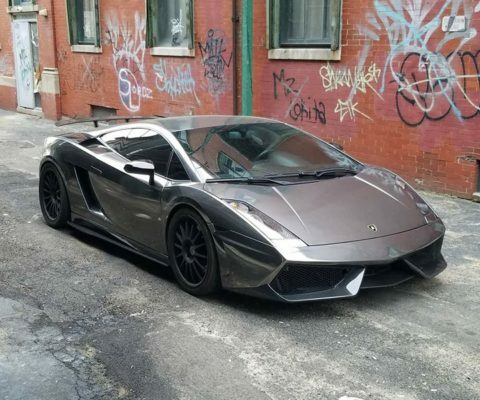 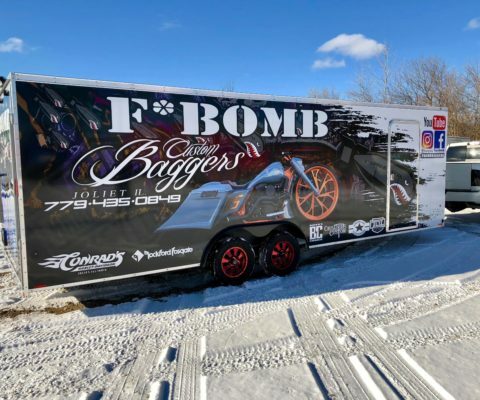 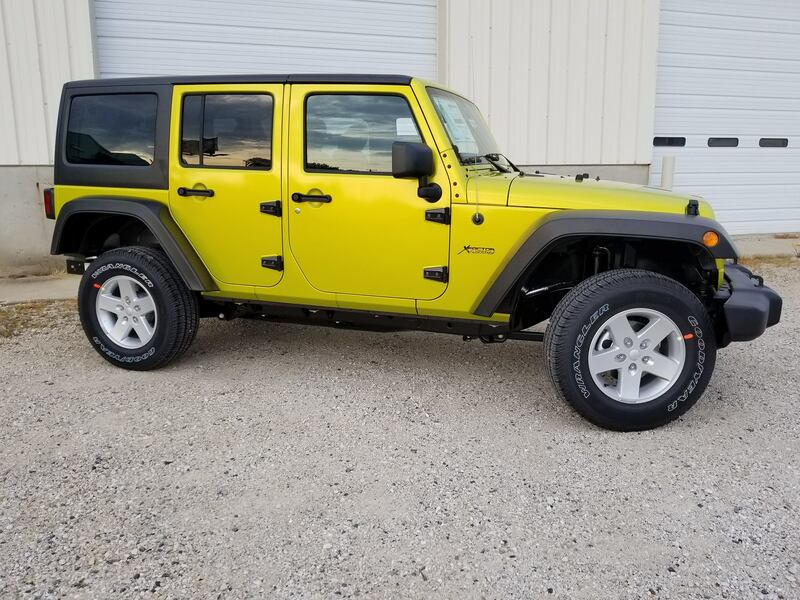 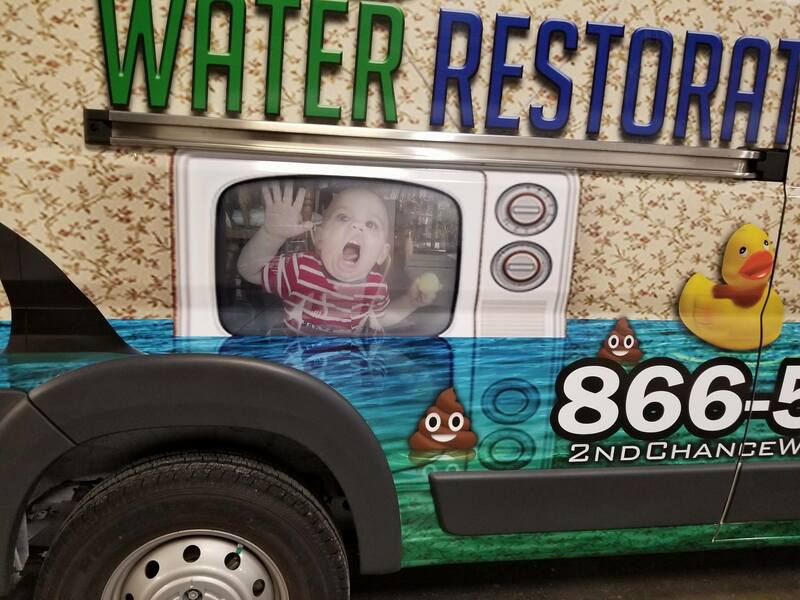 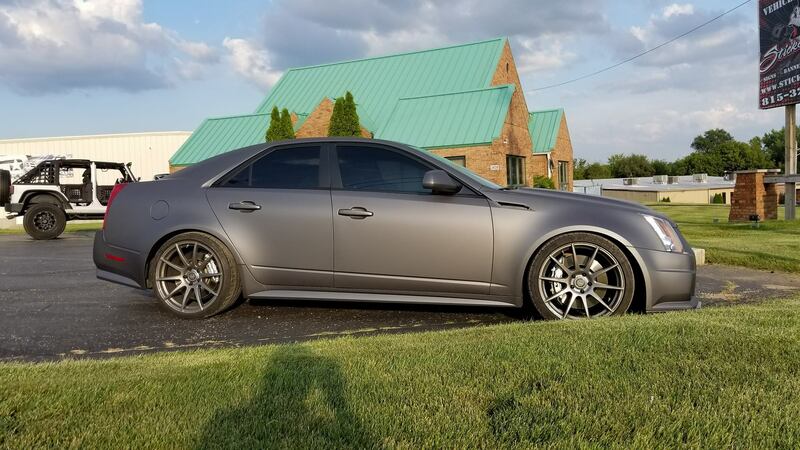 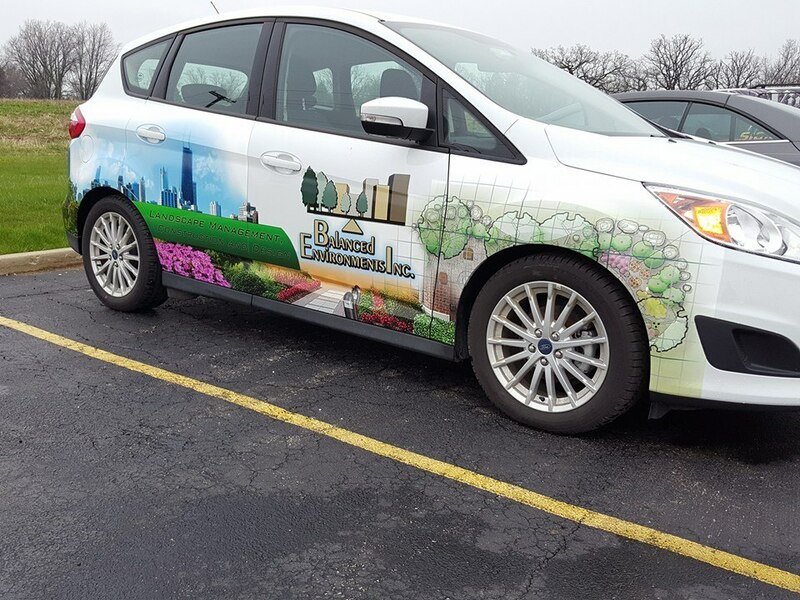 No matter what your vision is for advertising with vinyl wraps, we can provide the design, materials and installation to make it become a reality.